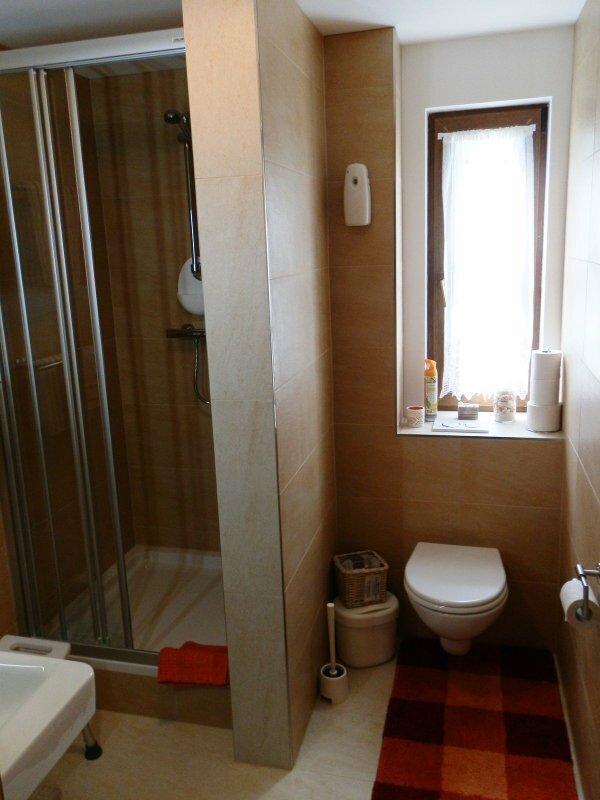 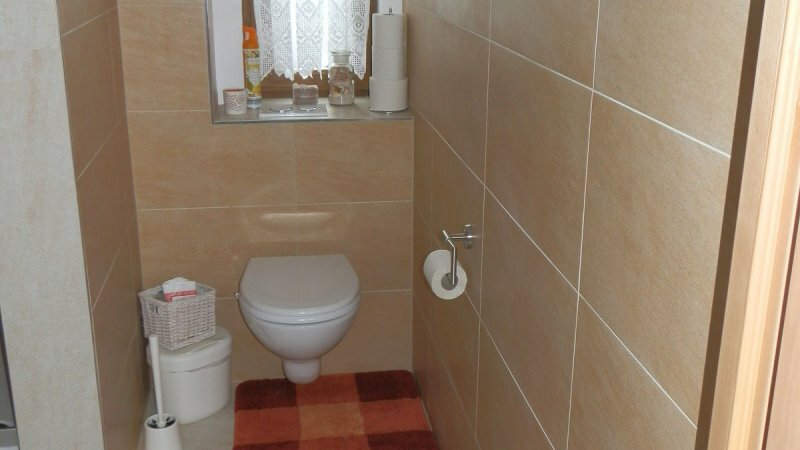 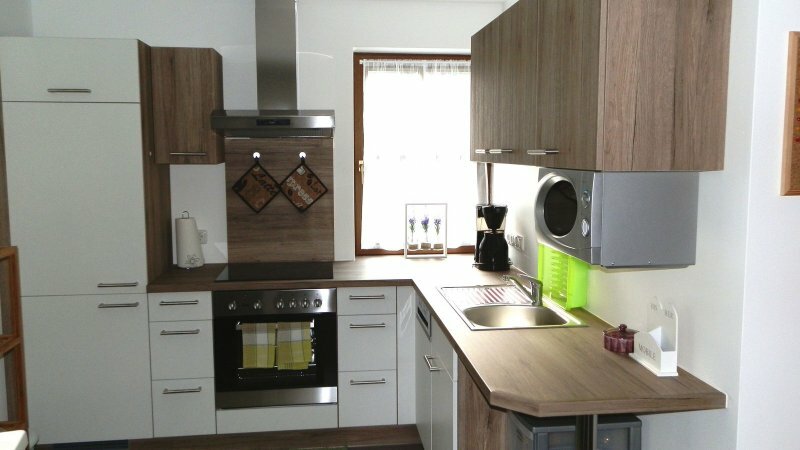 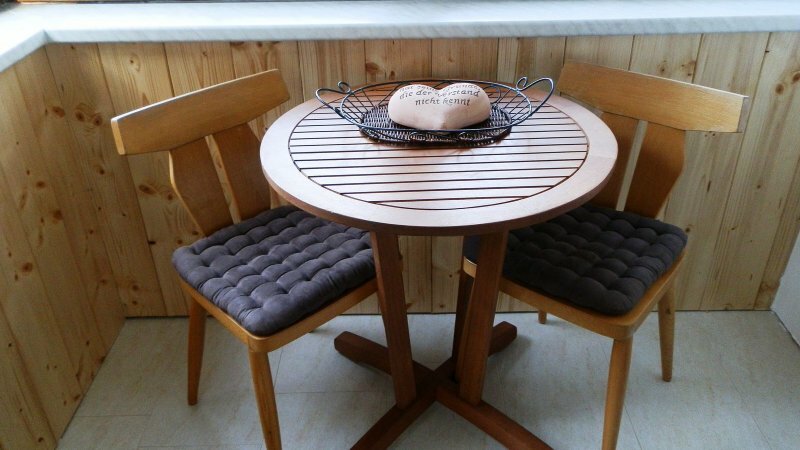 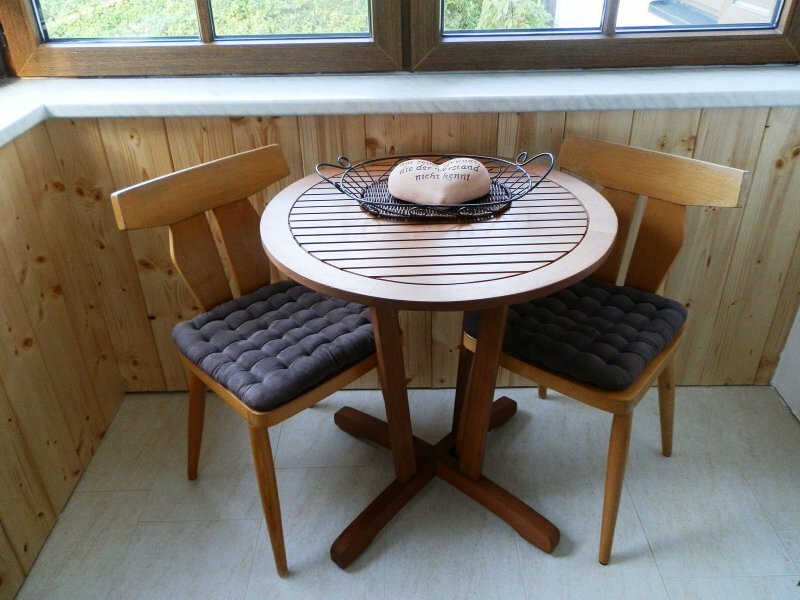 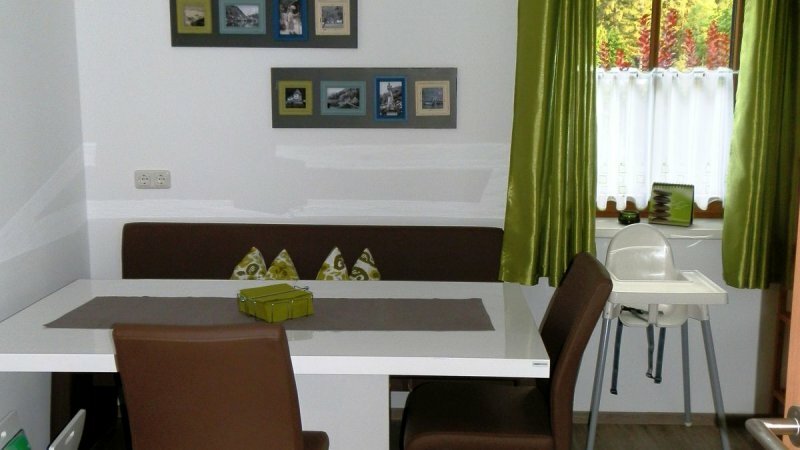 Holiday apartment for up to 4 persons. 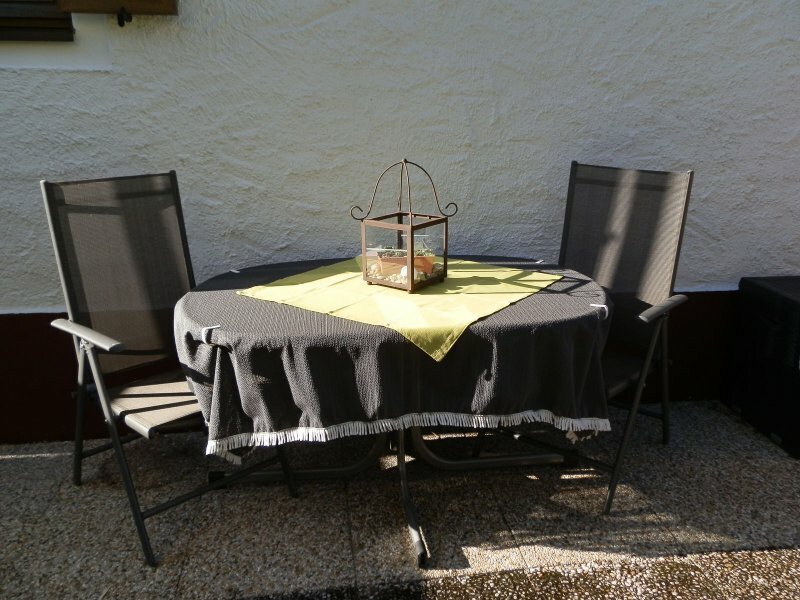 With garden and parking space. 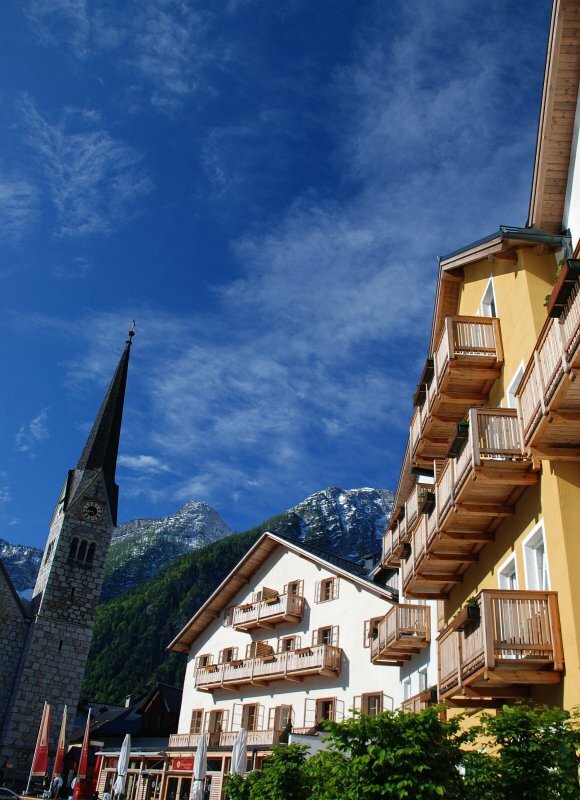 Sights and shops within easy reach. 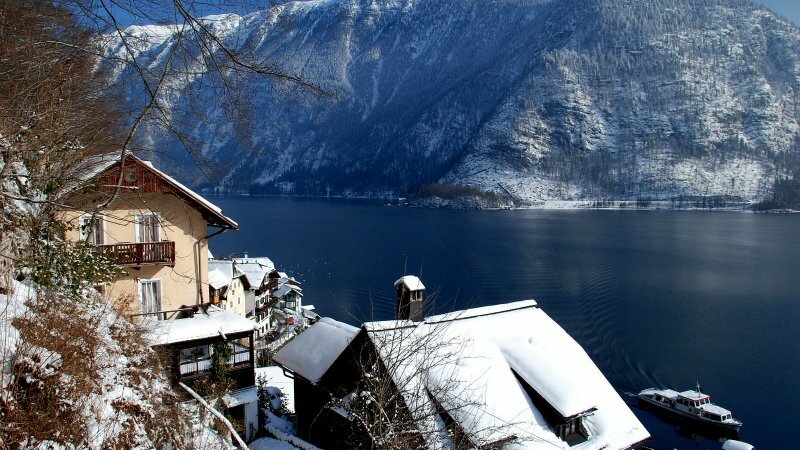 Holiday in Hallstatt: Stay in the holiday apartment of family Aschauer - Welcoming hosts during a wonderful holiday in Austria. 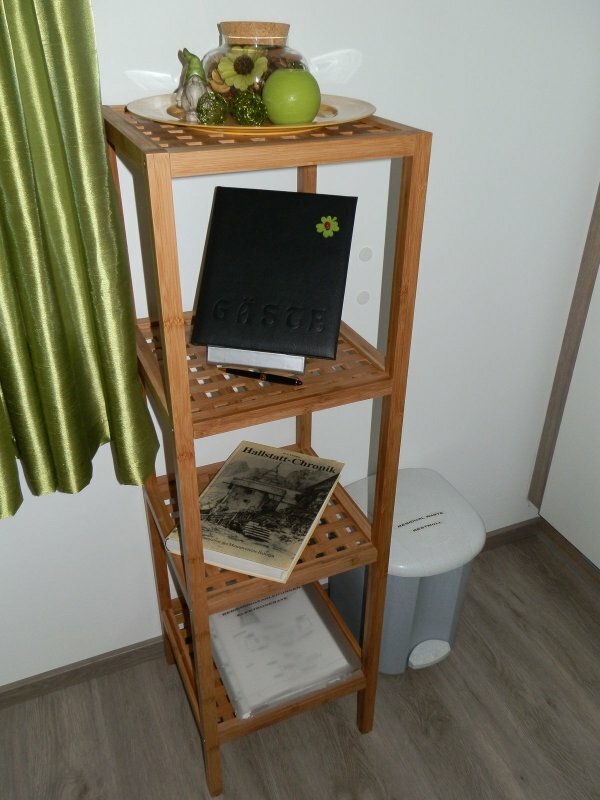 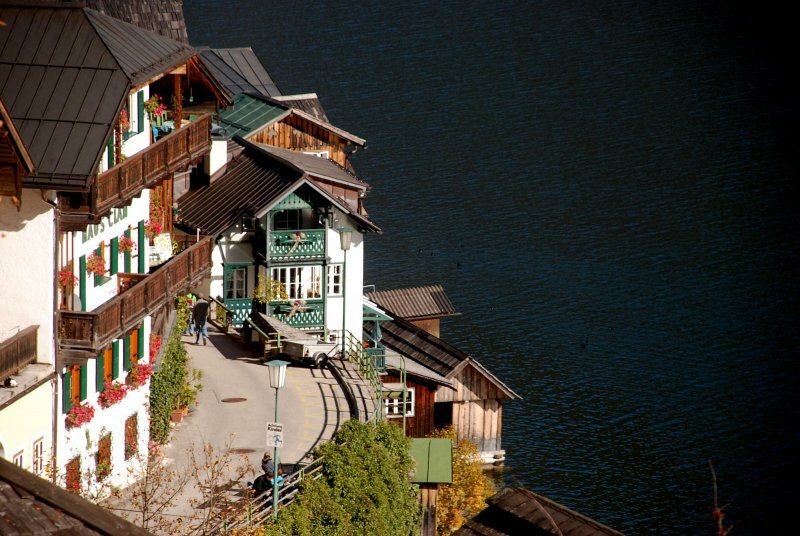 Impressions from the holiday apartment of family Ashauer during an unforgettable holiday in Hallstatt. 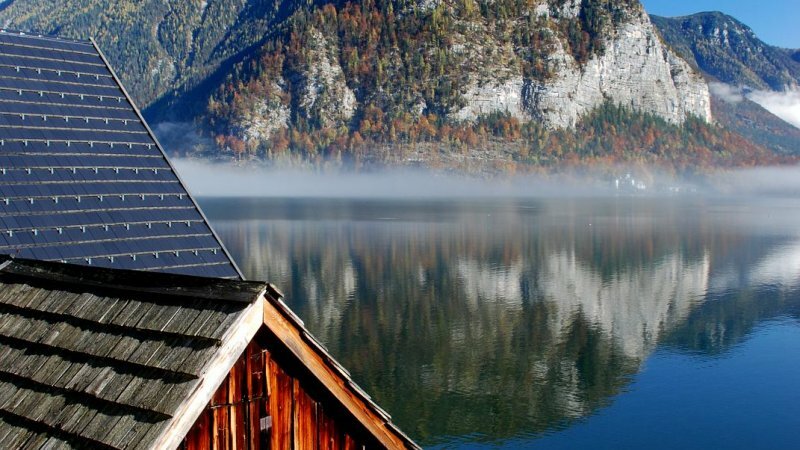 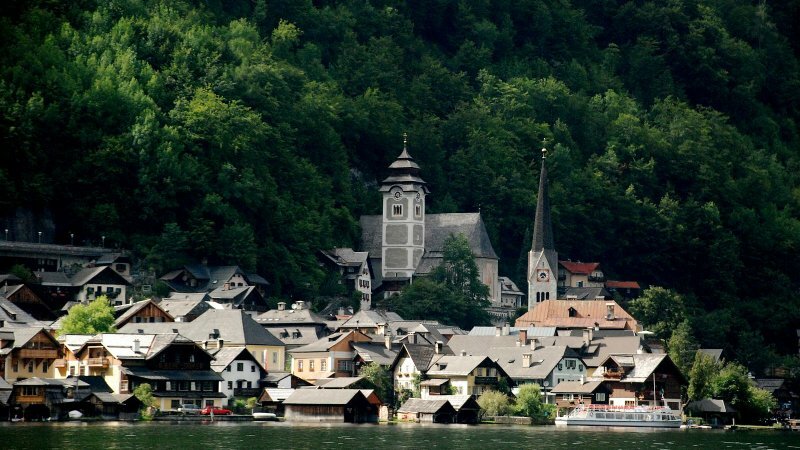 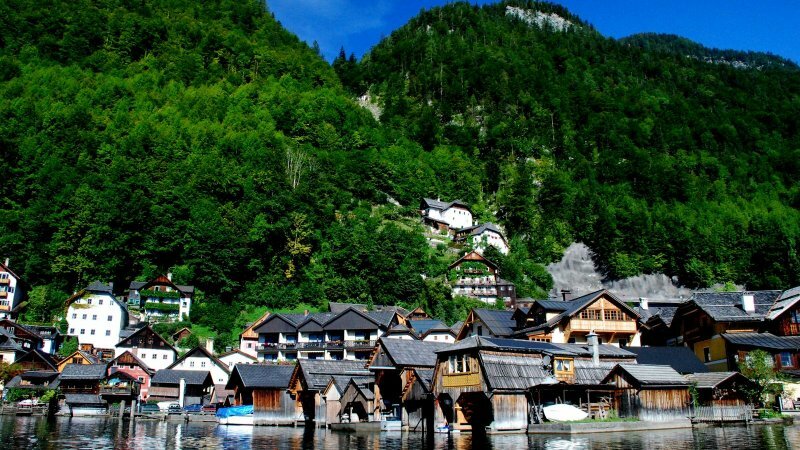 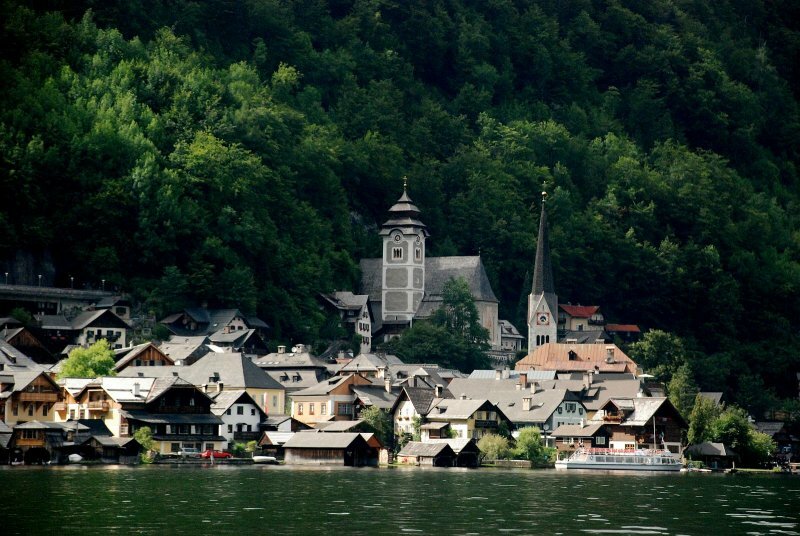 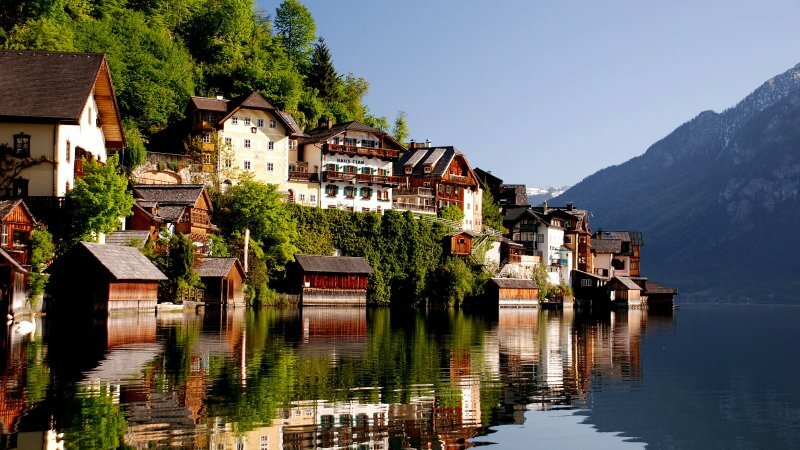 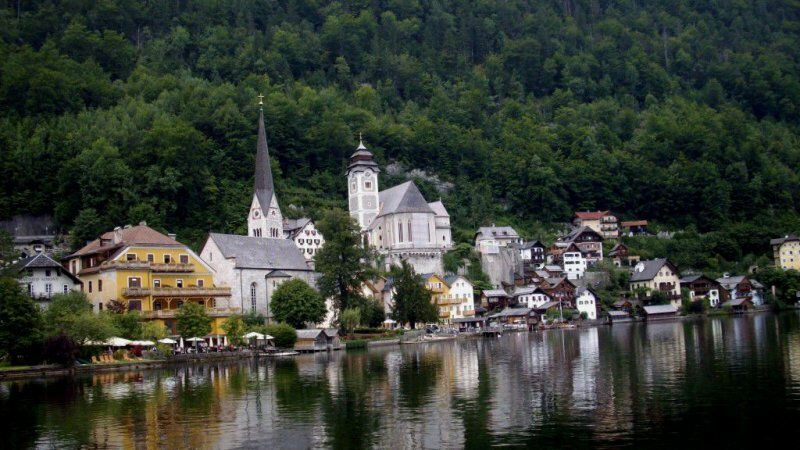 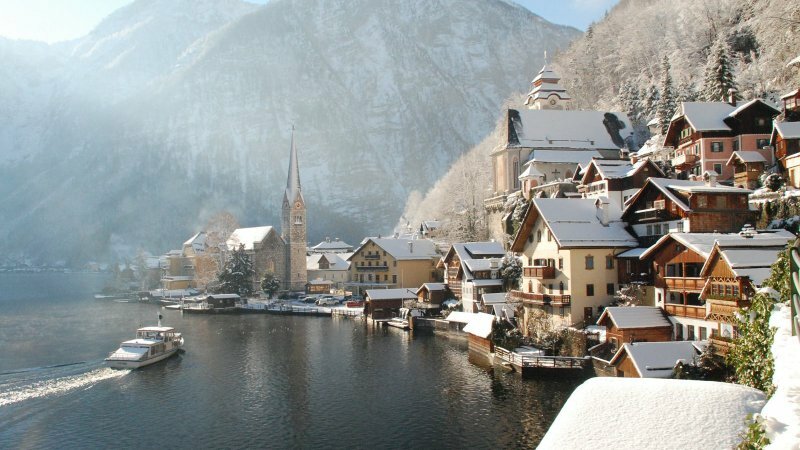 Who doesn’t dream of a relaxing holiday in Hallstatt? 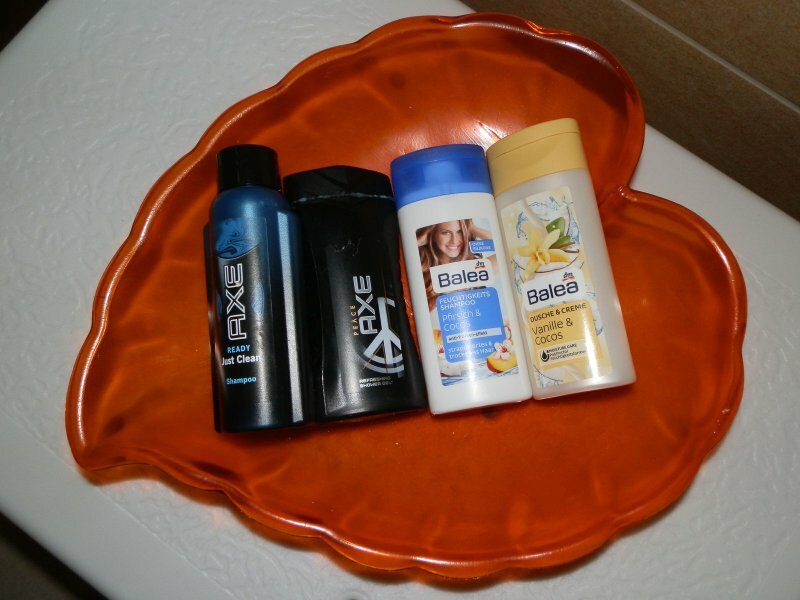 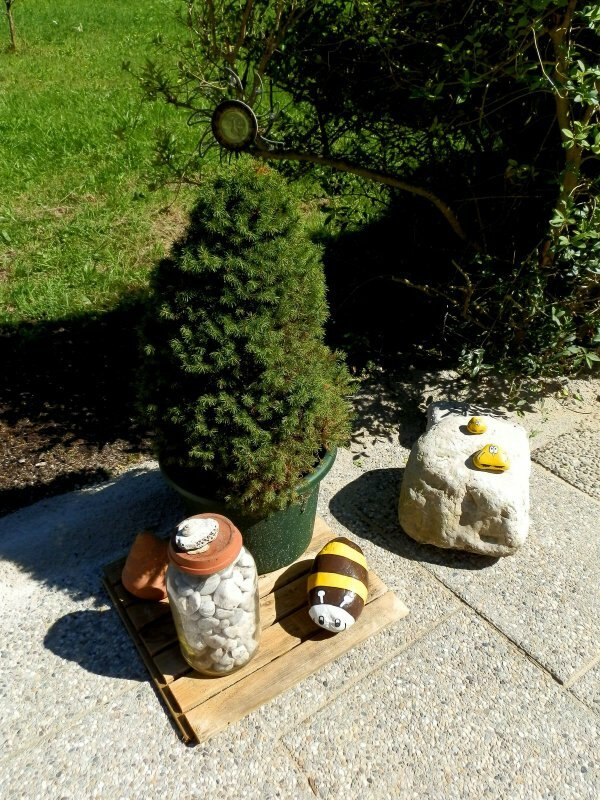 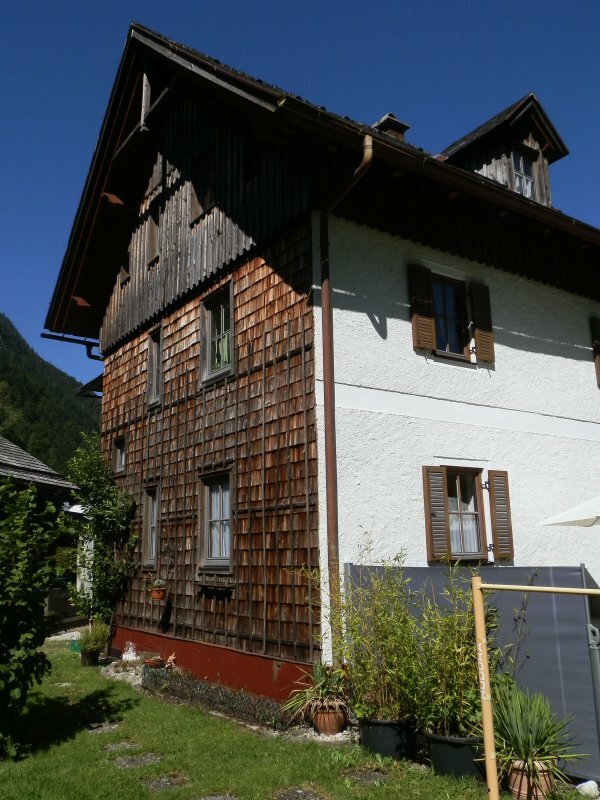 With welcoming hosts and short distances? 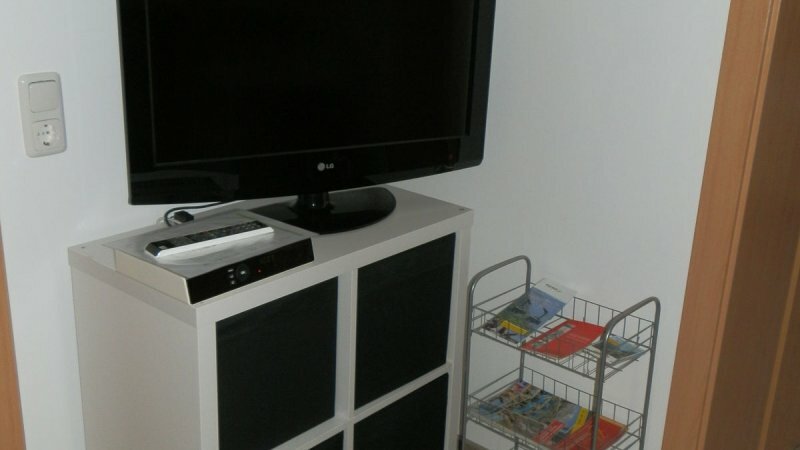 In the holiday apartment belonging to Beate and Manfred Aschauer, guests come from around the world get their money’s worth. 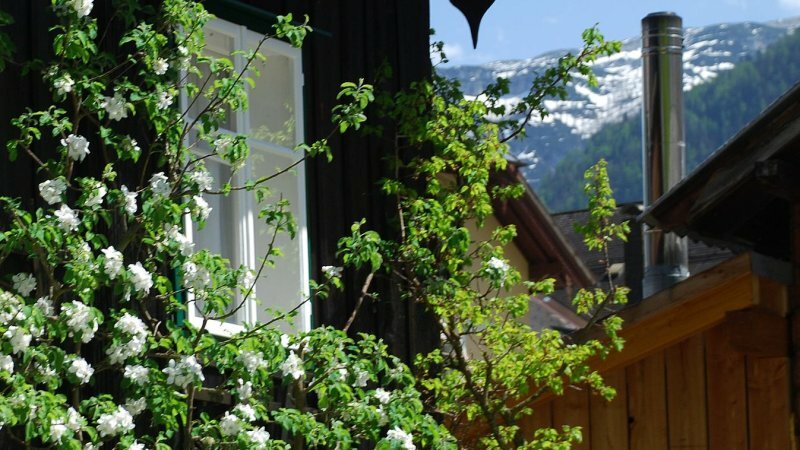 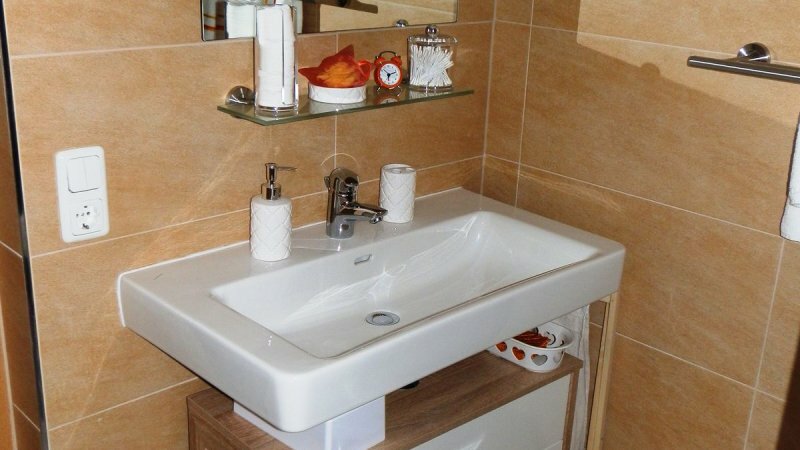 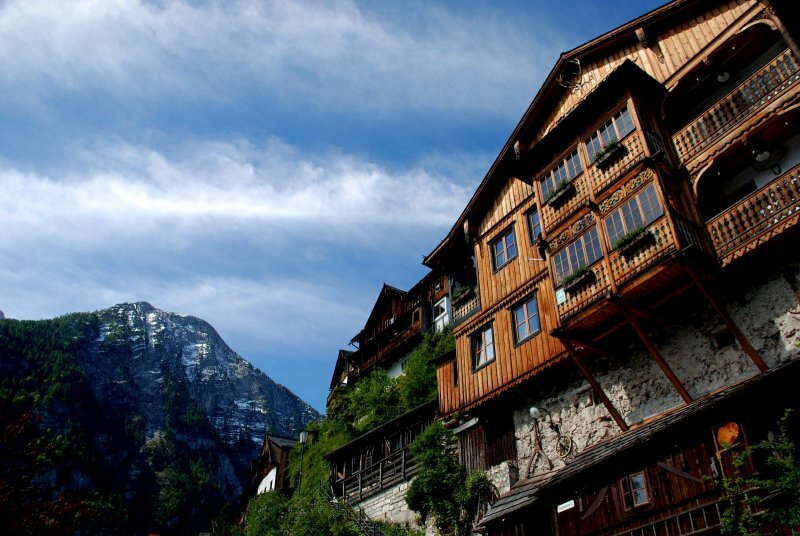 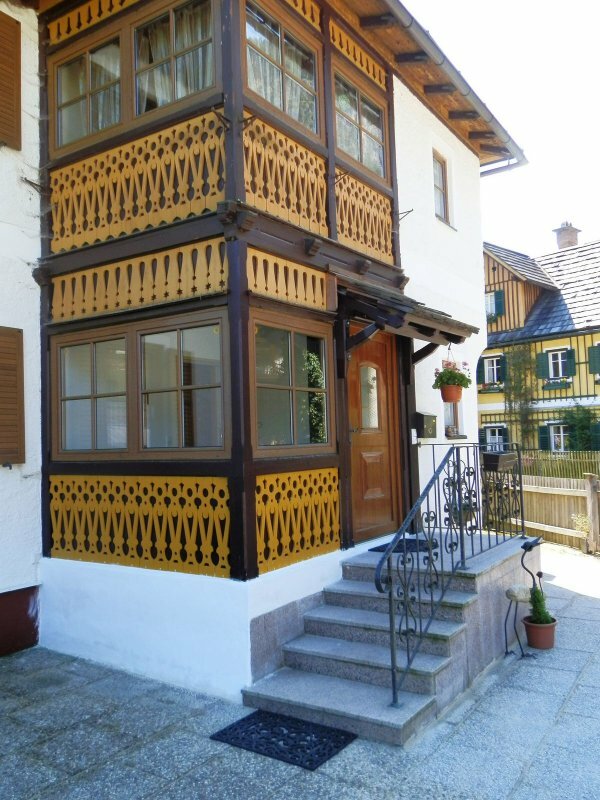 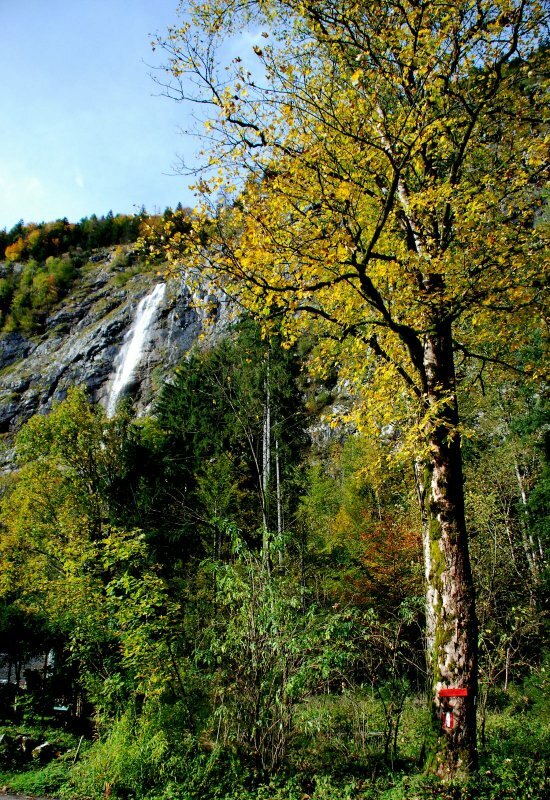 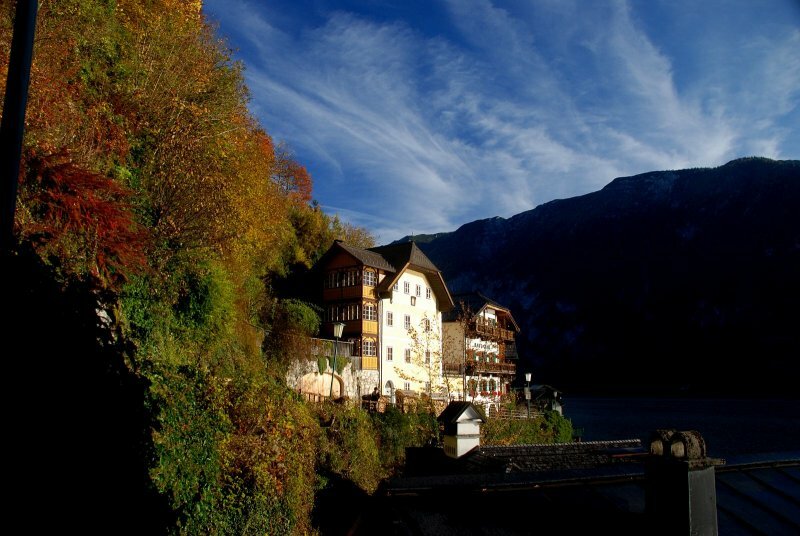 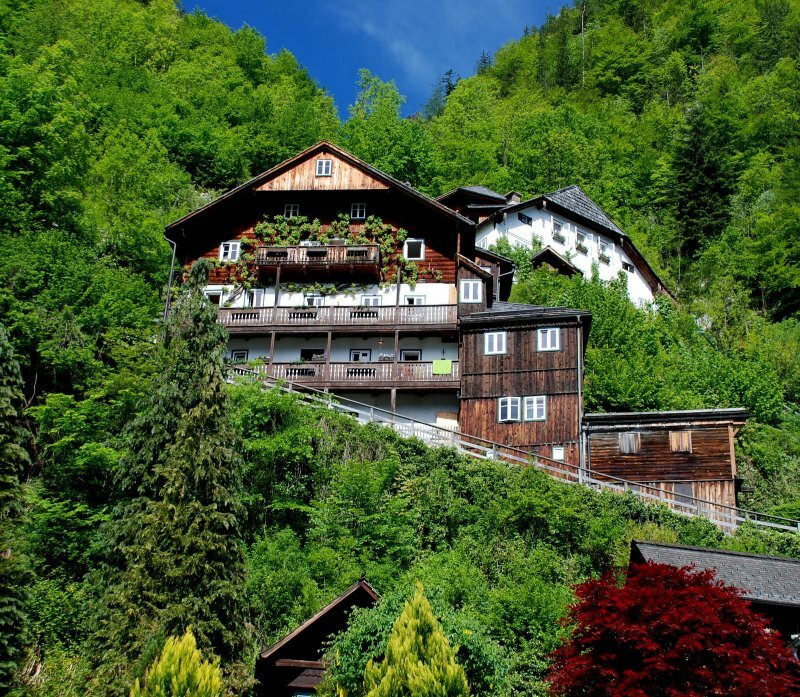 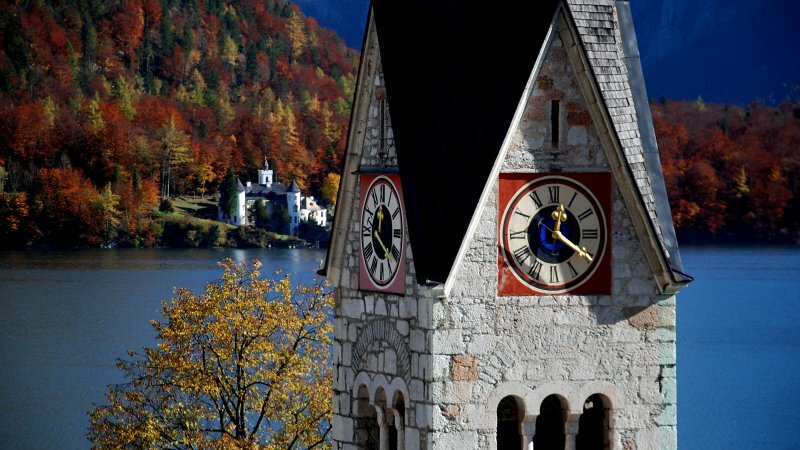 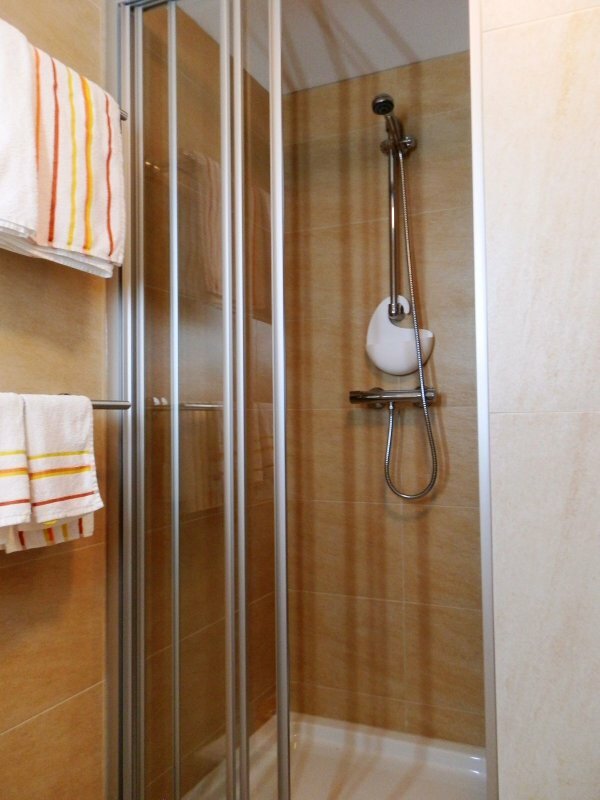 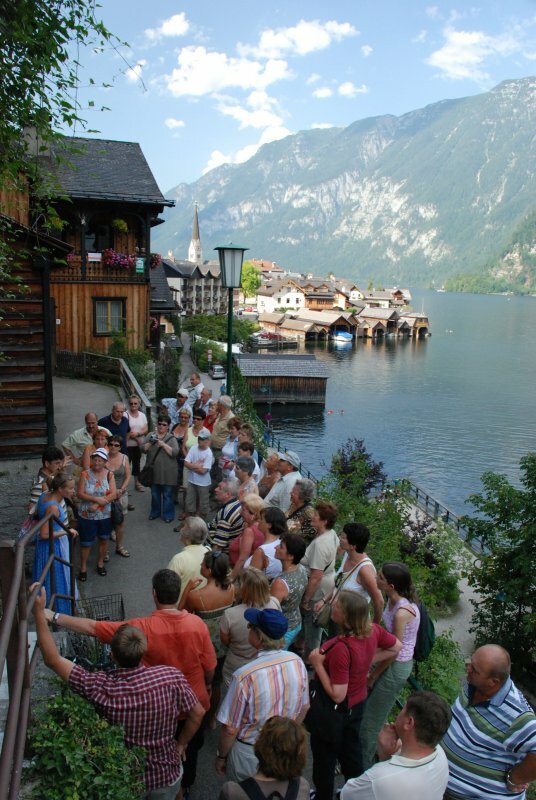 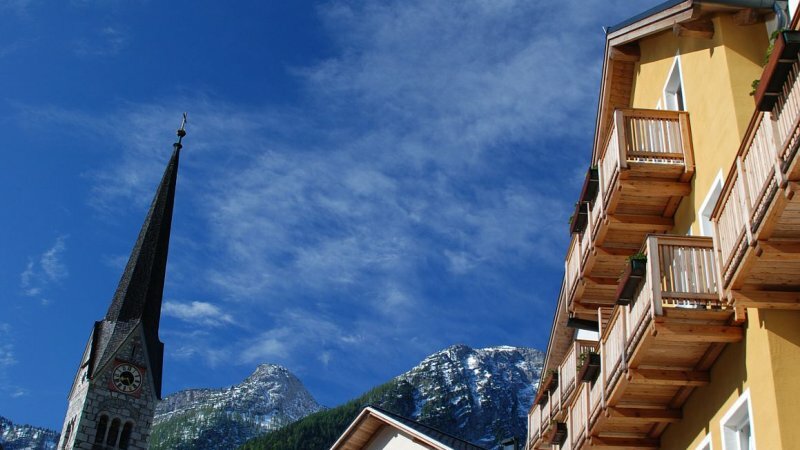 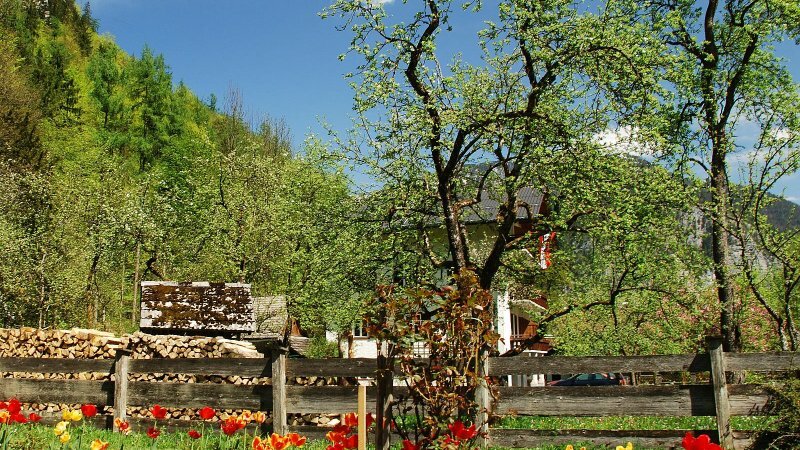 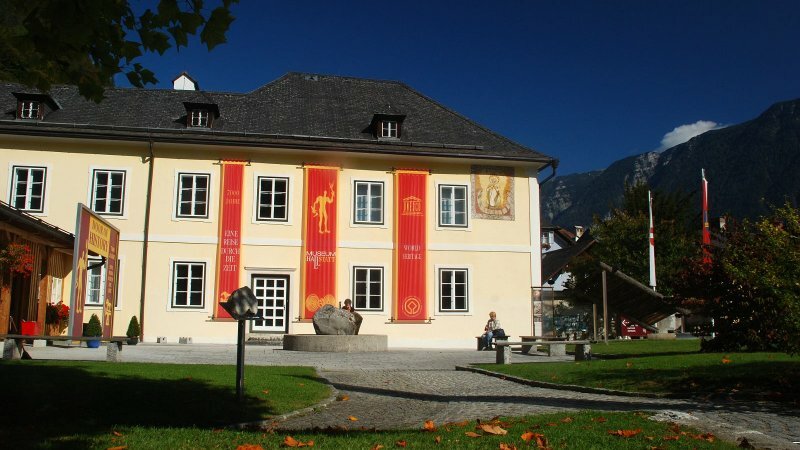 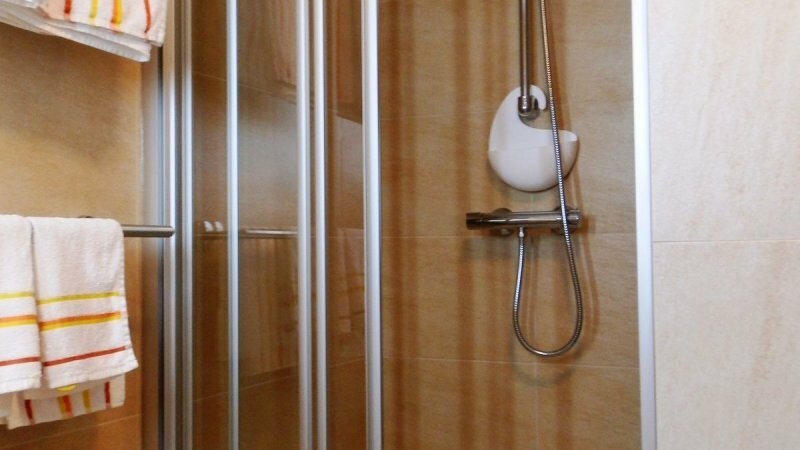 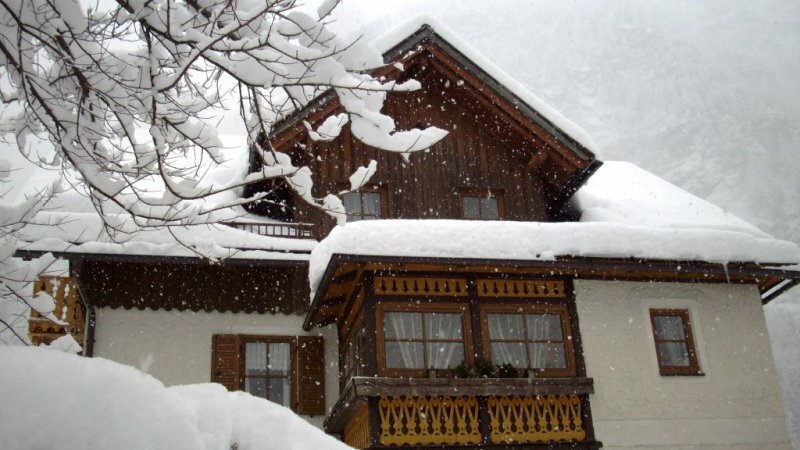 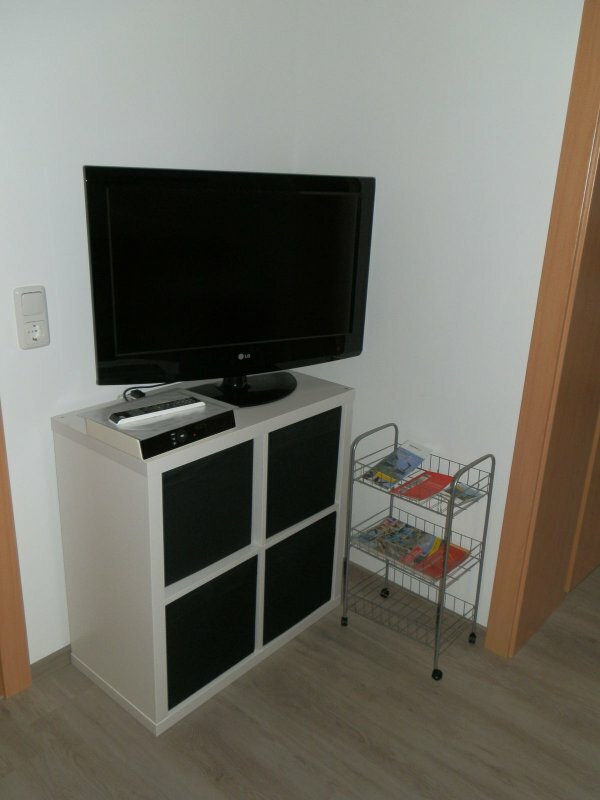 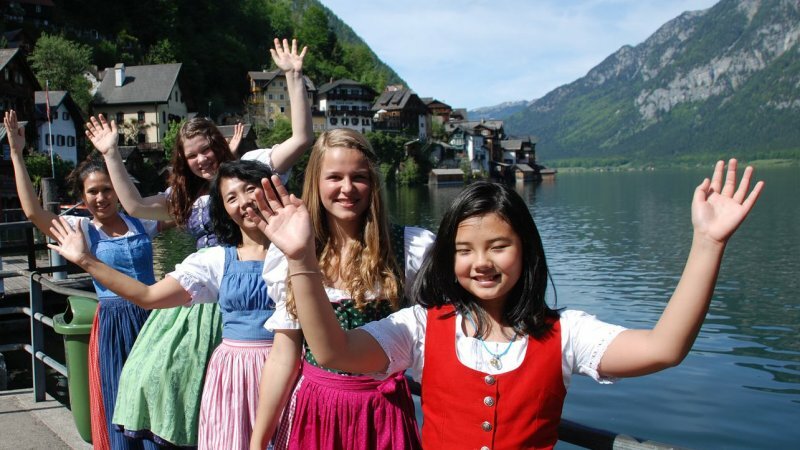 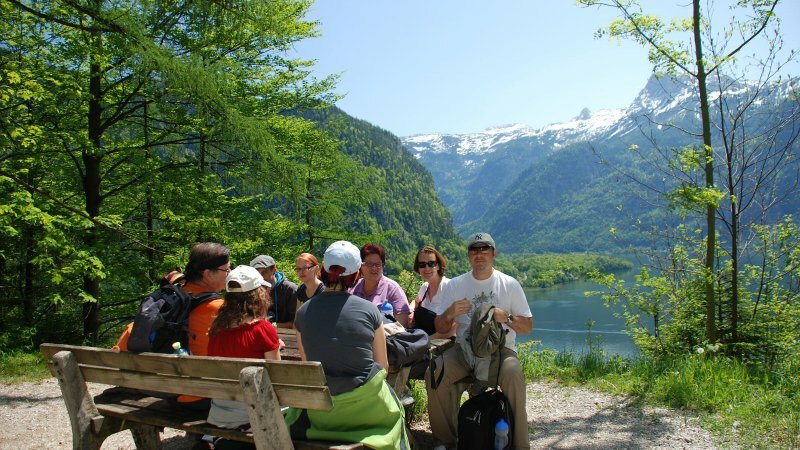 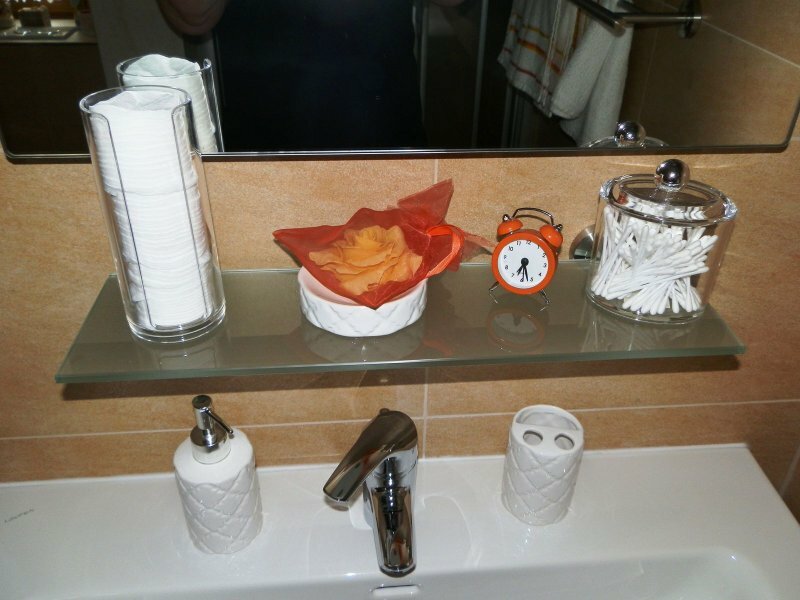 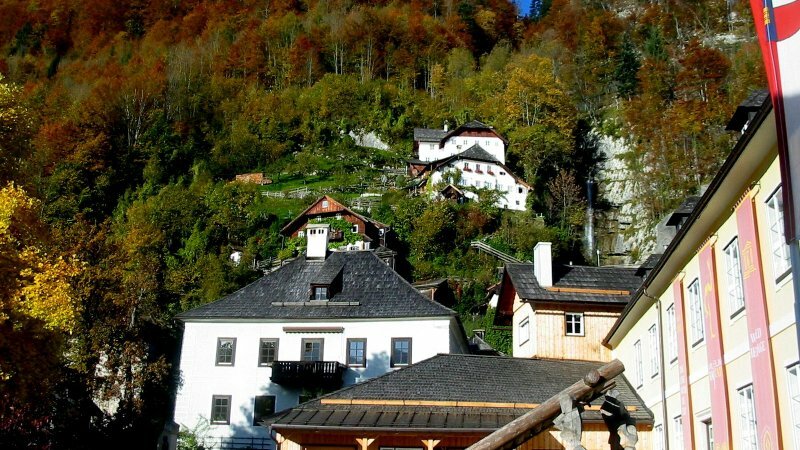 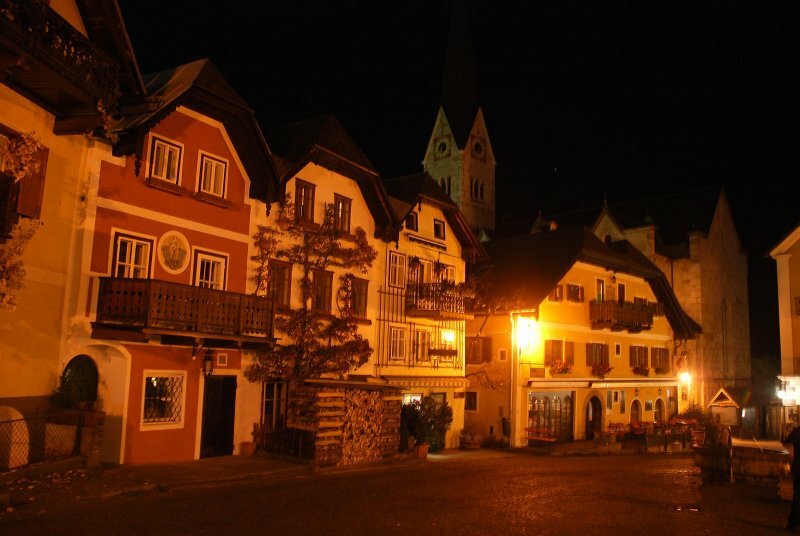 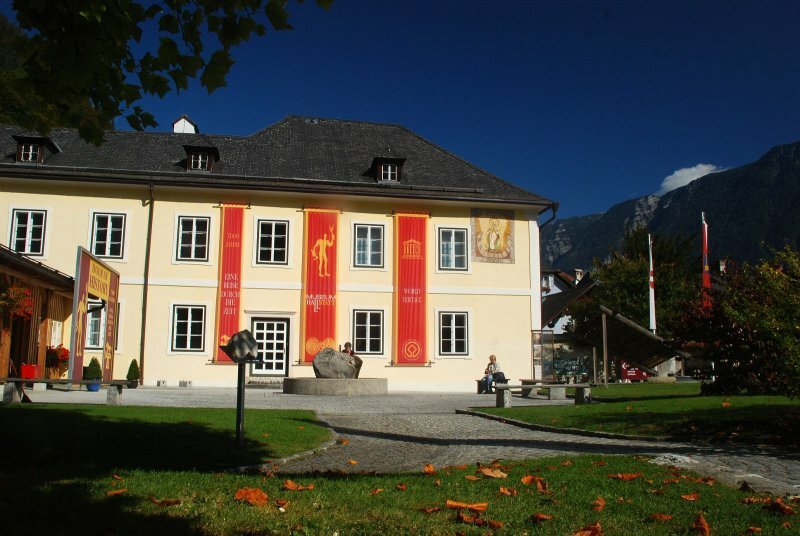 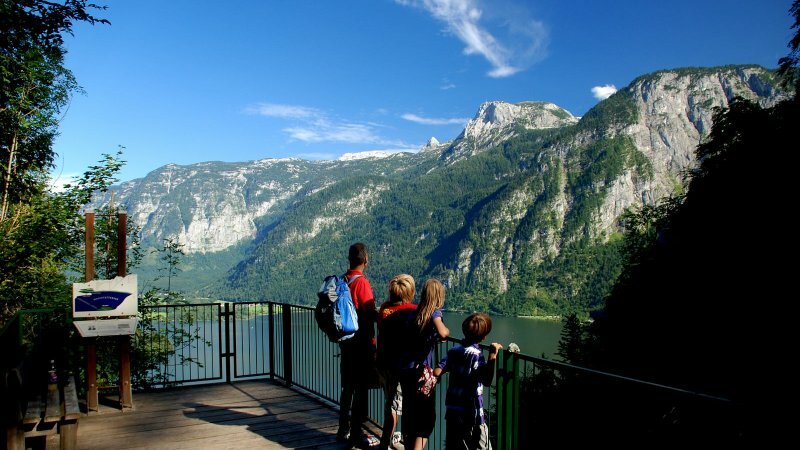 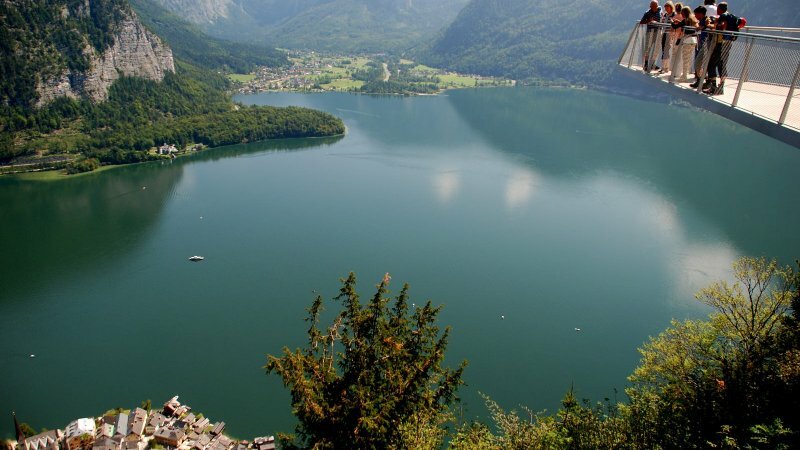 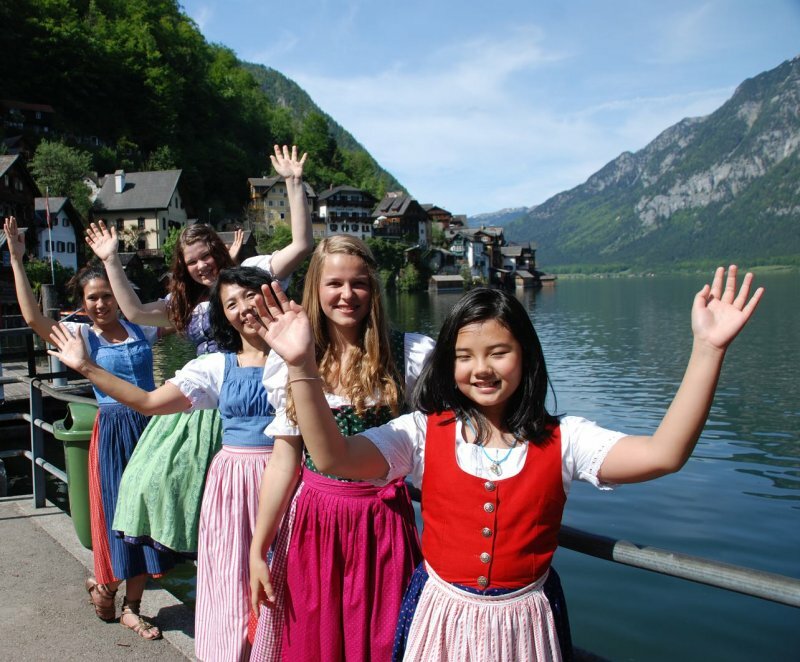 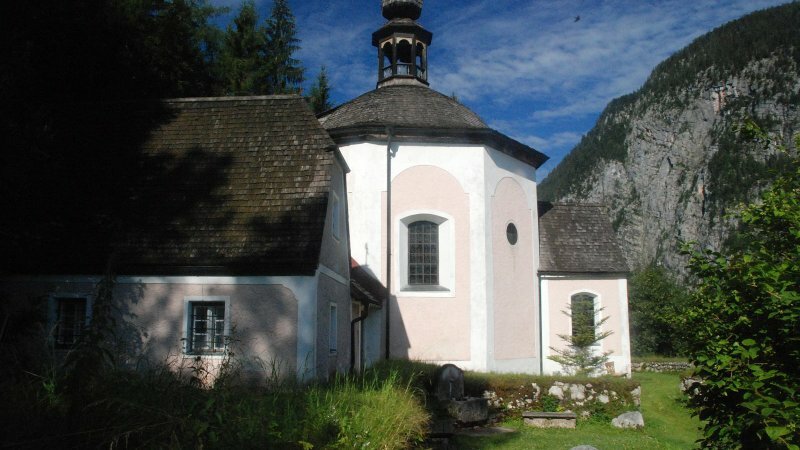 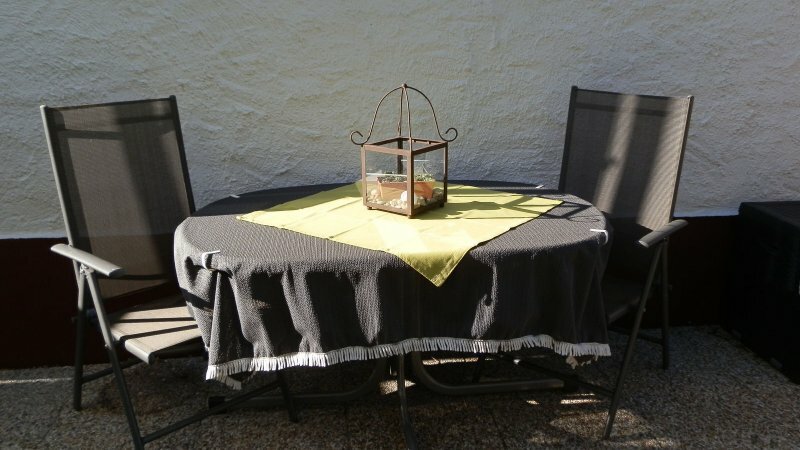 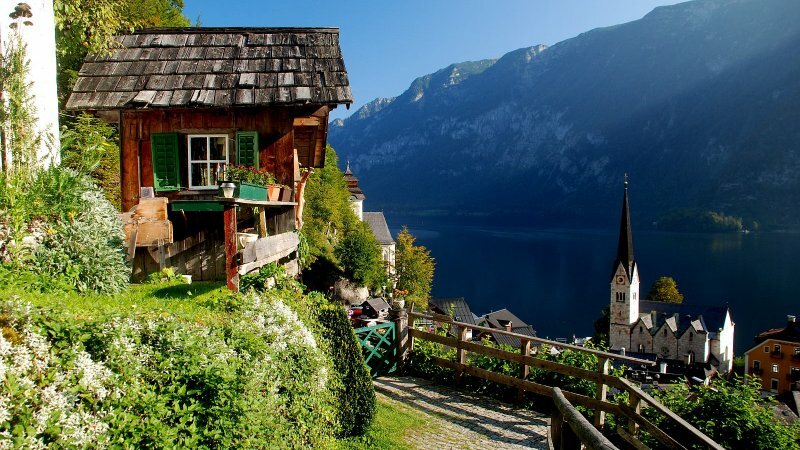 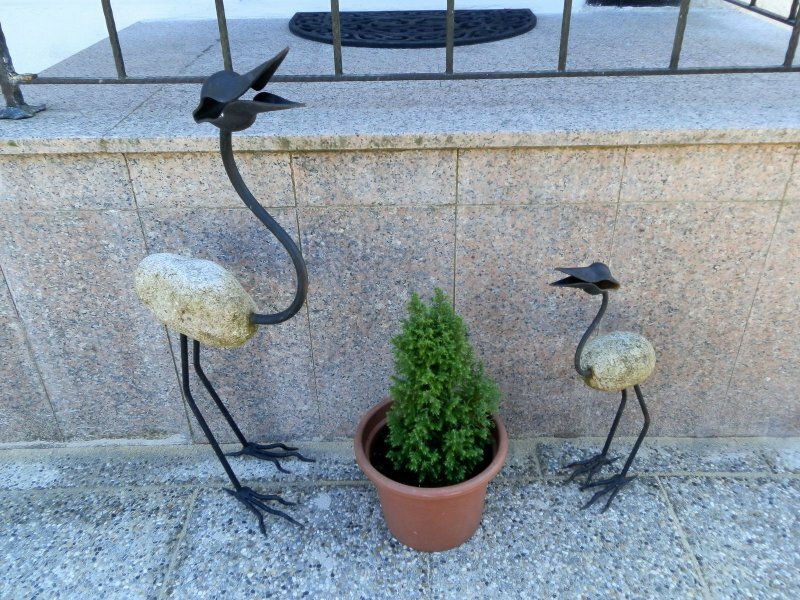 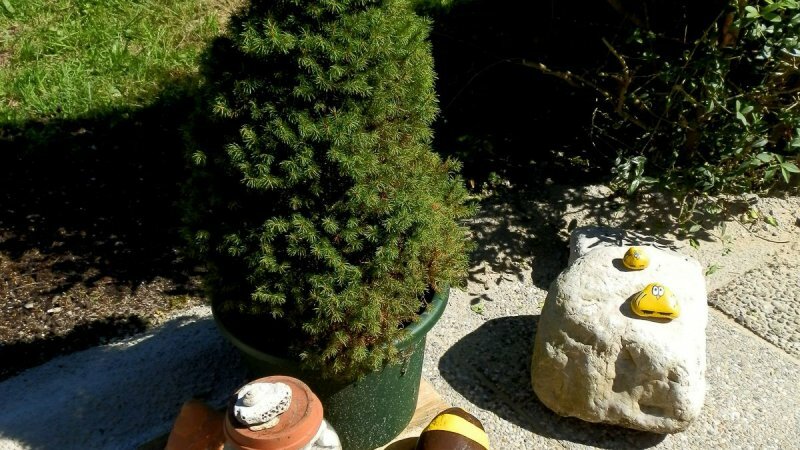 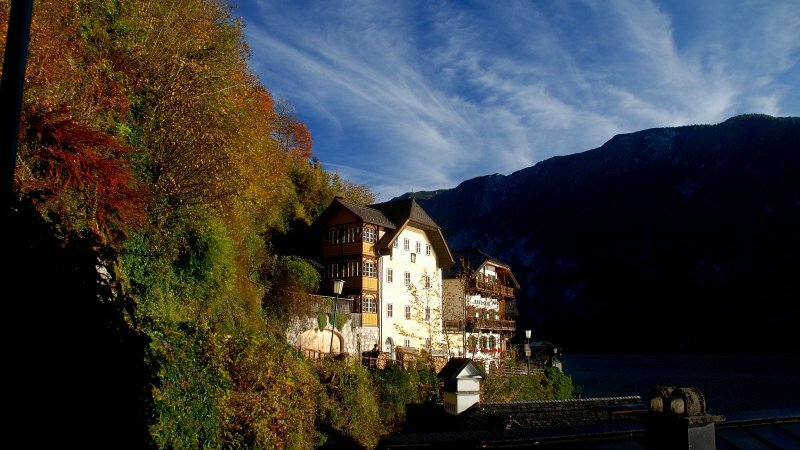 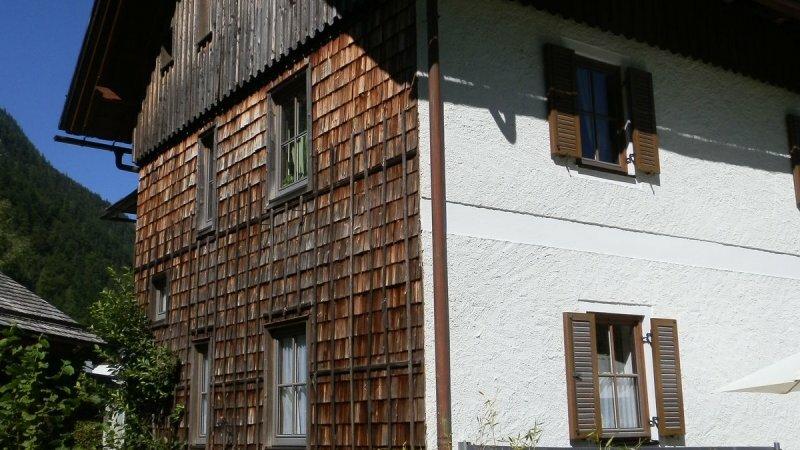 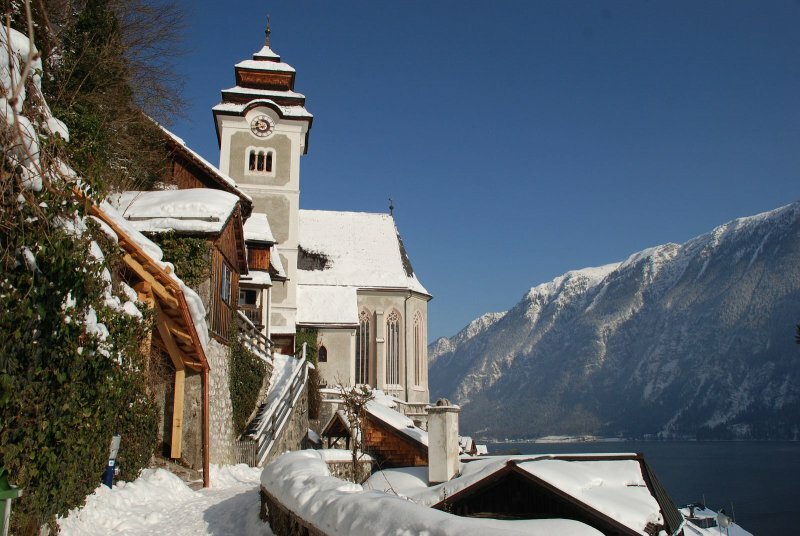 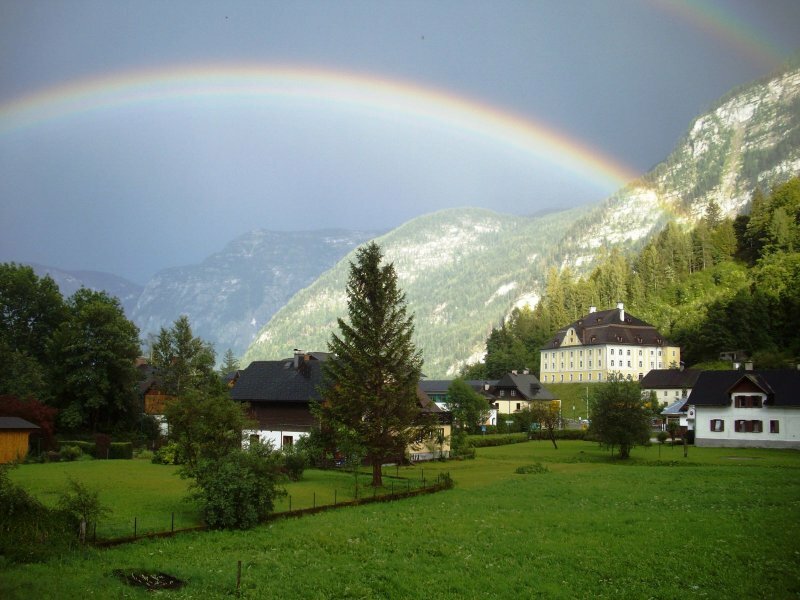 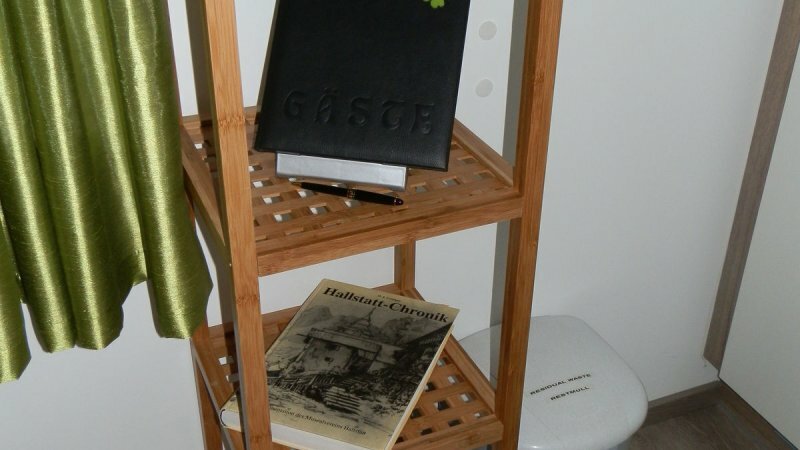 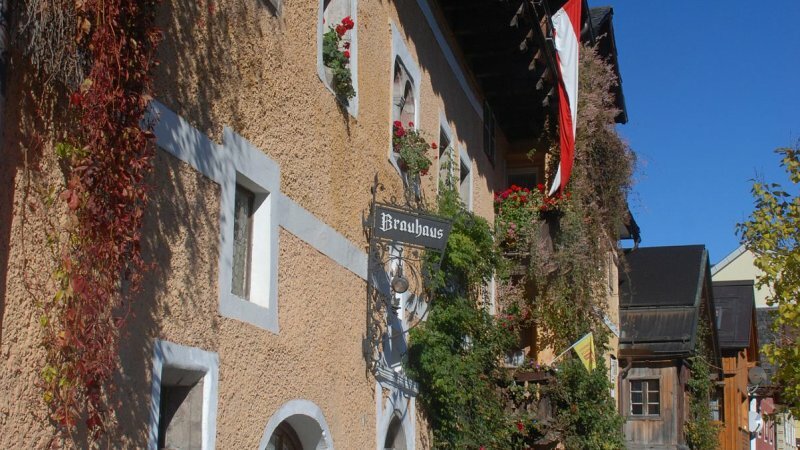 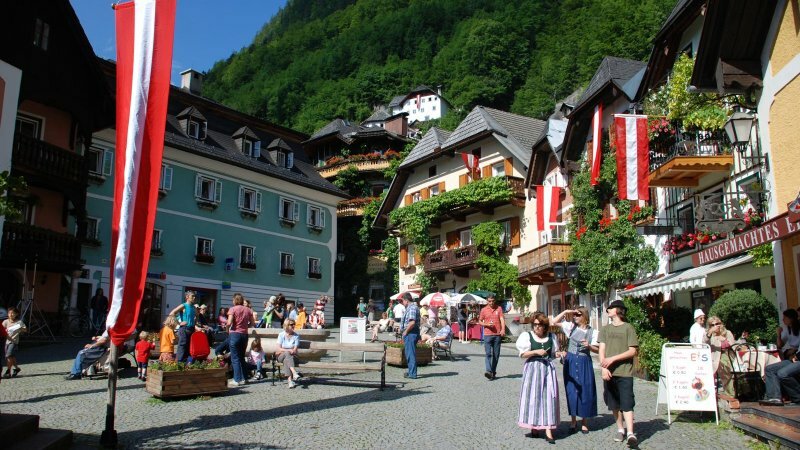 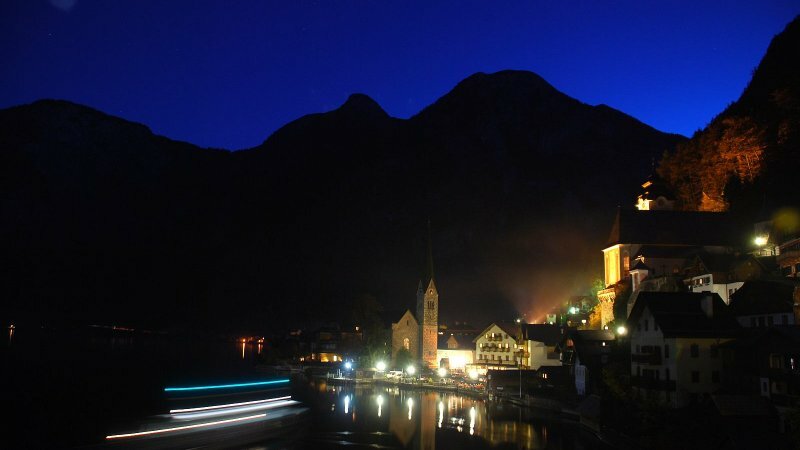 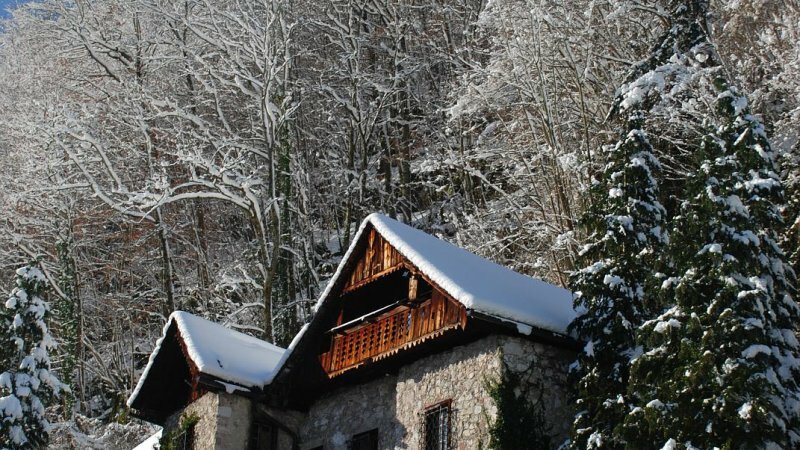 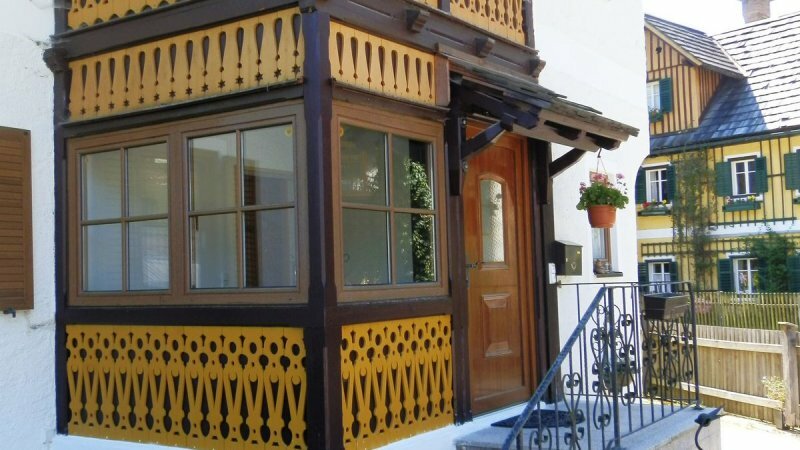 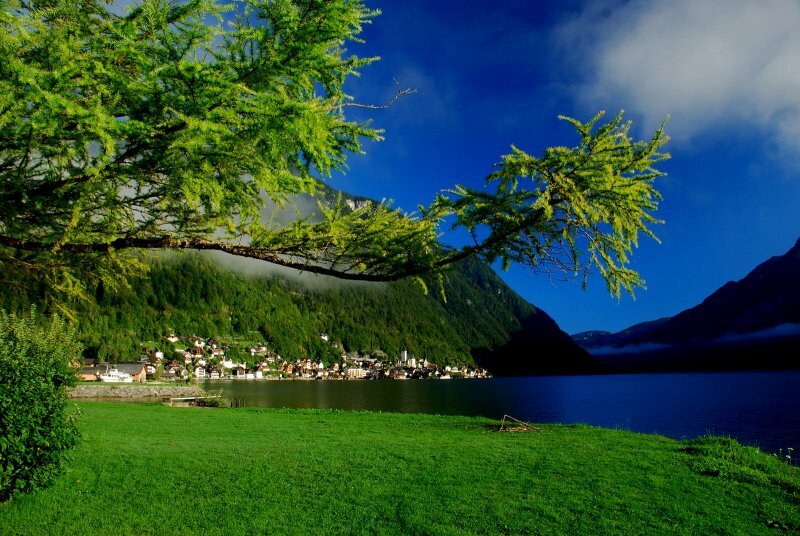 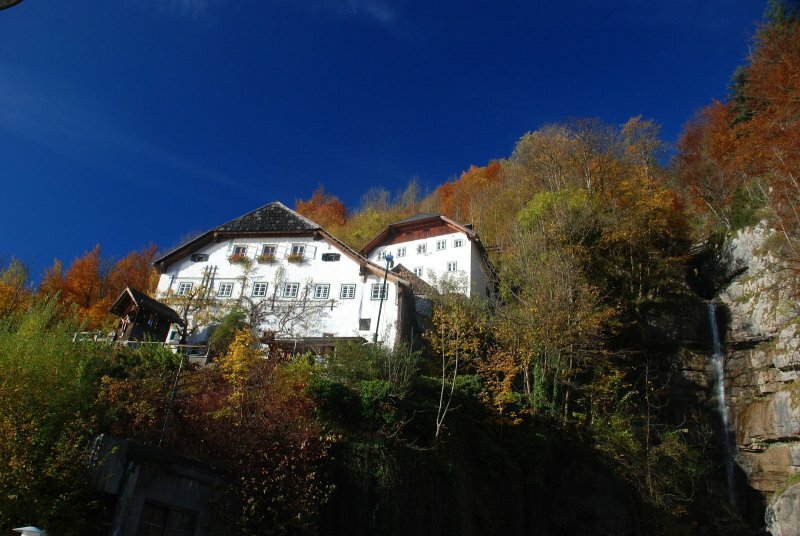 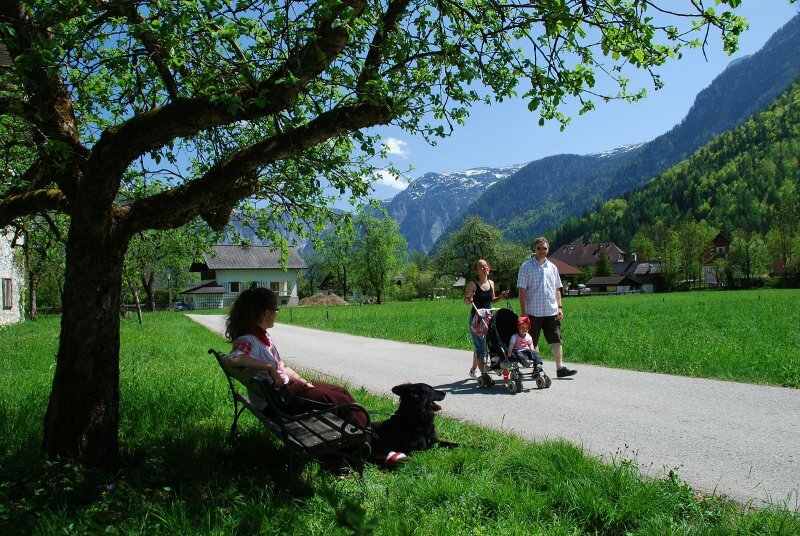 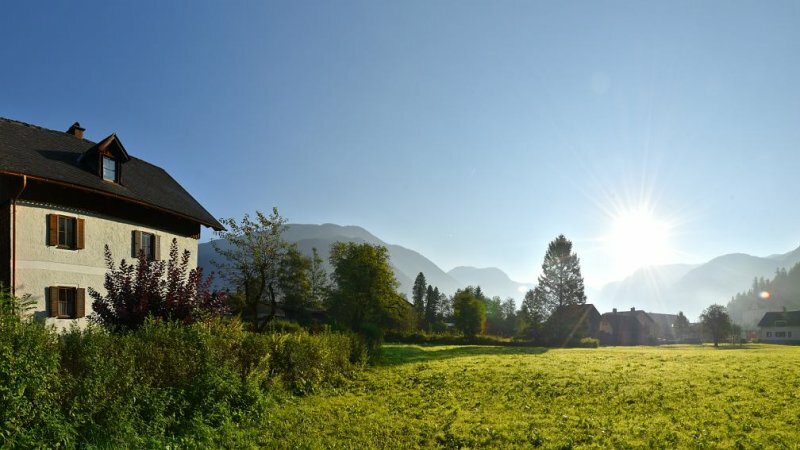 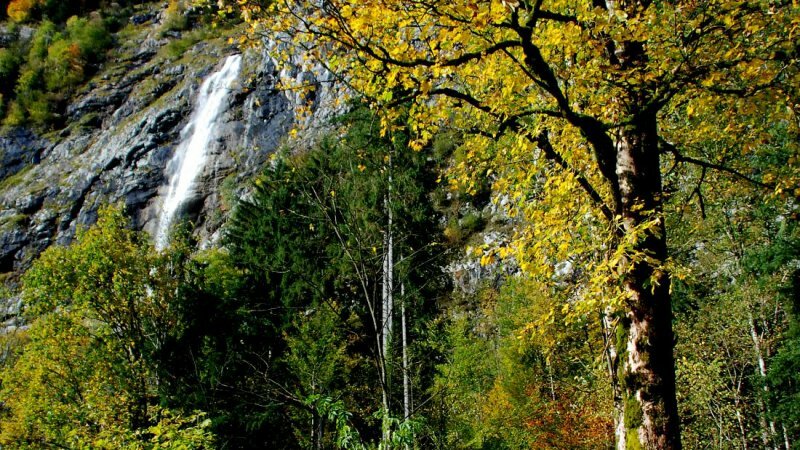 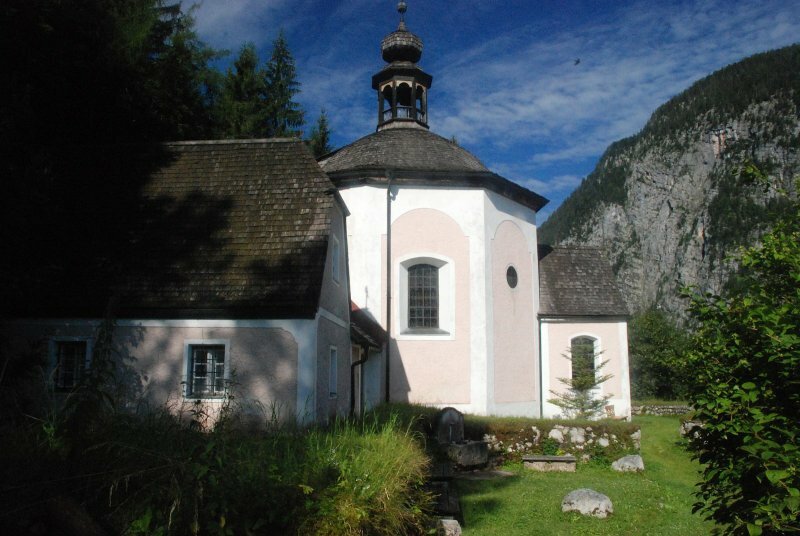 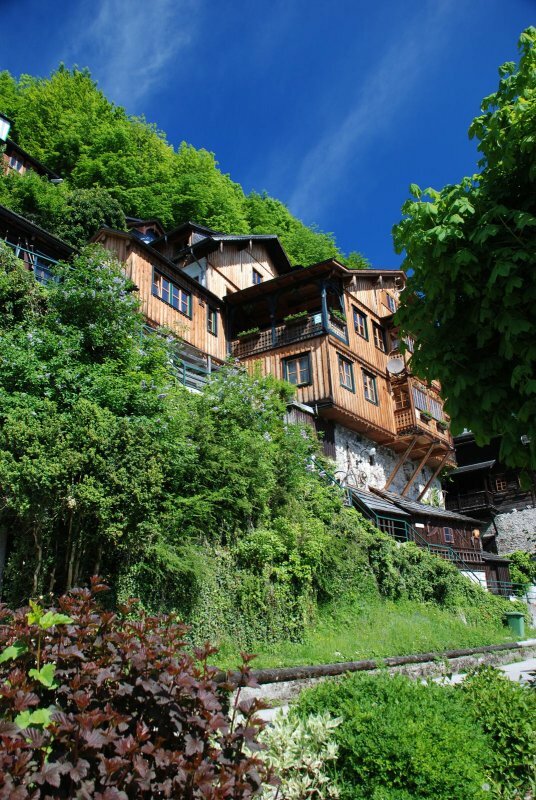 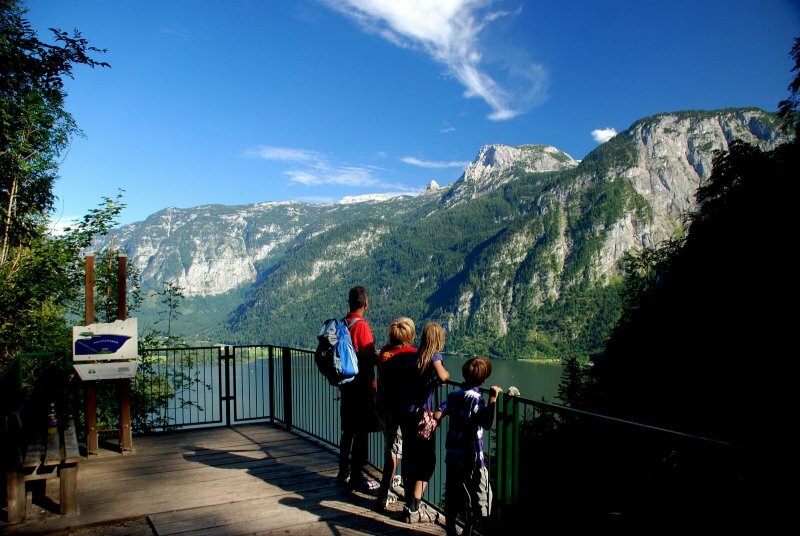 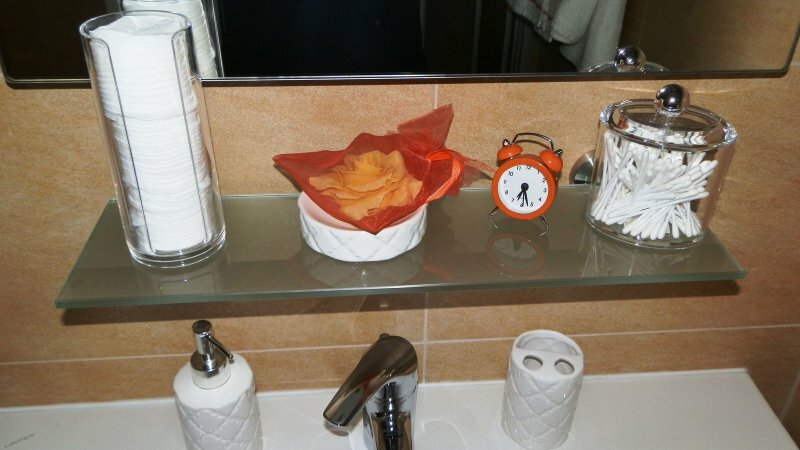 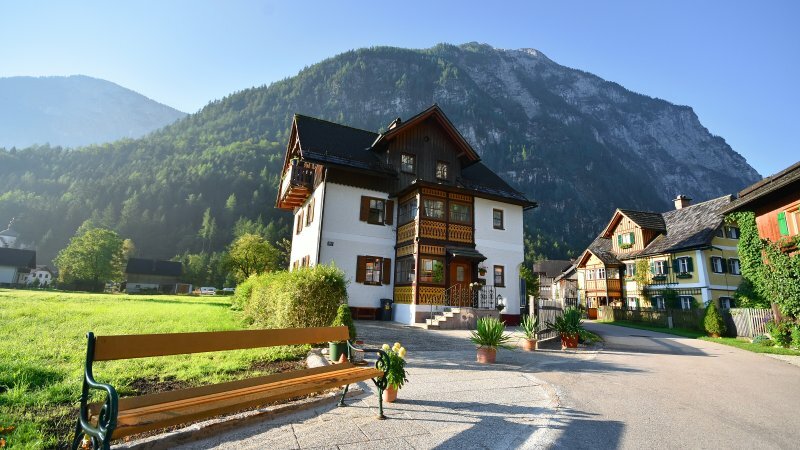 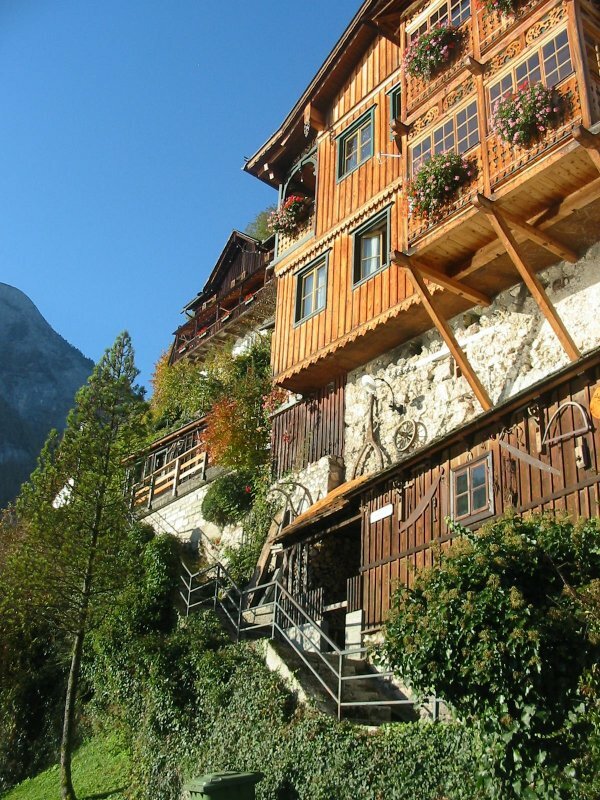 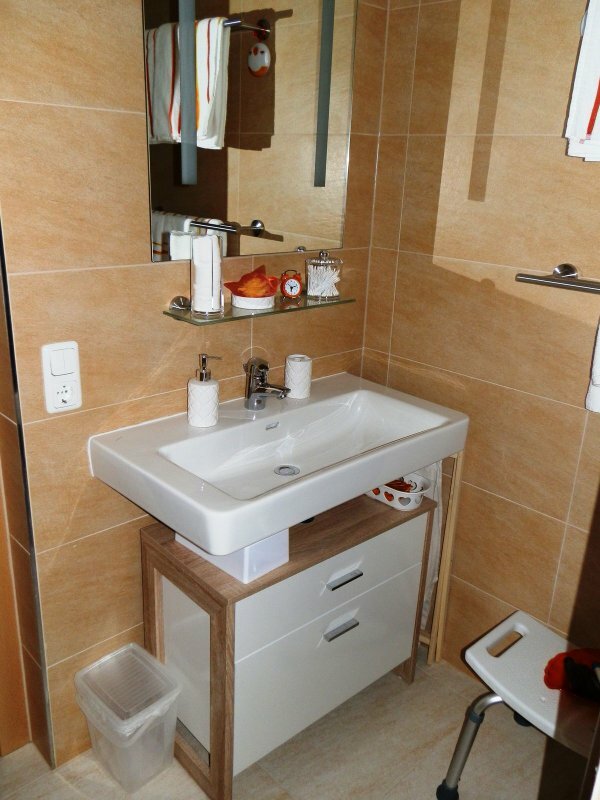 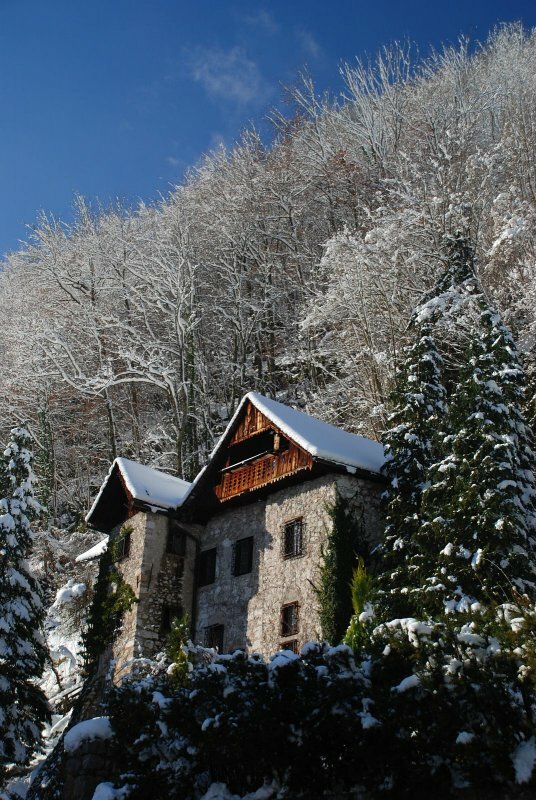 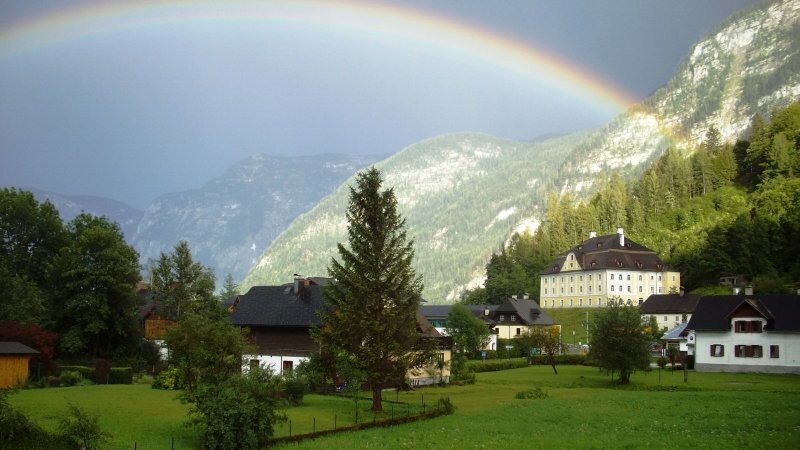 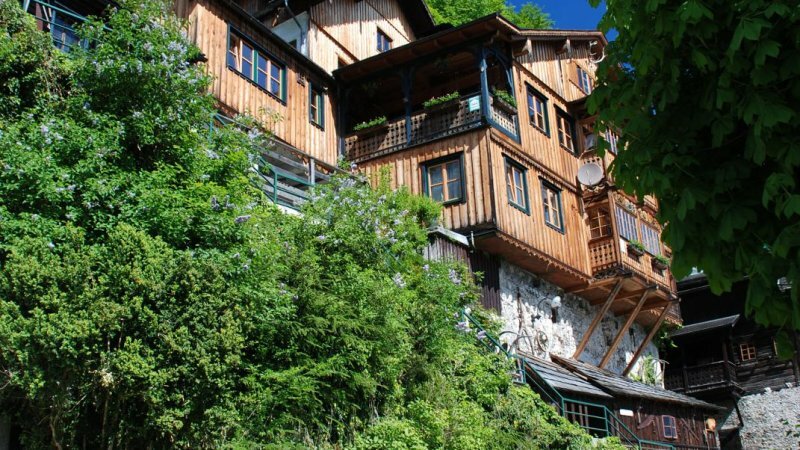 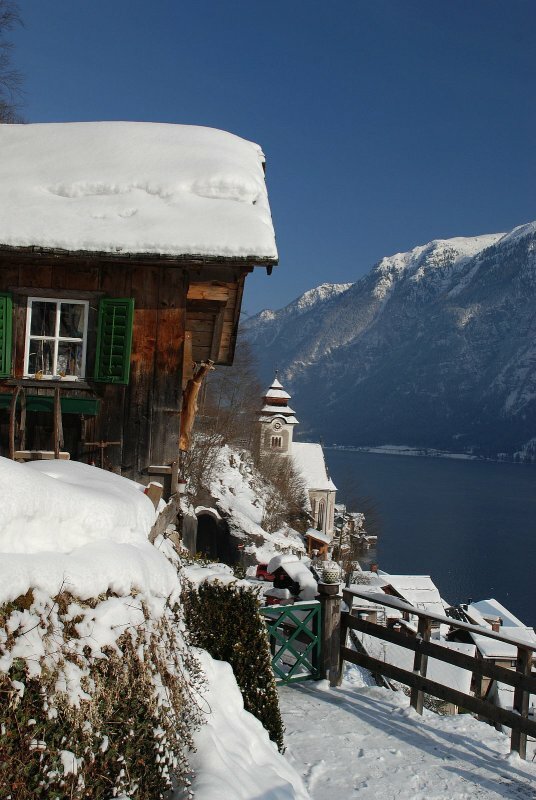 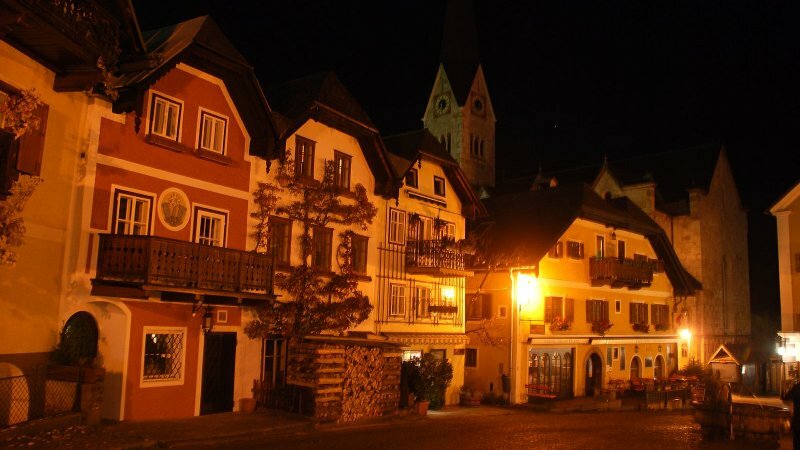 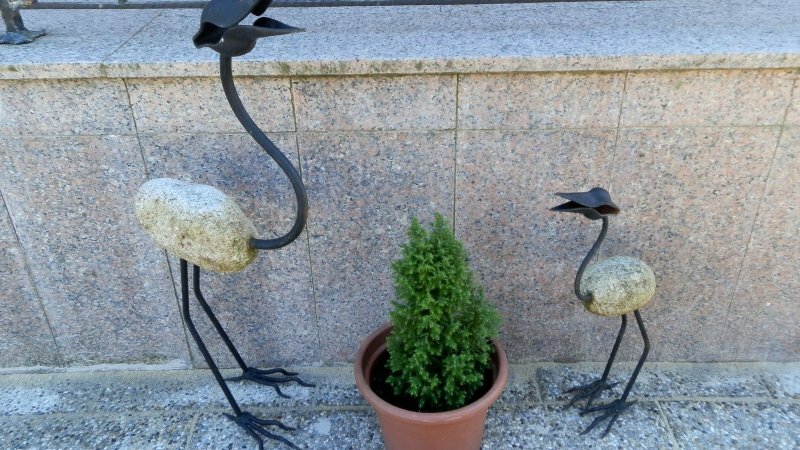 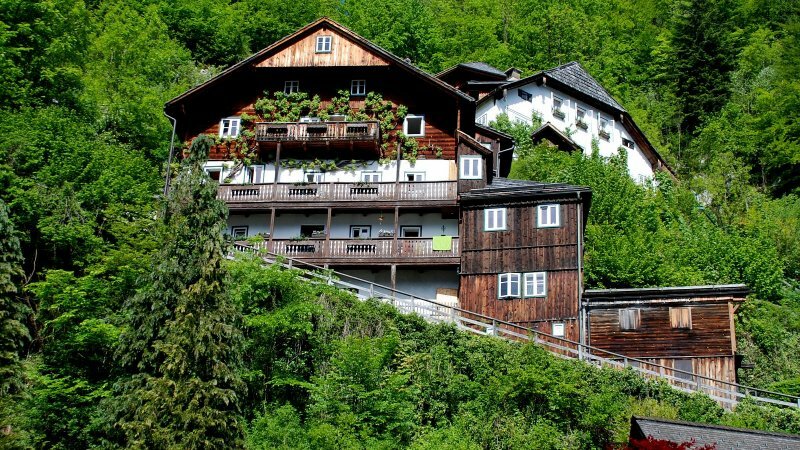 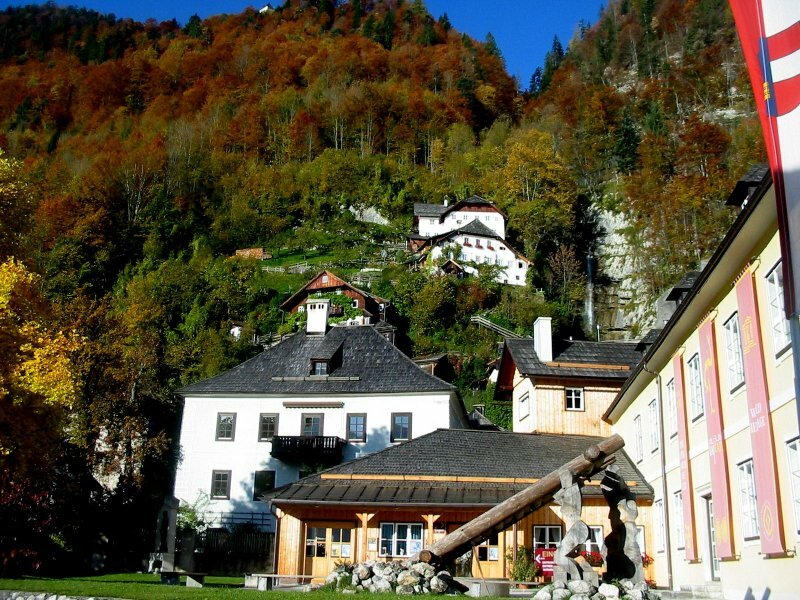 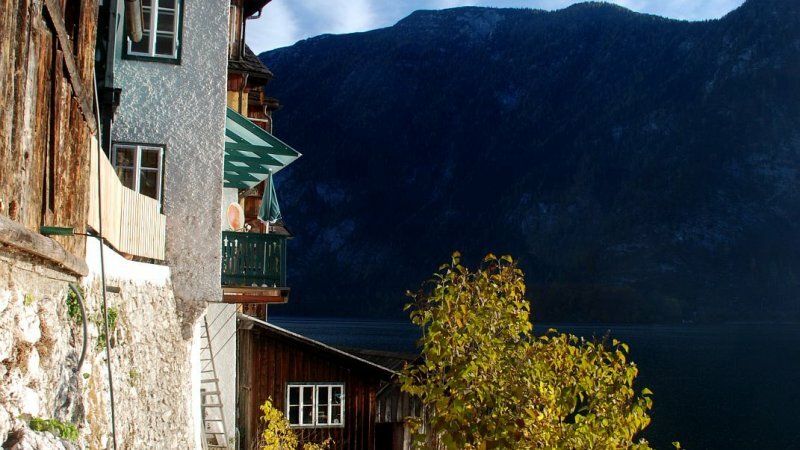 The House of family Aschauer is located just a 10 minute walk from the centre of Hallstatt, with its many attractions. 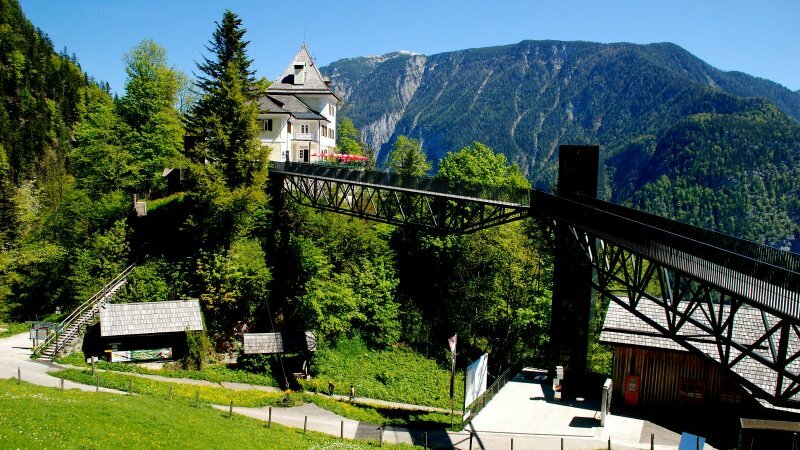 The valley station of the Salzberg, with the oldest salt mine in the world, is only 3 minutes away. 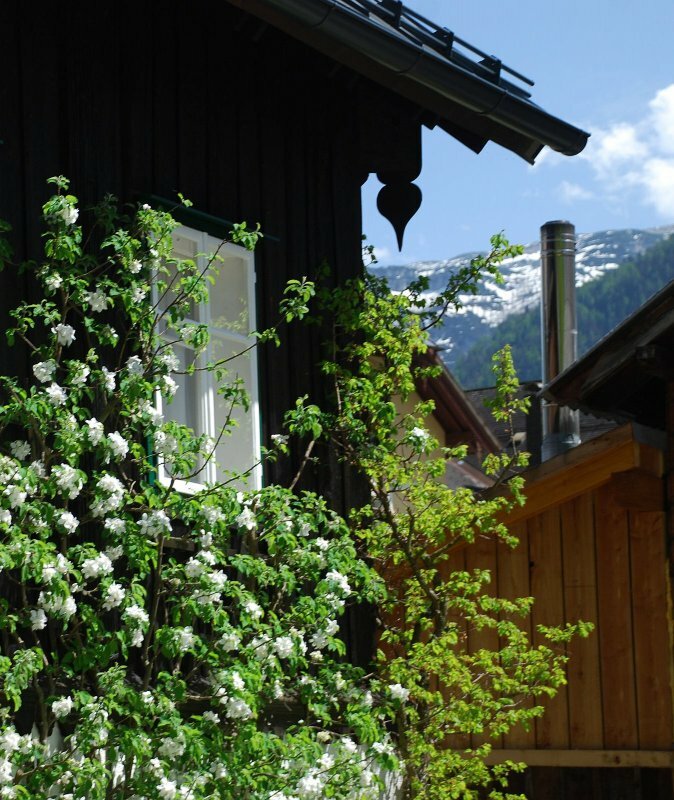 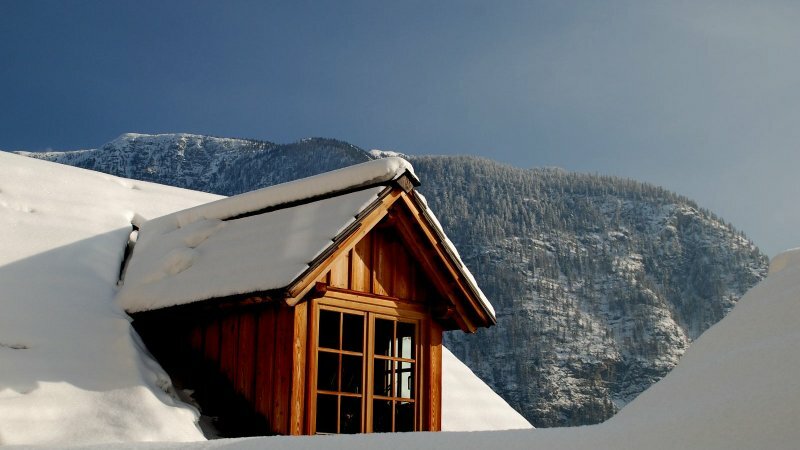 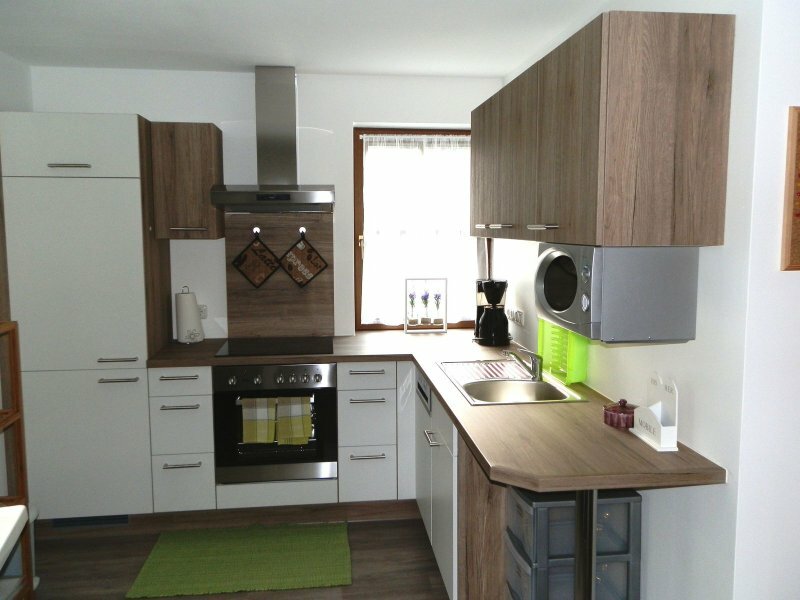 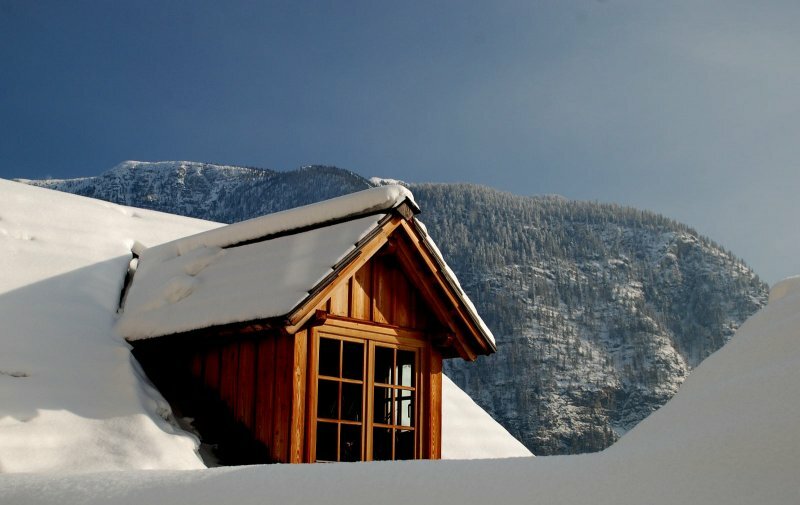 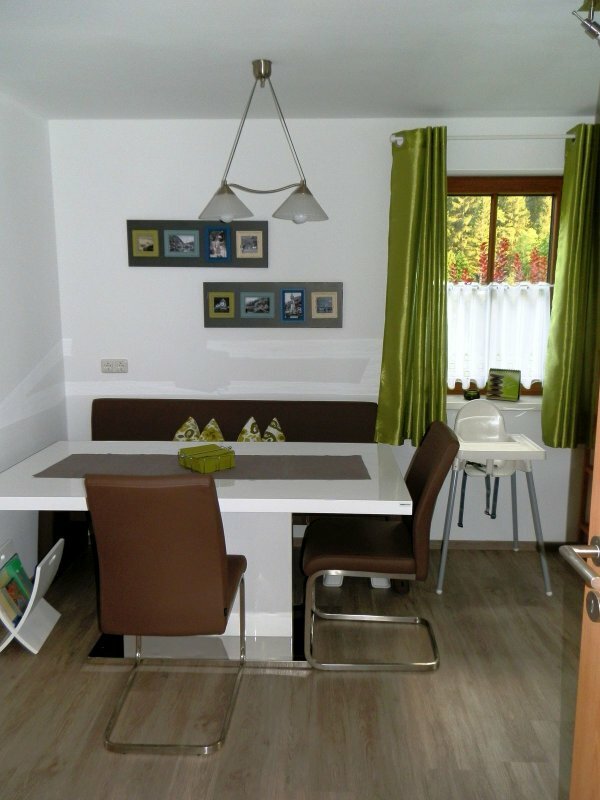 The apartment, at the entrance to Echerntal, is also starting point of many large and smaller tours of exploration through the wild and romantic valley between Echernwand and Hirlatz – whatever the season. 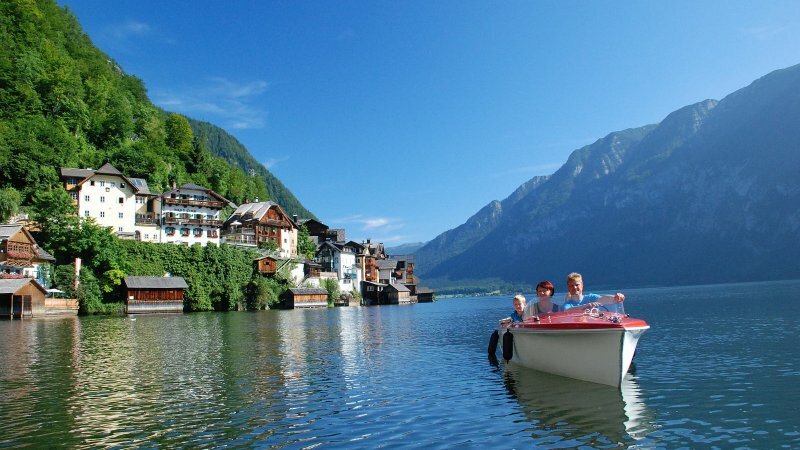 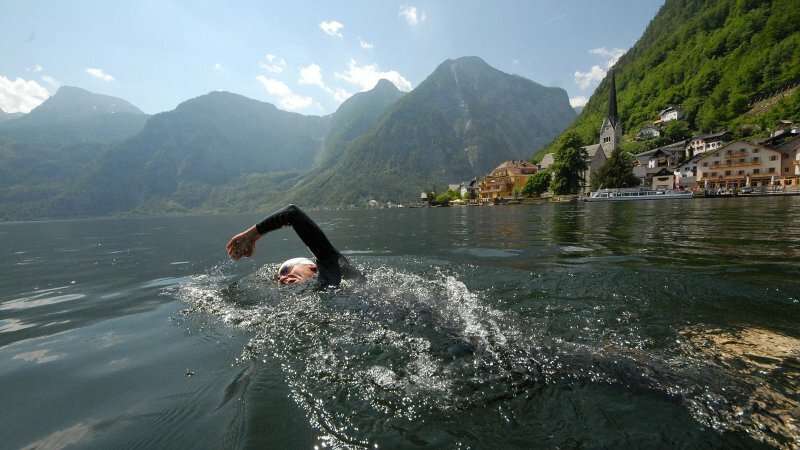 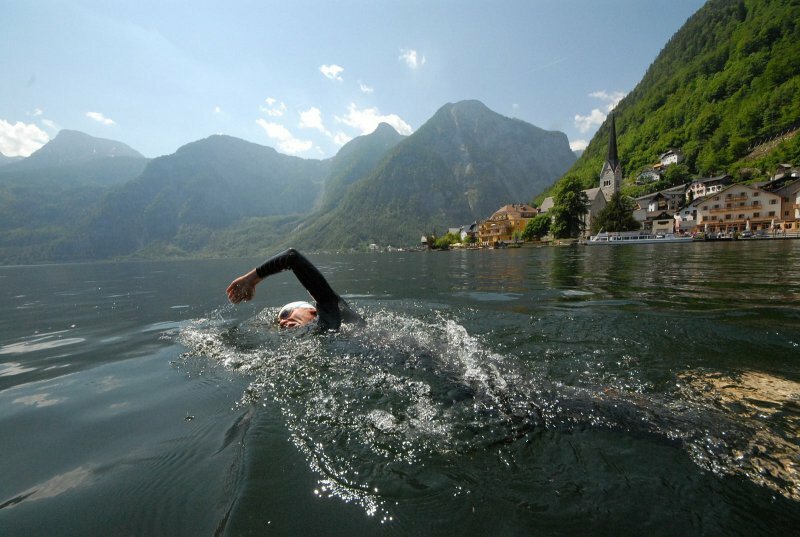 In the summer Lake Hallstatt, with its bathing island, invites you to relaxed bathing fun and is only 5 minutes away! 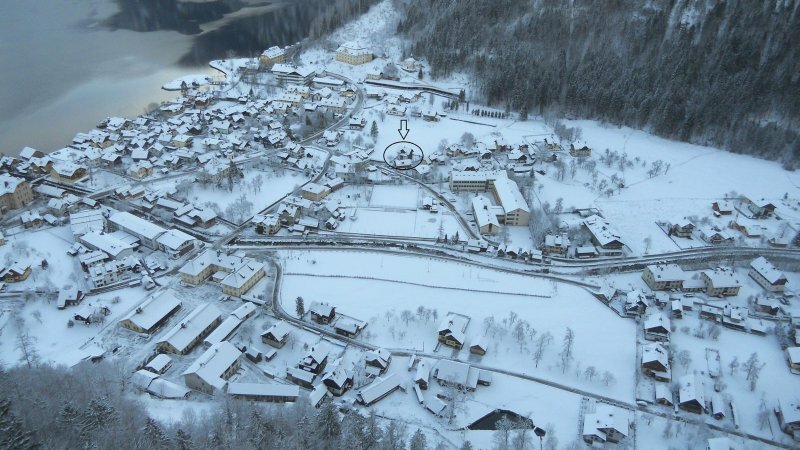 And should you fancy skiing, snowshoeing or cross-country skiing in winter, then the bus stop from skiing and Spa bus is within walking distance. 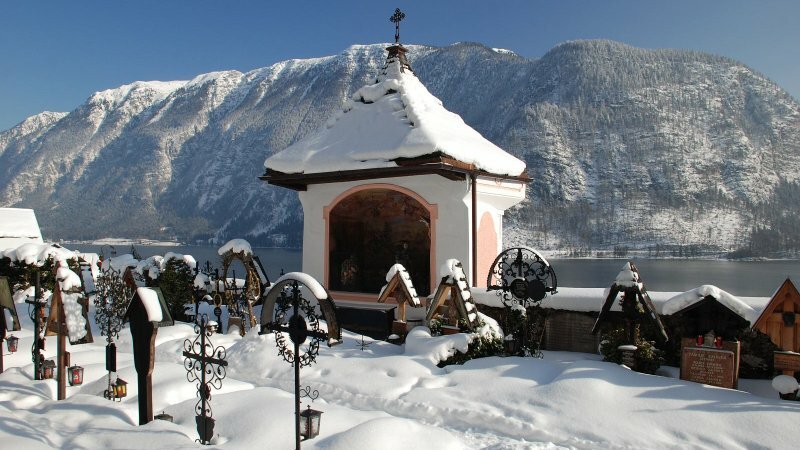 Perfect ski resorts in Obertraun and Gosau, beautiful well-groomed cross country trails and gorgeous winter hiking trails in the Salzkammergut are all waiting for you. 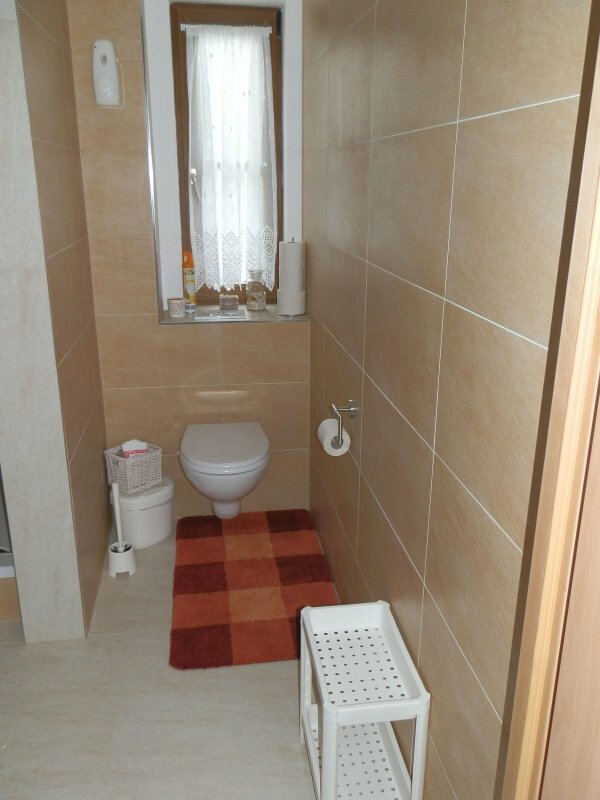 Speaking of winter: so you don’t get cold feet, the apartment of family Aschauer has temperature controlled toasty warm underfloor heating throughout. 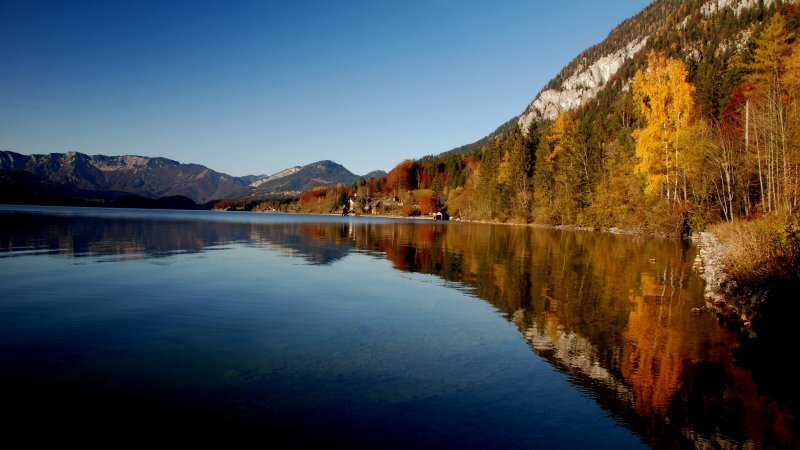 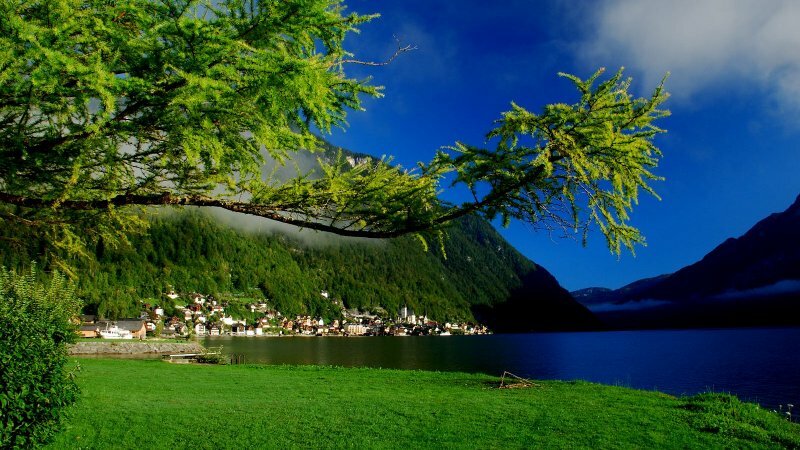 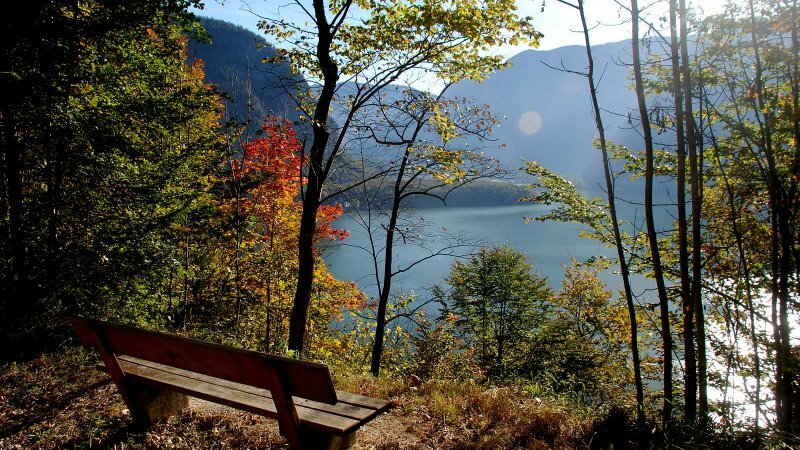 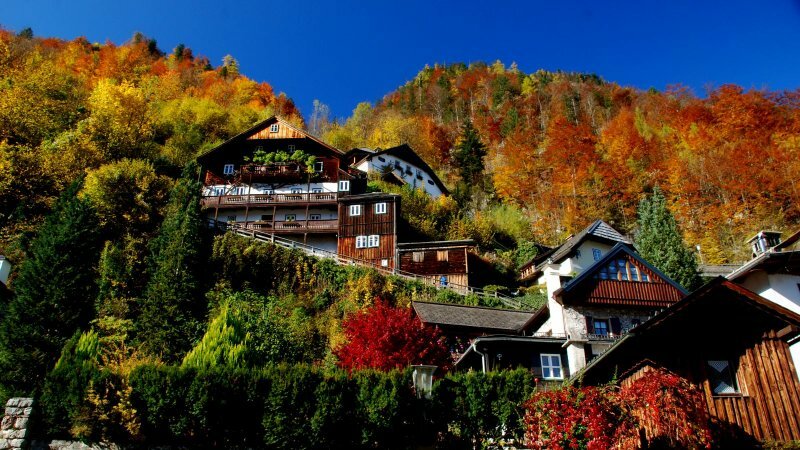 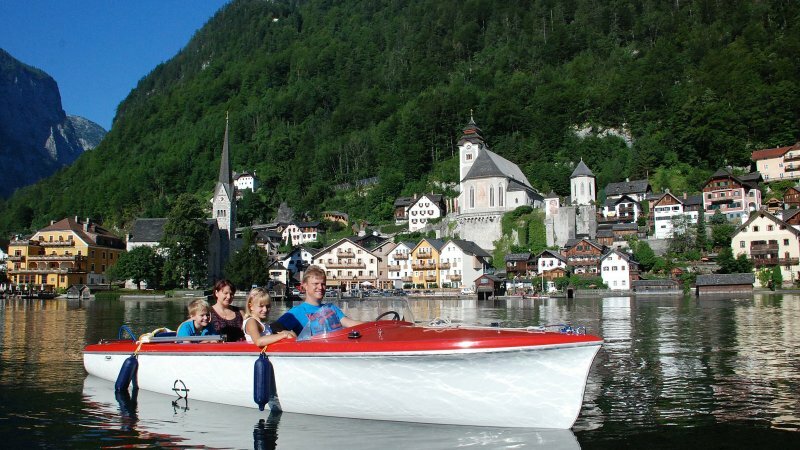 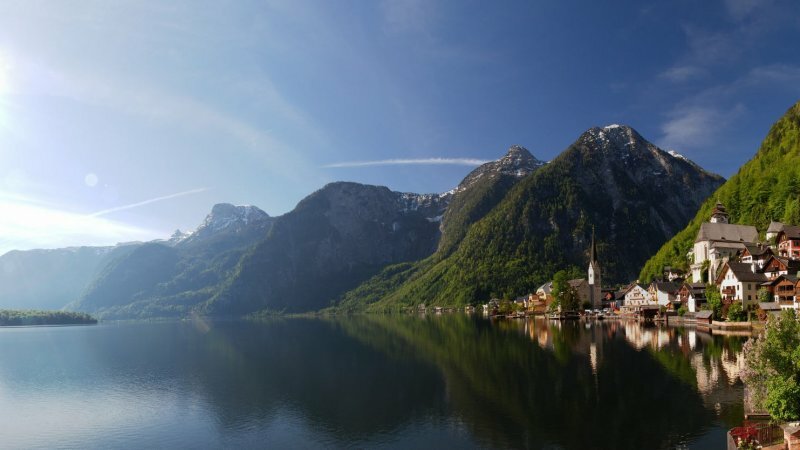 Whether on summer holidays in the Salzkammergut, during a colourful autumn holiday, a dream in white or spring like stopover - Hallstatt and the family Aschauer are always in season. 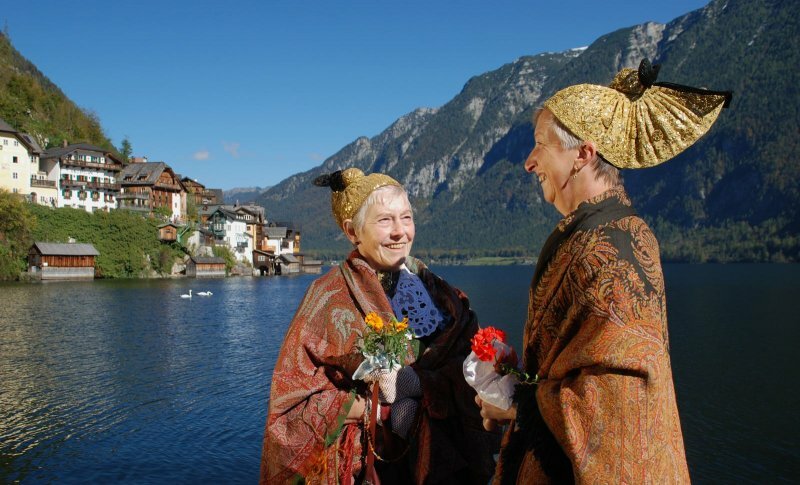 Your hosts look forward to welcoming you in the holiday paradise on Lake Hallstatt. 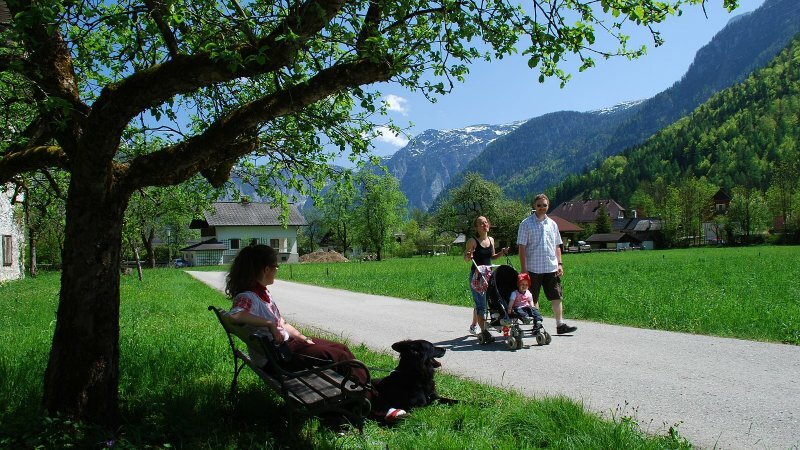 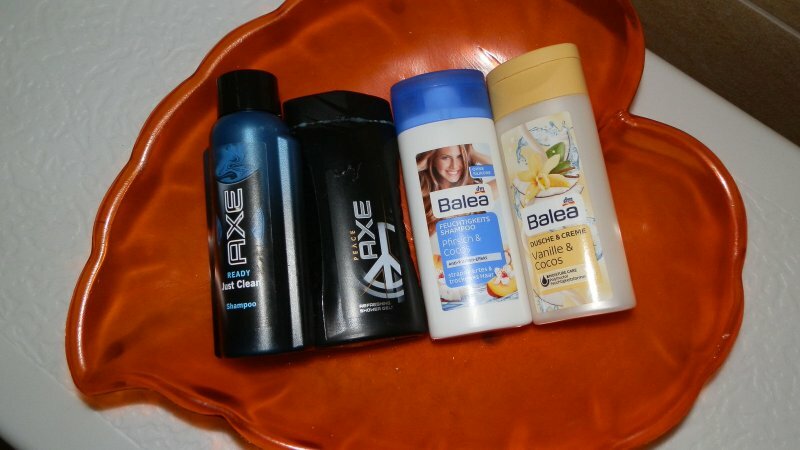 Simply put: holiday in a nutshell! 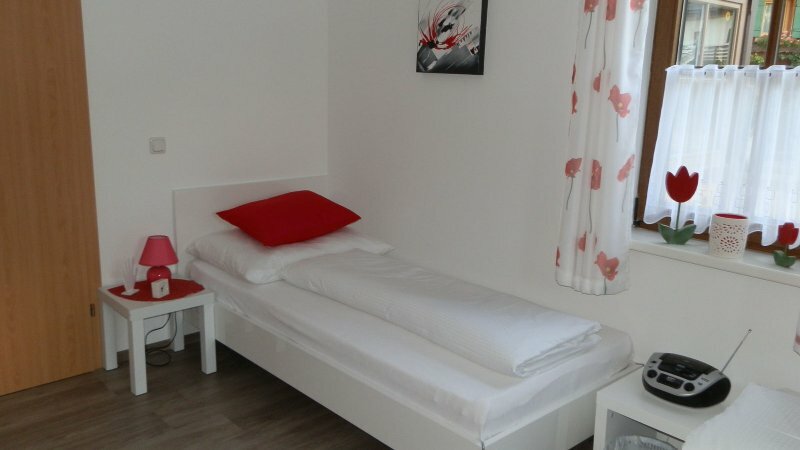 Send booking inquiry for Holiday apartment Aschauer now! 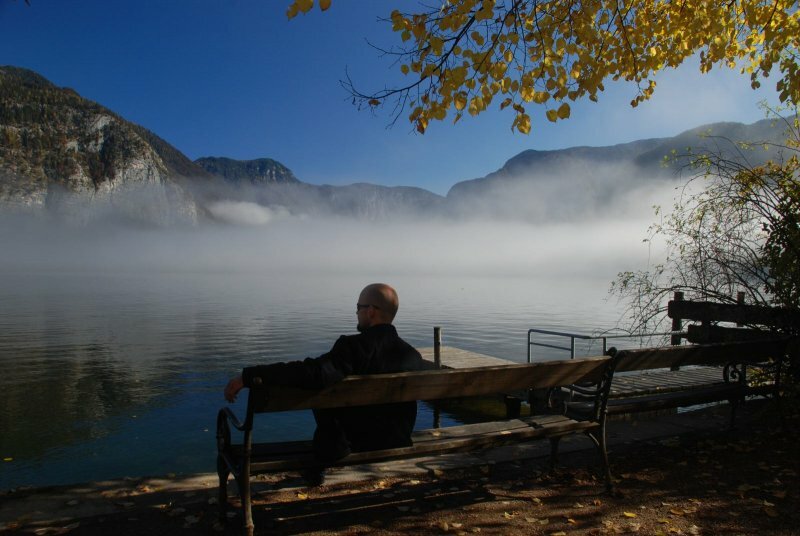 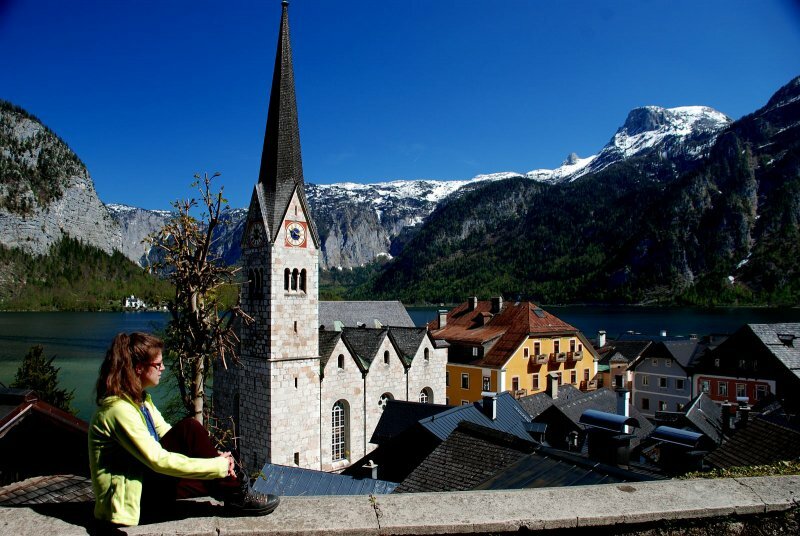 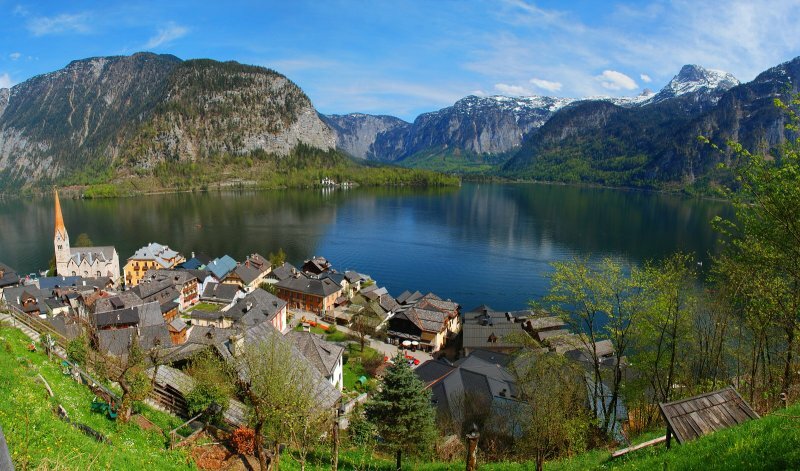 Spring time in Hallstatt / Austria: Vie into the centre. 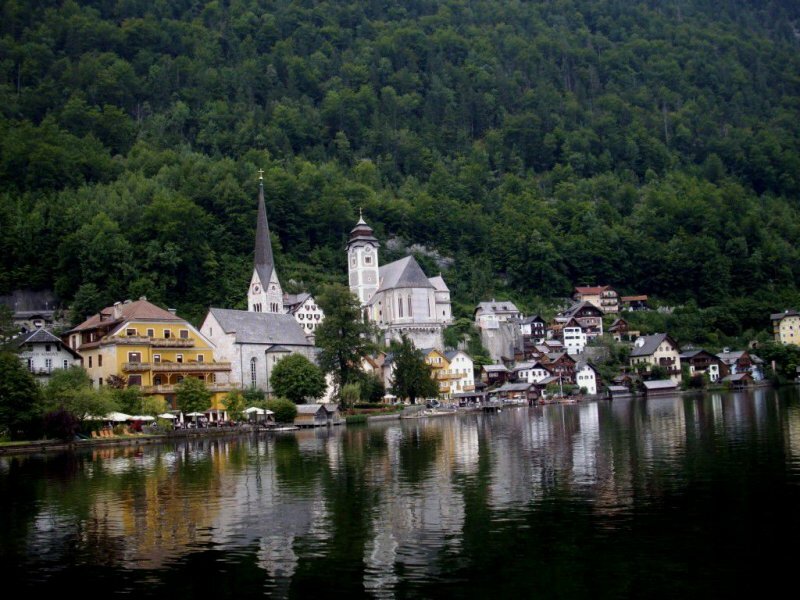 Impressions from the Market Square in Hallstatt - © Torsten Kraft. 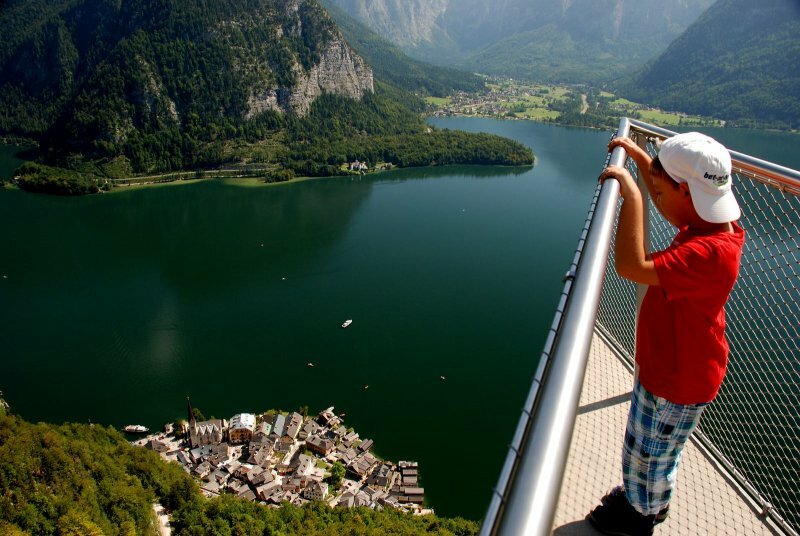 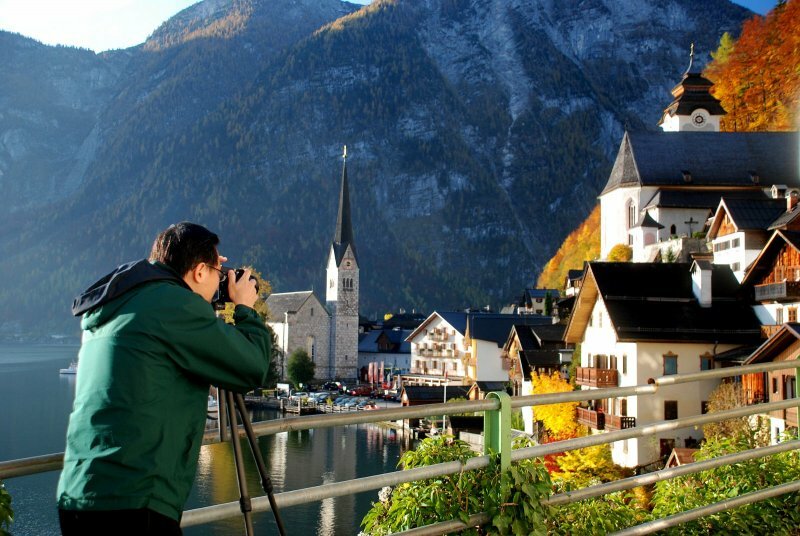 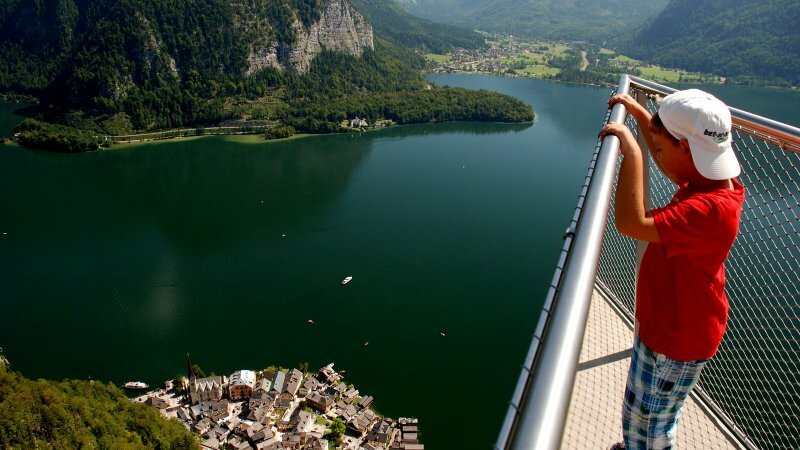 Above the rooftops of Hallstatt: Visit the spectacular viewing platform ‘World Heritage View’ during a holiday to Hallstatt in Austria. 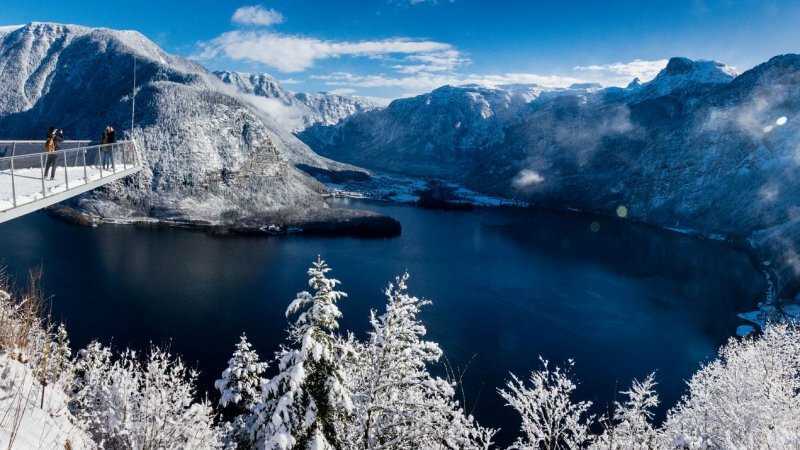 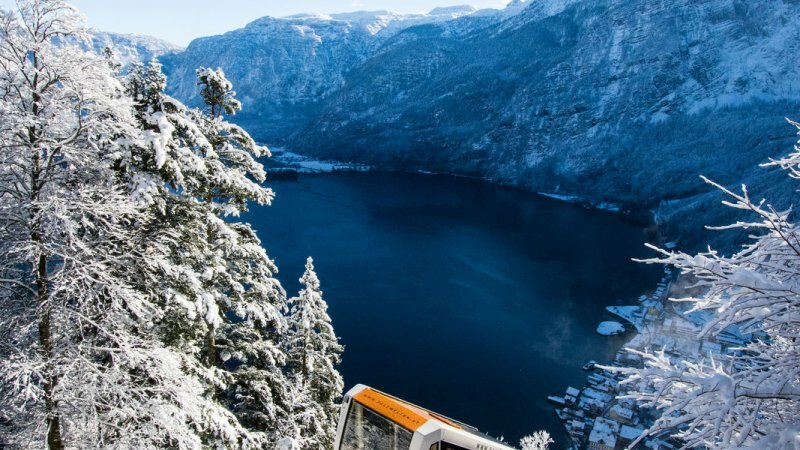 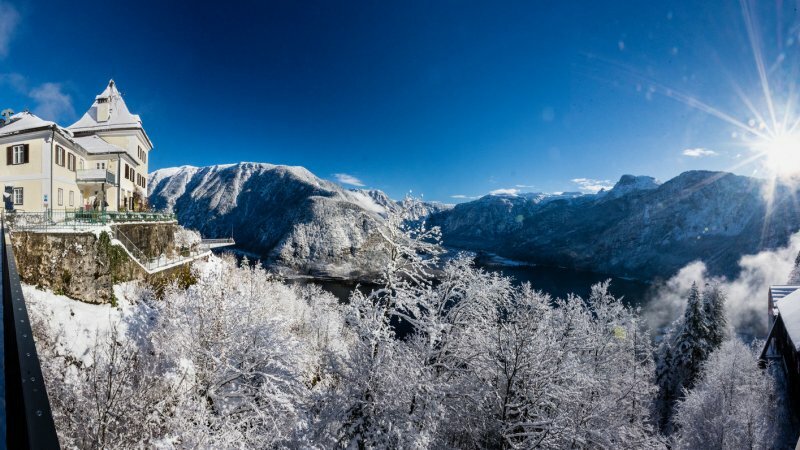 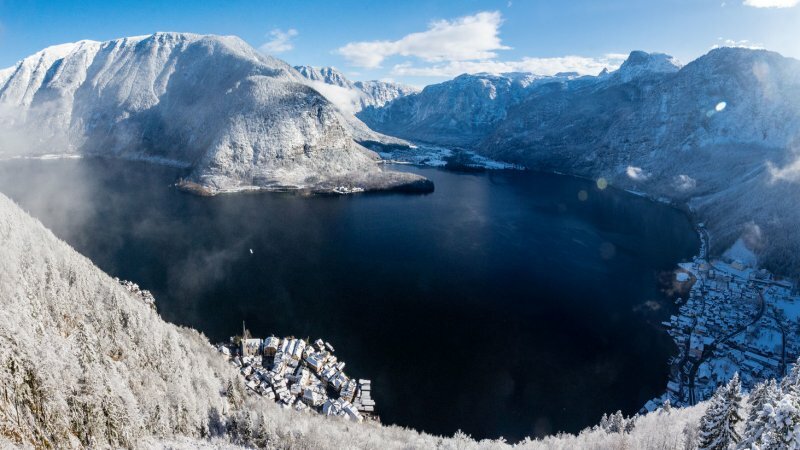 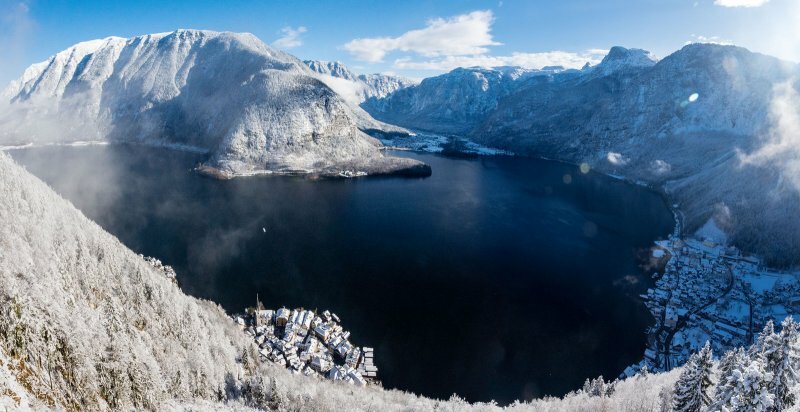 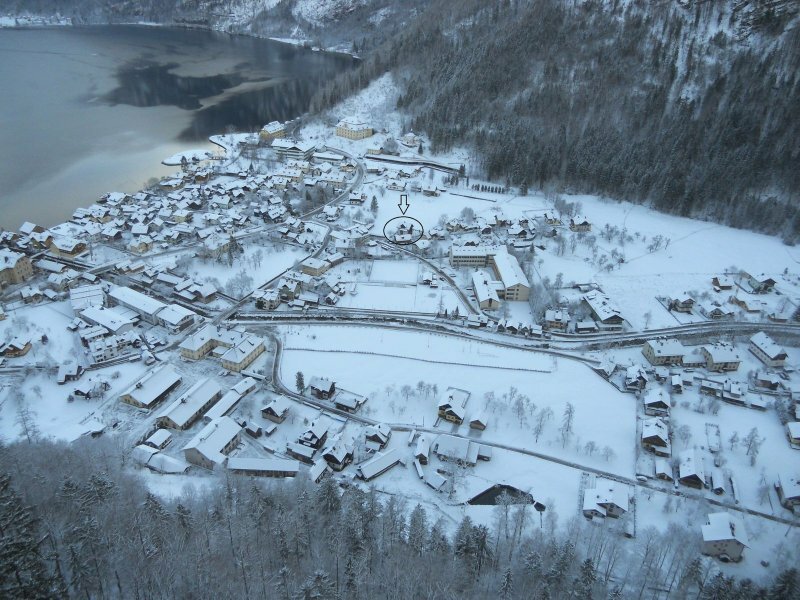 A Winters walk on the Salzberg: Fairytale landscapes high above Hallstatt. 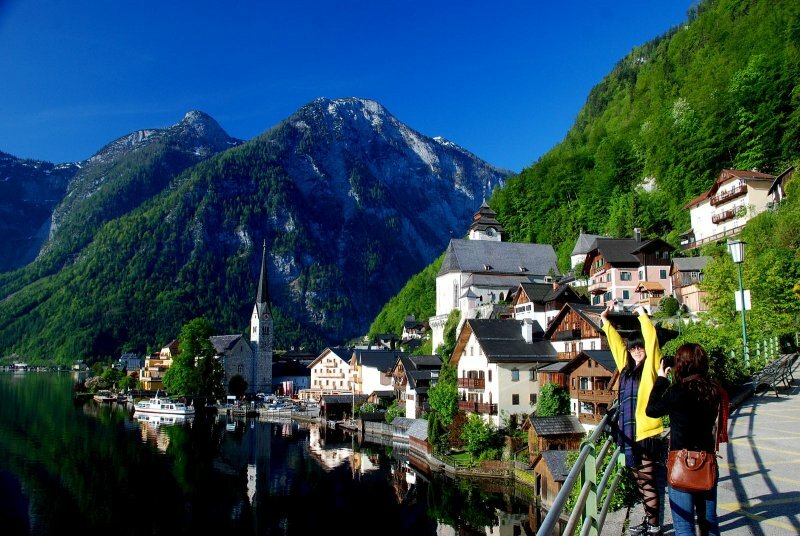 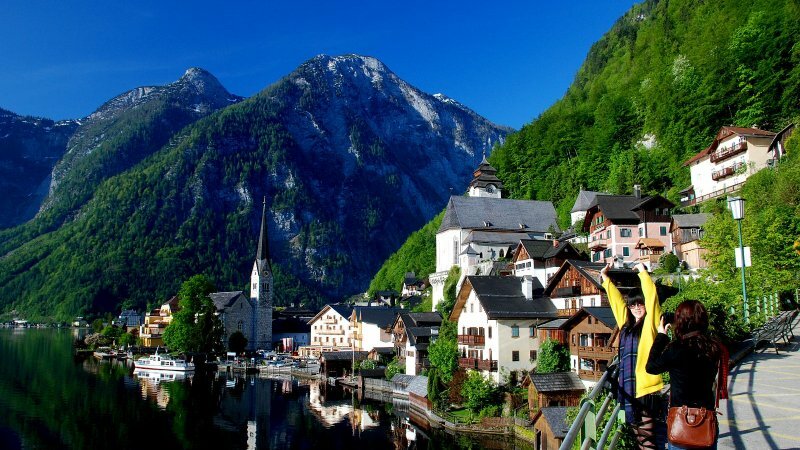 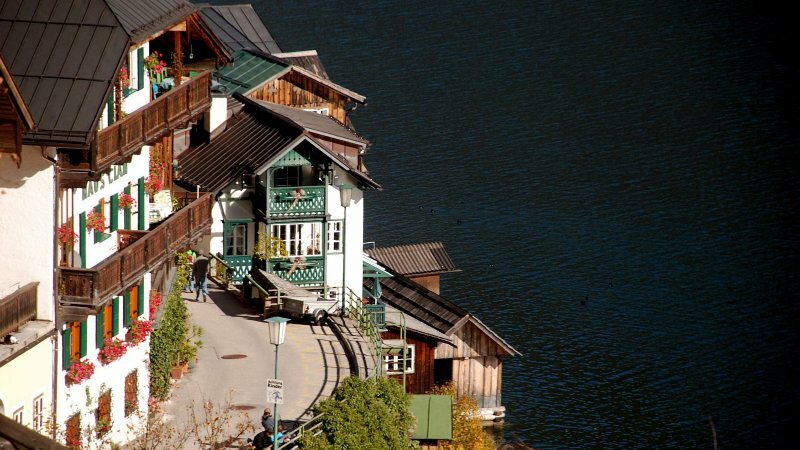 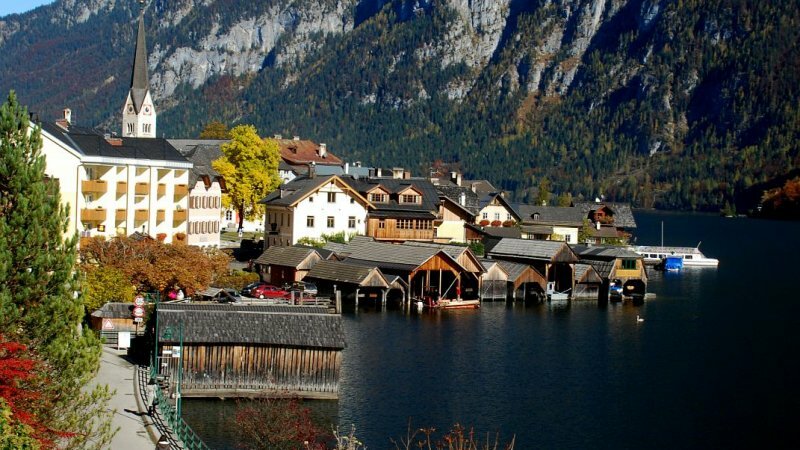 Disvover Hallstatt and Lake Hallstatt: The Hallstatt Dachstein / Salzkammergut region is dotted with lakes flanked by soaring mountains, offering wonderful scenic views. Impressions from the UNESCO World Heritage region of Hallstatt Dachstein Salzkammergut: Traditional headdress for festive and holidays - the golden bonnet in Hallstatt. 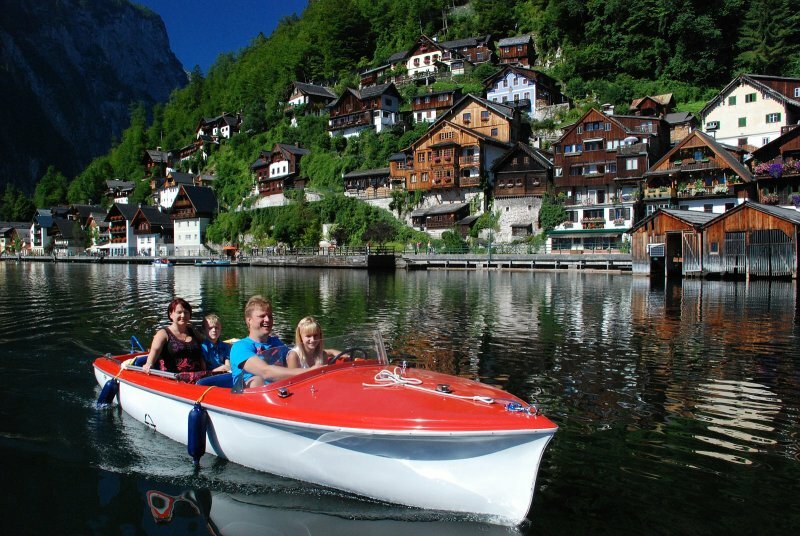 Holiday in Austria: Impressions from Hallstatt - © Kraft. 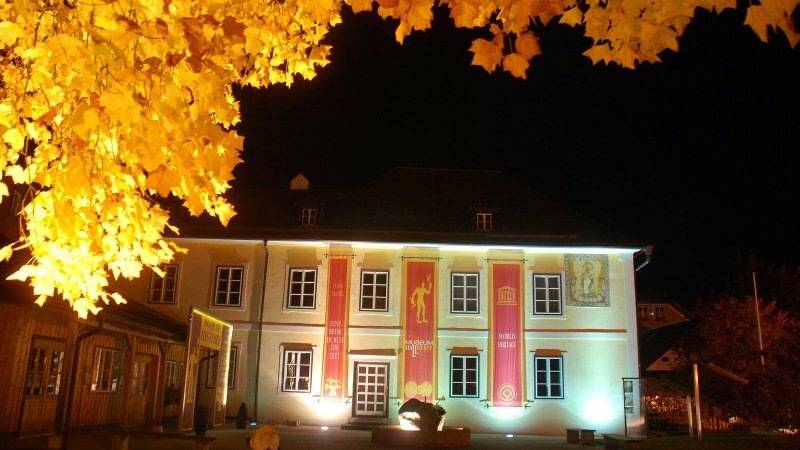 Fiery memories - The "Krambamperlbrennen". 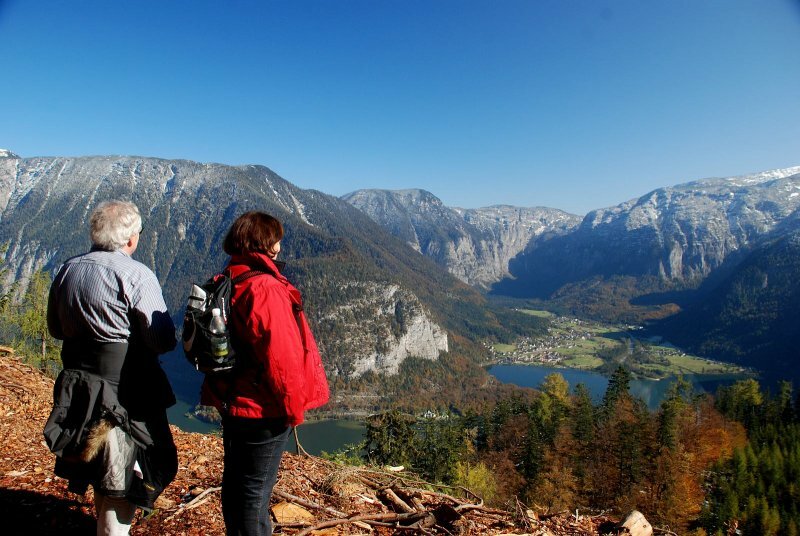 Impressions of the Cultural Landscape UNESCO World Heritage Site Hallstatt–Dachstein Salzkammergut: Echern Valley in Hallstatt - © Kraft. 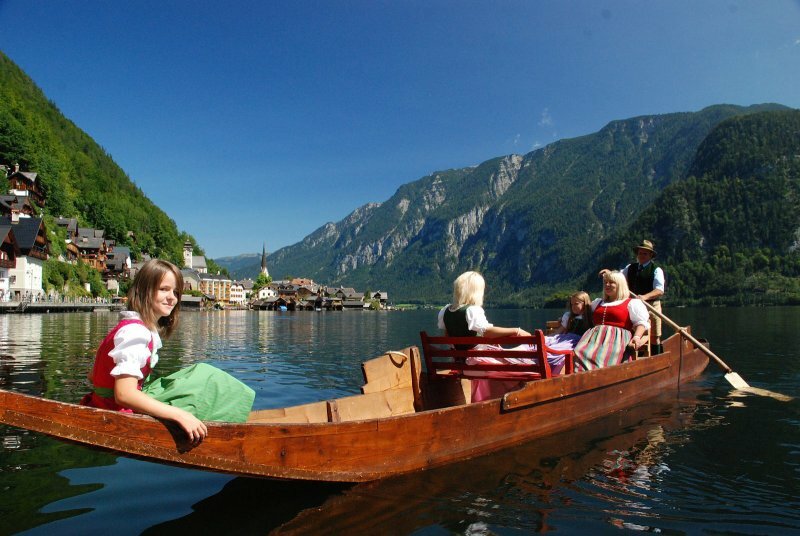 Activity holidayin Austria – Discover the beautiful landscape around Lake Hallstatt - © Kraft. 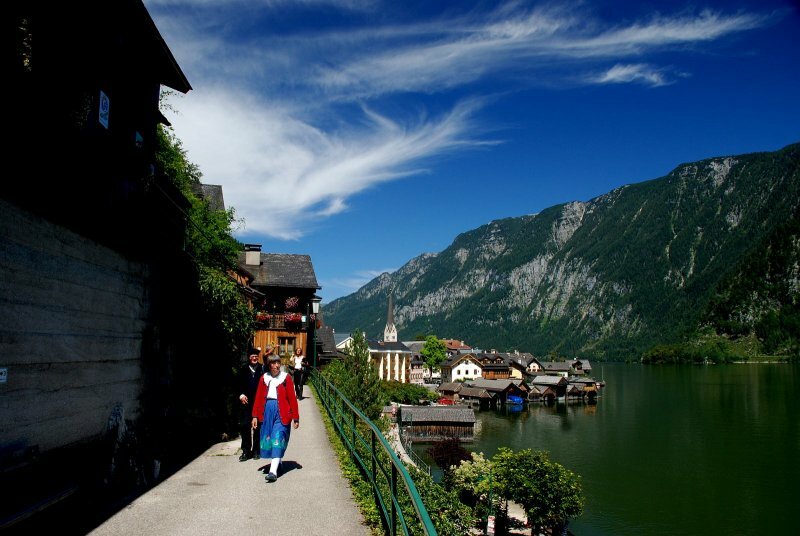 Hallstatt: Your holiday place in Austria - © Torsten Kraft. 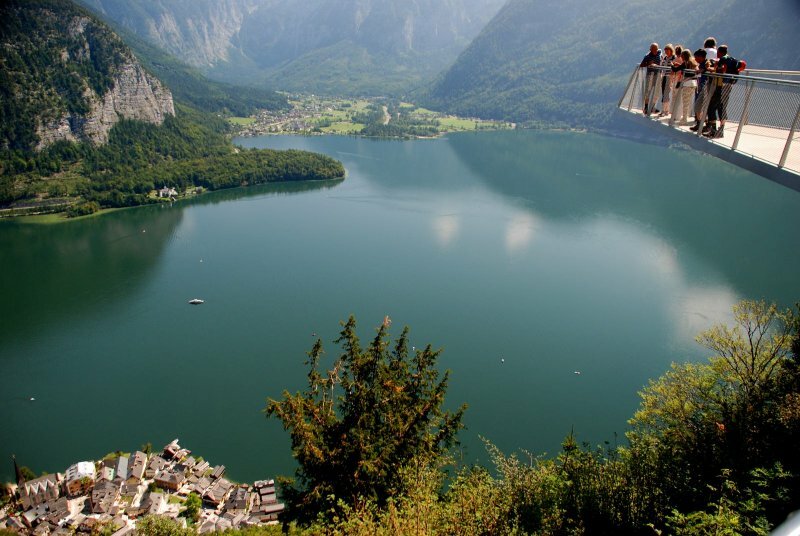 Activity holidayin Austria – Discover the beautiful landscape around Lake Hallstatt - © Lobisser. 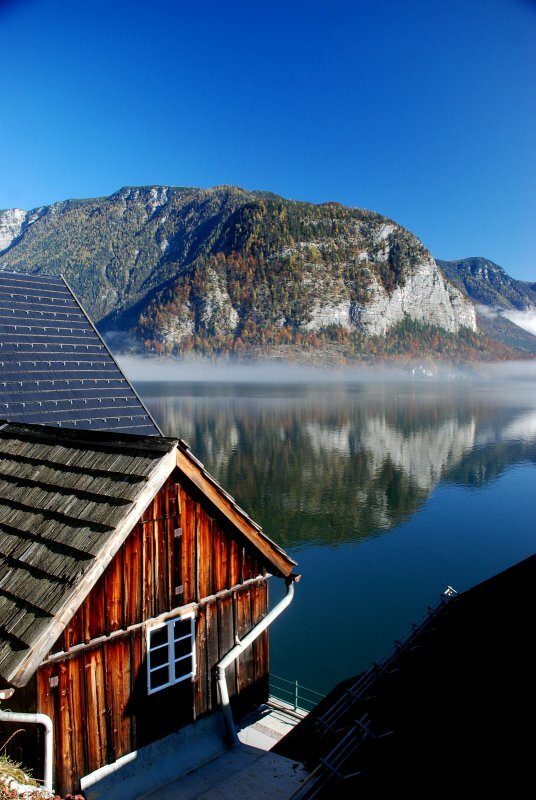 Hallstatt - Millionfold photographed – once copied – never reached - © Kraft. 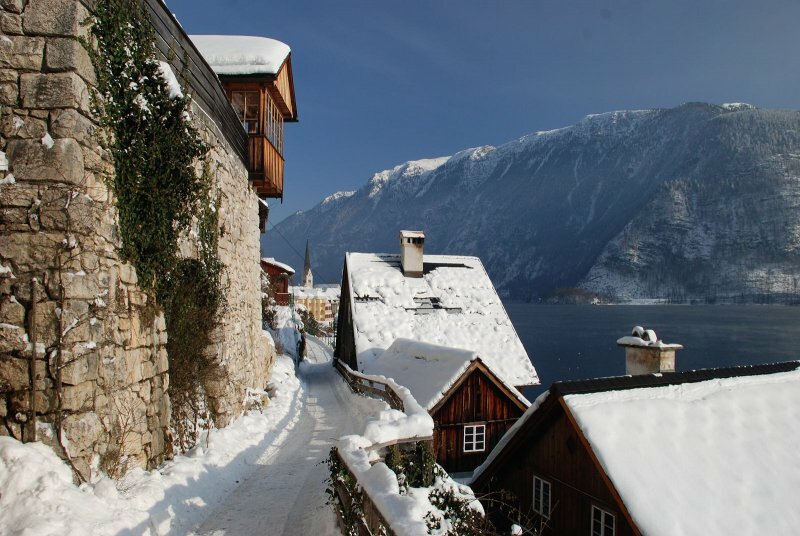 Wintertime in Austria: Impressions from Hallstatt - © Kraft. 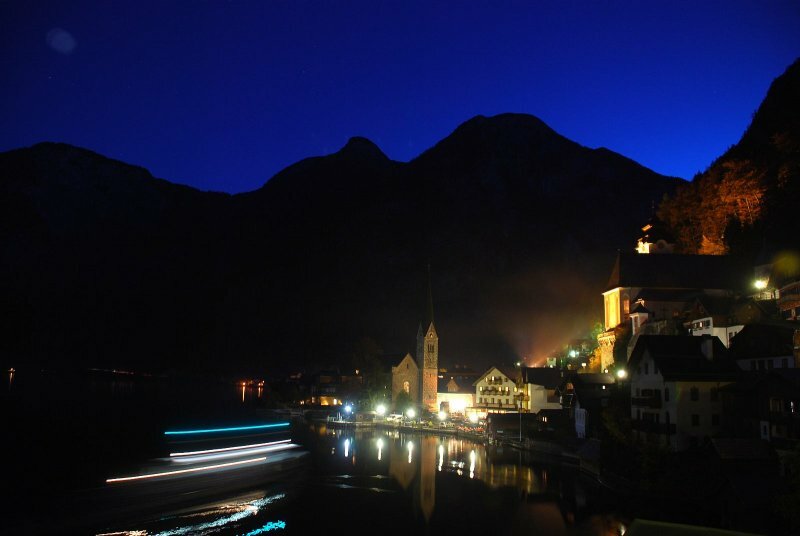 Impressions from Hallstatt - © Torsten Kraft. 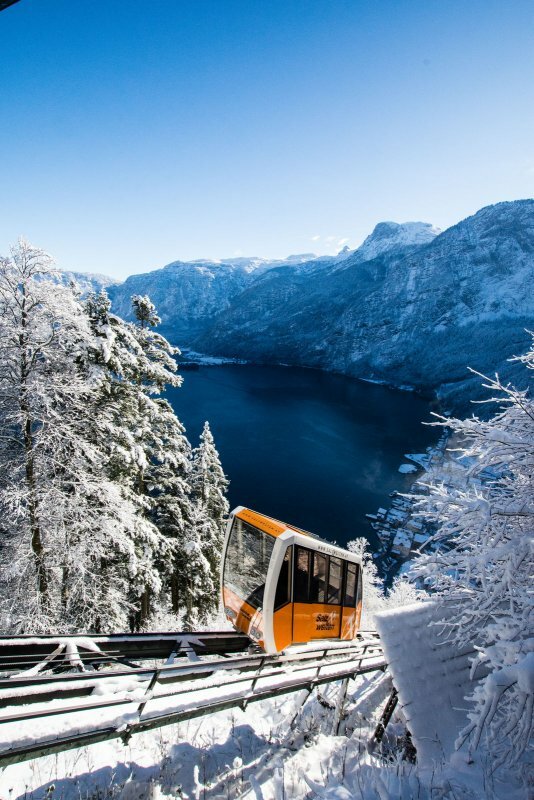 Winter hiking in Hallstatt - © Kraft. 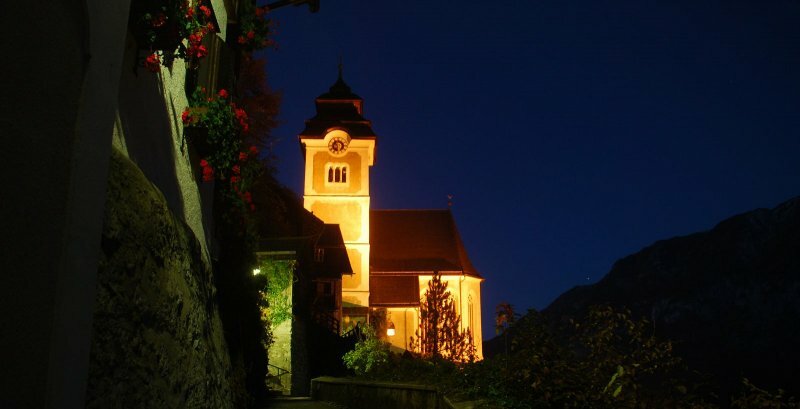 Impressions from Hallstatt: Kalvarienberg church - © Torsten Kraft. 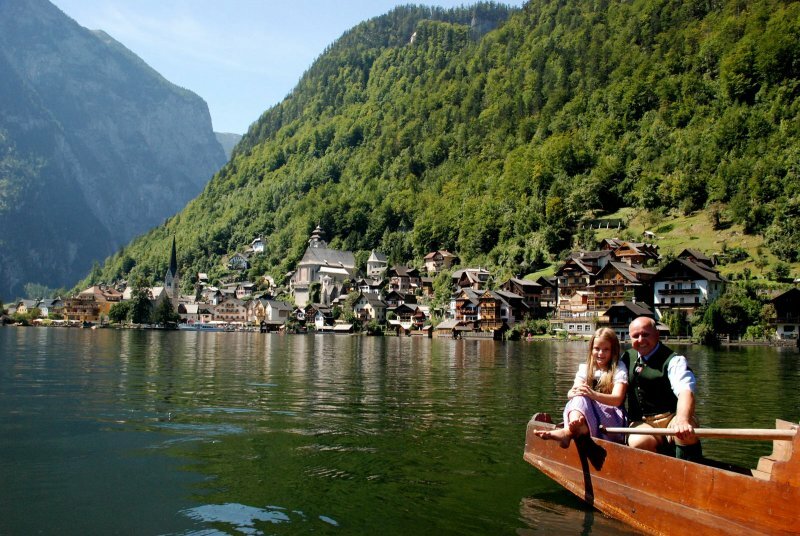 Vacationing in Hallstatt: Impressions from the landscape in the Echern Valley - © Kraft. 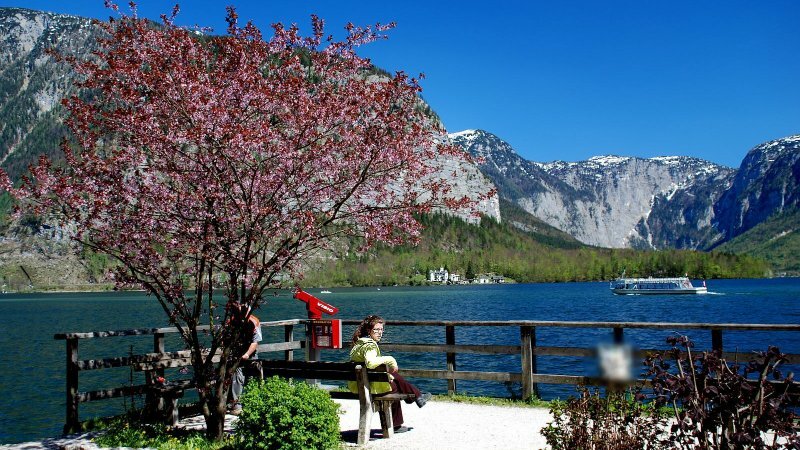 Springtime in Hallstatt - © Kraft. 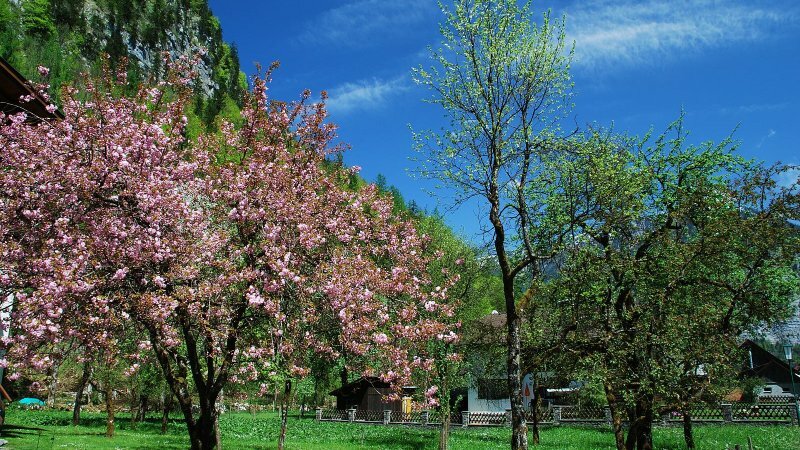 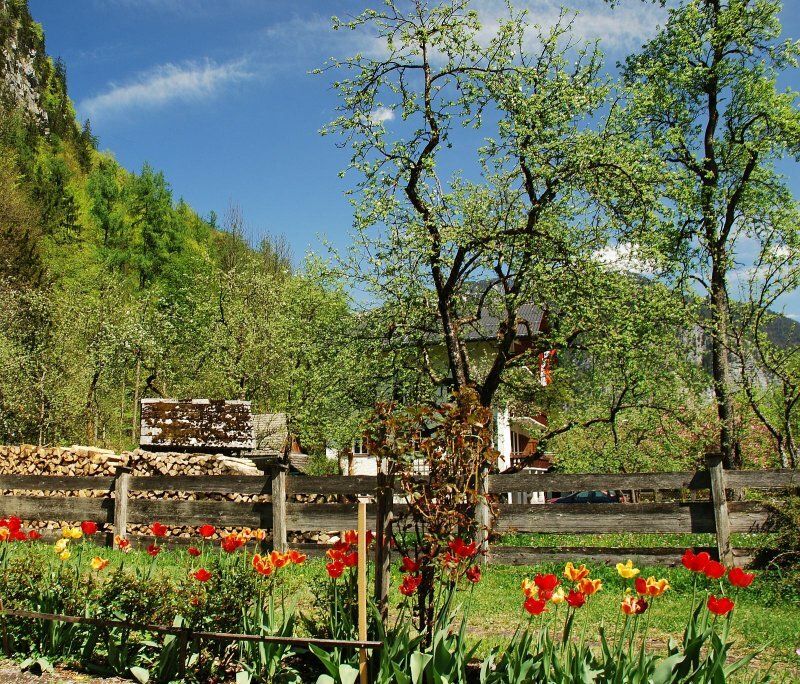 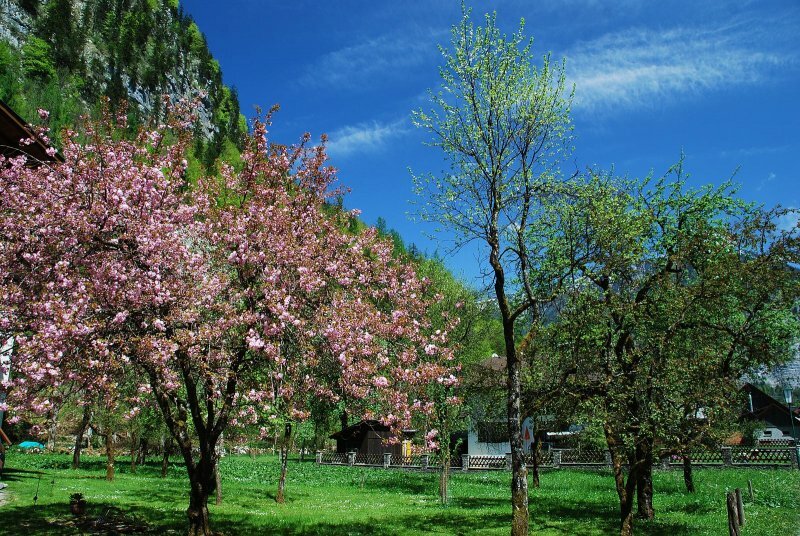 Holiday in Hallstatt: Springtime in the Echern Valley - © Kraft. 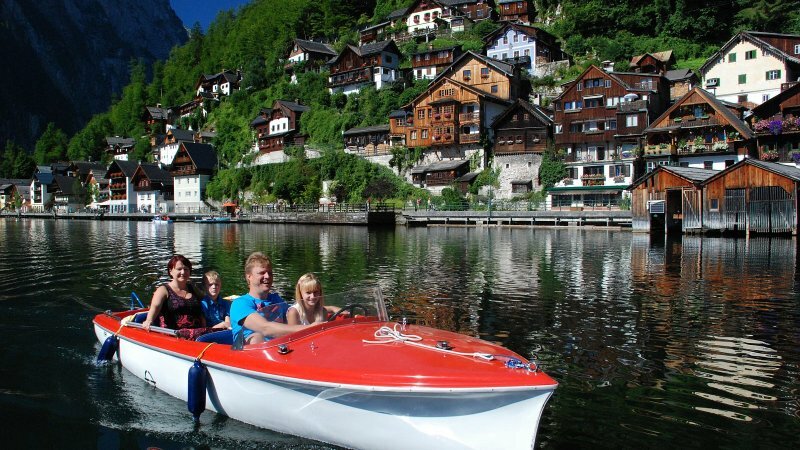 Holiday in in Austria: Hallstatt - Millionfold photographed – once copied – never reached - © Kraft. 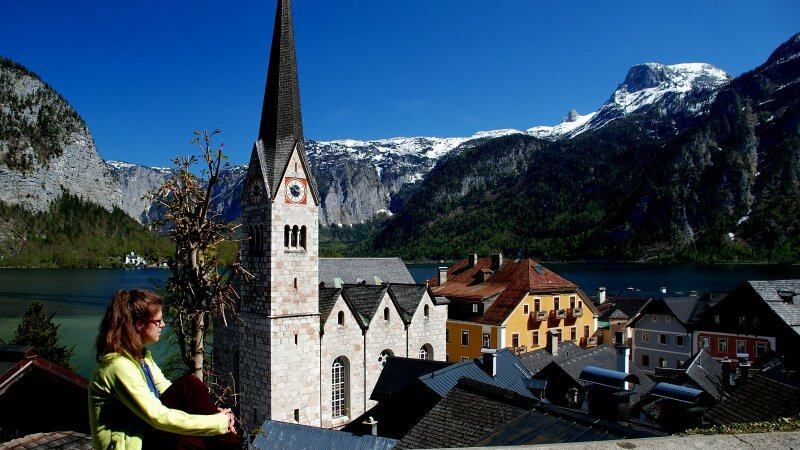 World Heritage Museum in Hallstatt - © netwerkstatt (Foto: Krauß). 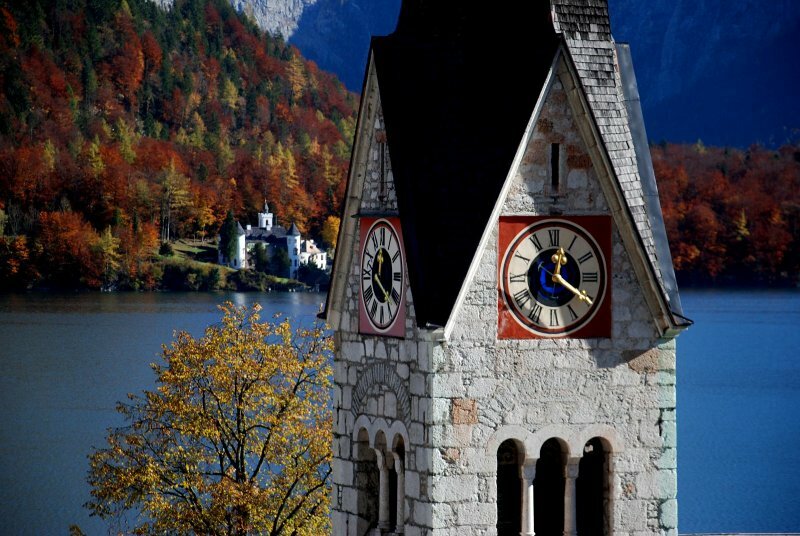 The historic Rudolfsturm tower on Mount Salzberg in Hallstatt - © Torsten Kraft. 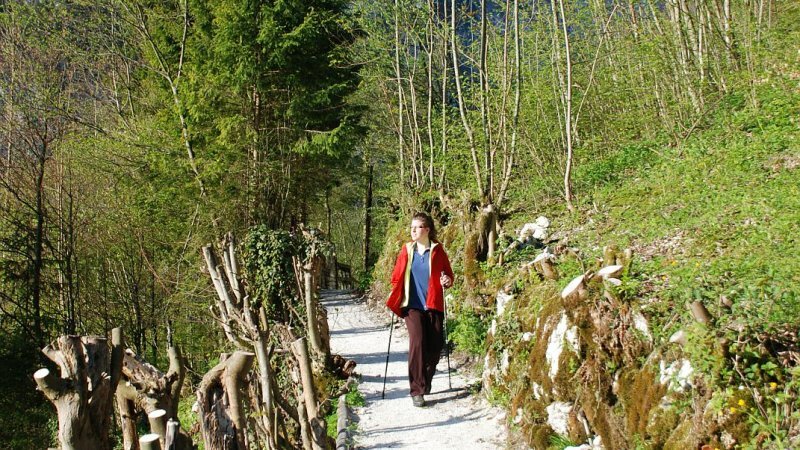 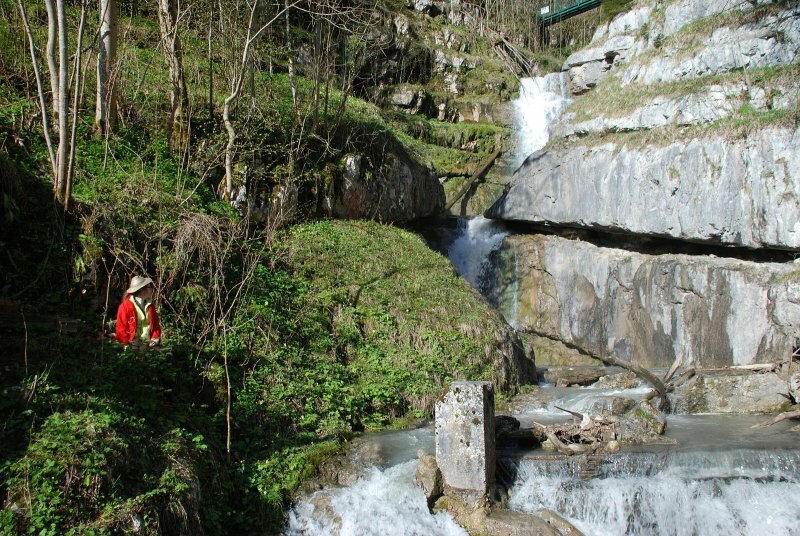 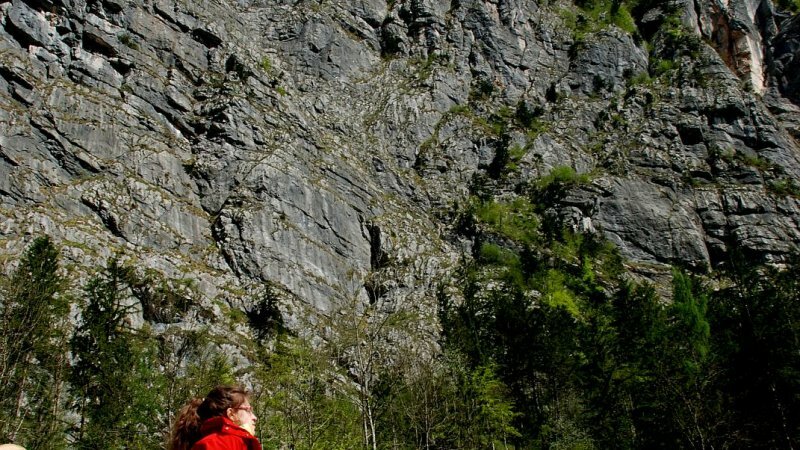 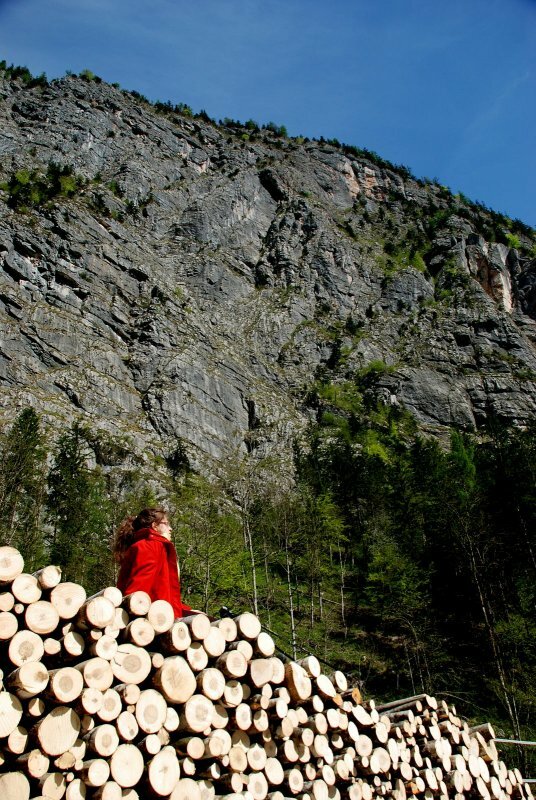 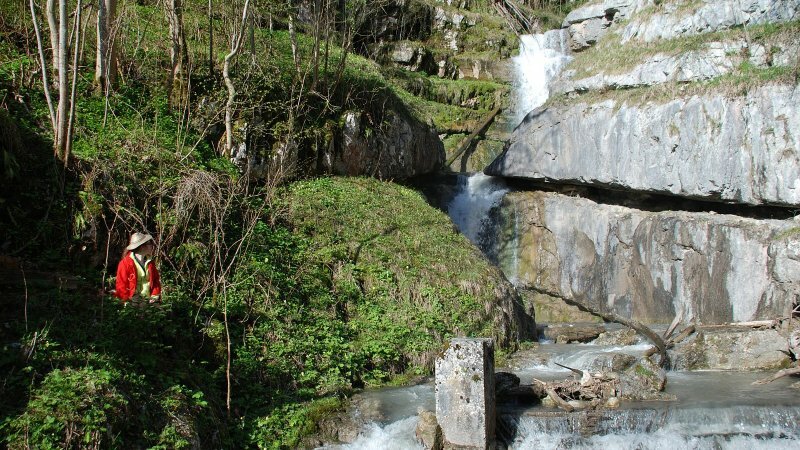 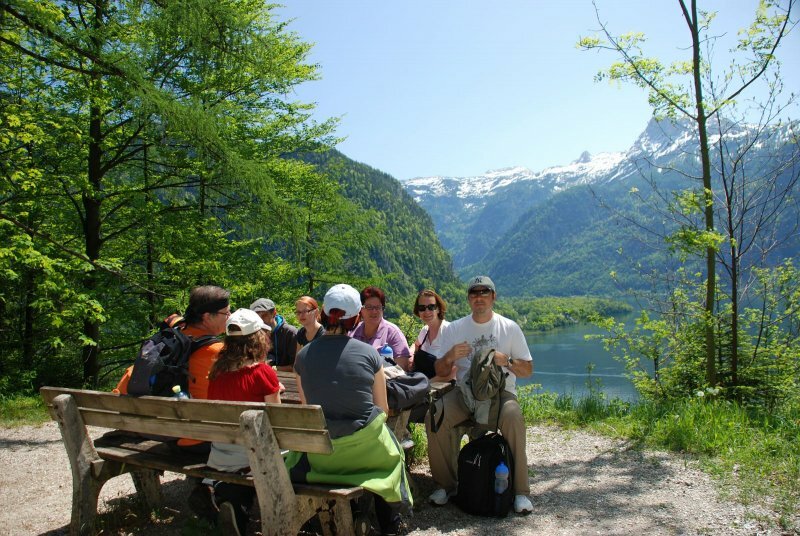 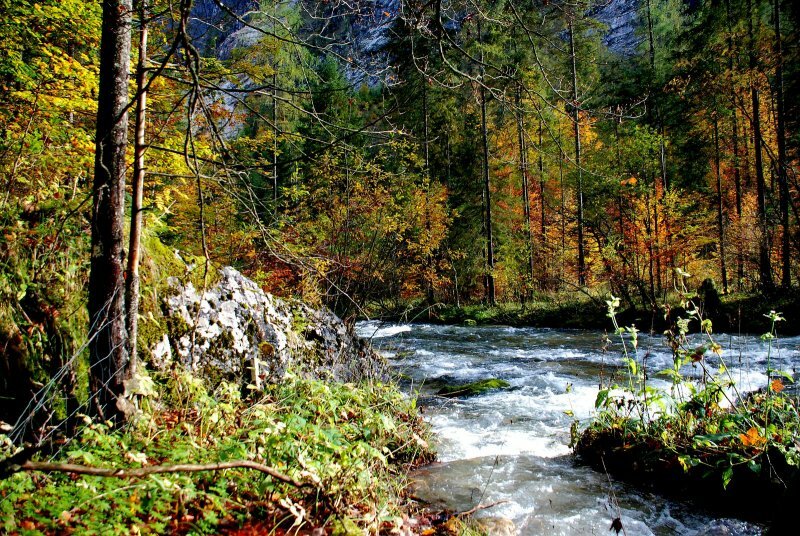 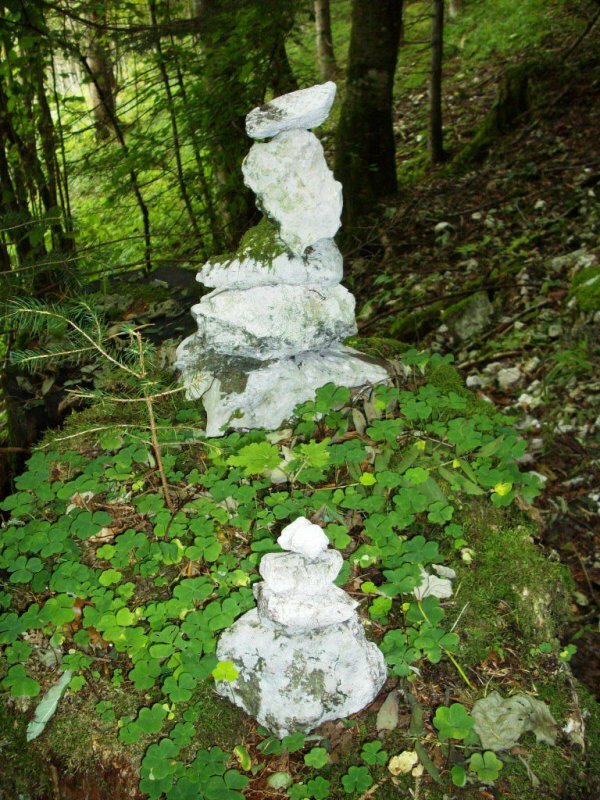 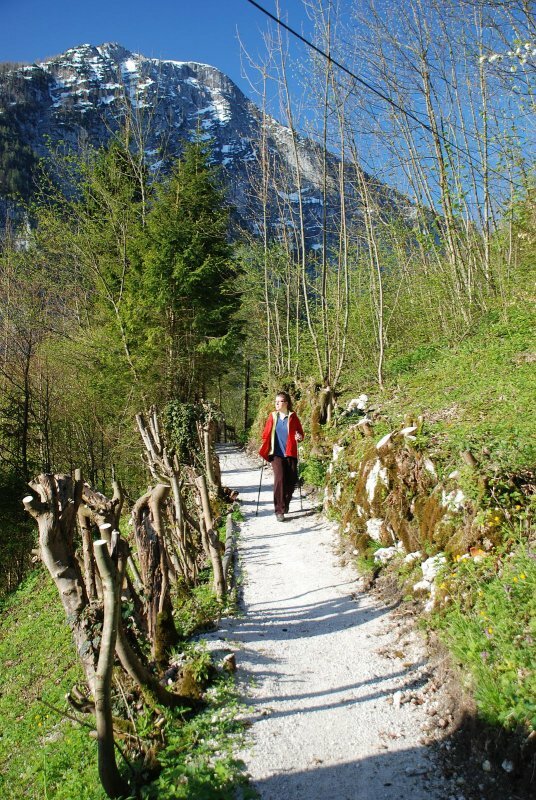 Hiking vacation in Austria – Discover the Echern valley in Hallstatt - Glacier Garden - © netwerkstatt (Foto: Kraft). 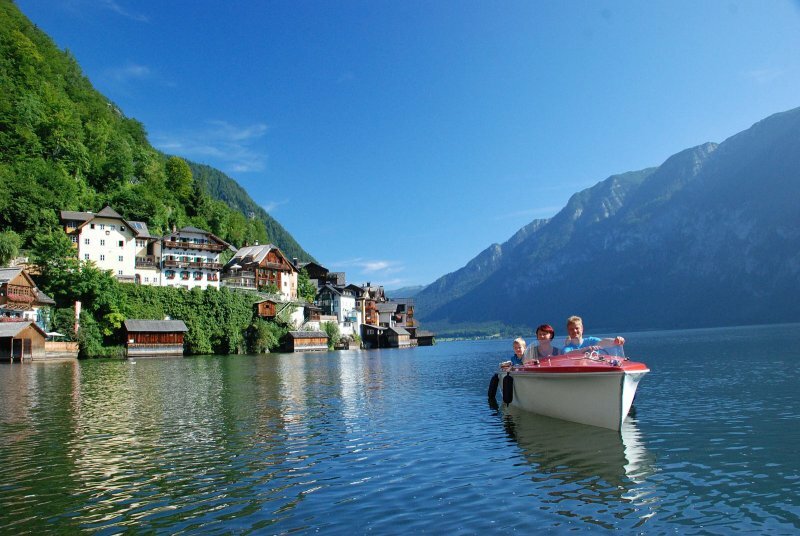 Summertime in Austria: Impressions from Hallstatt - © Kraft. 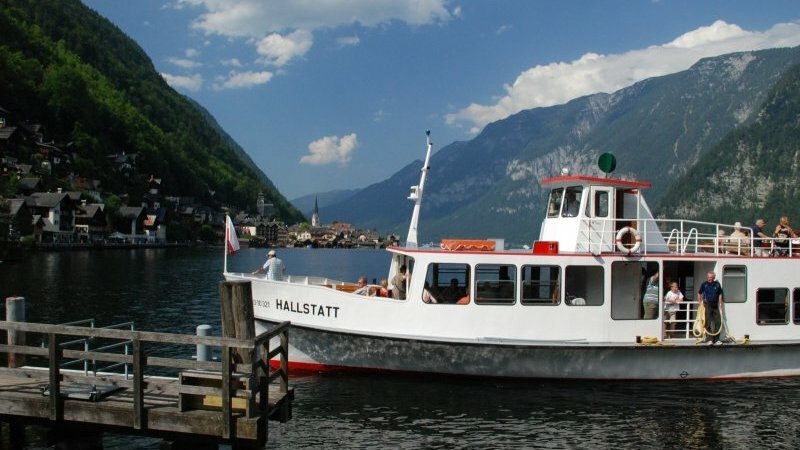 Guided tour through Hallstatt: - © Kraft. 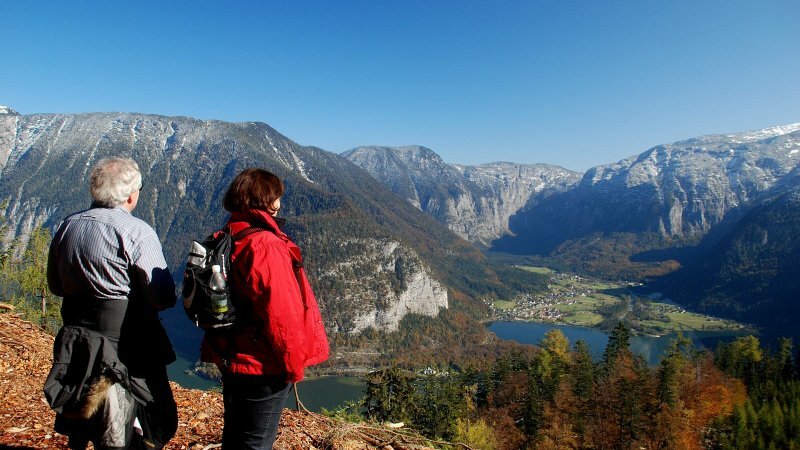 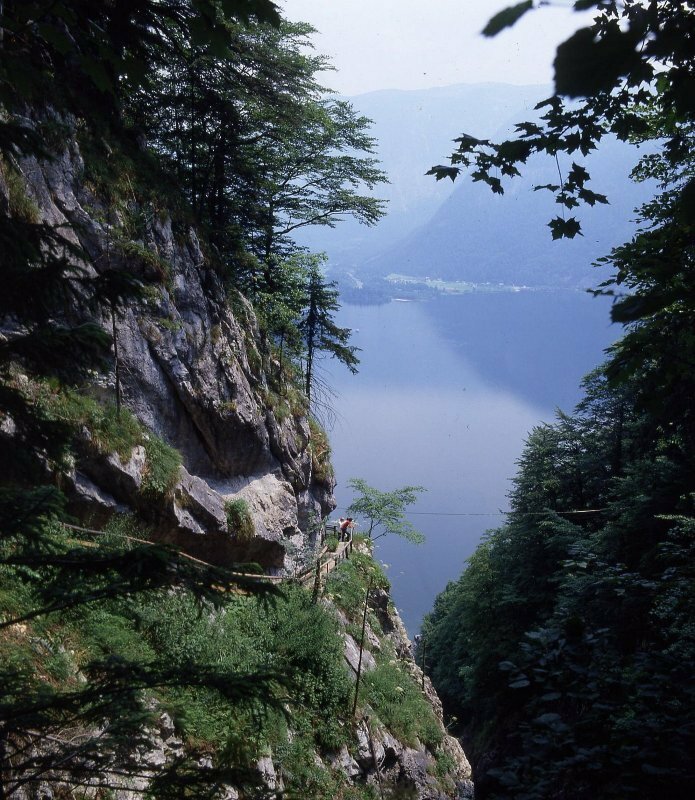 Hiking in Hallstatt: Impressions from the historical Brine Trail – From Hallstatt to Ebensee - © Kraft. 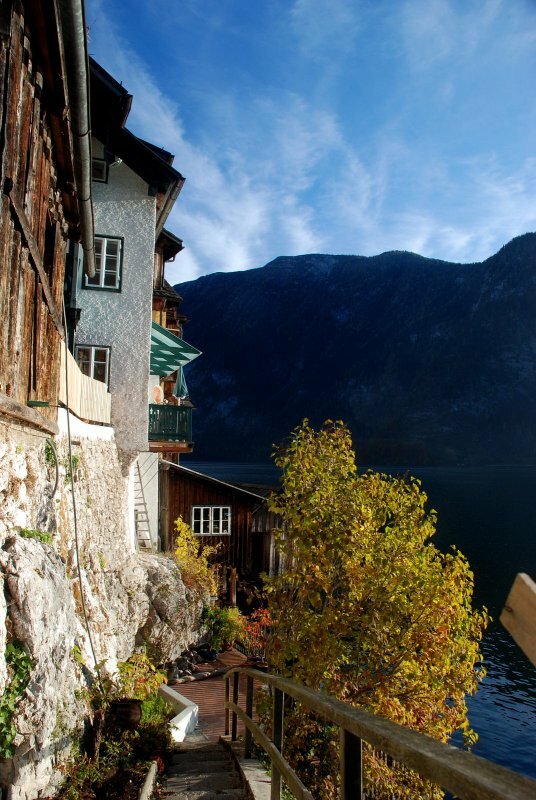 Impressions from Hallstatt - © Kraft. 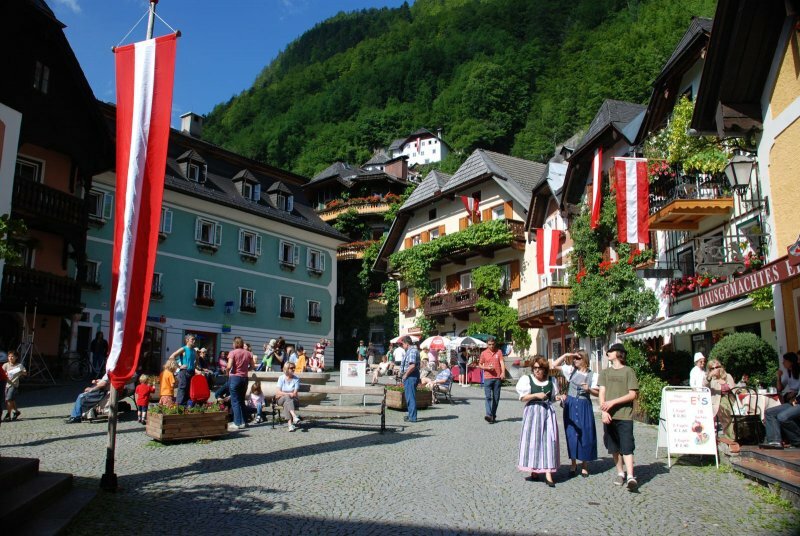 Holiday in Austria: Impressions from the Market Square in Hallstatt - © Kraft. 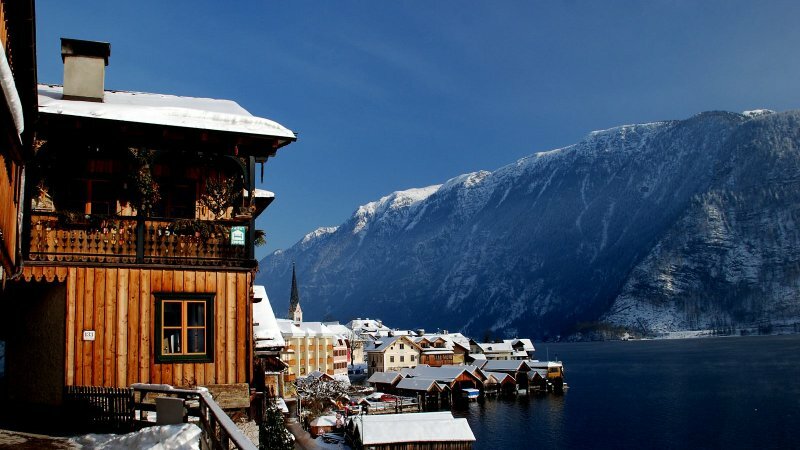 World Heritage Museum in Hallstatt - © Kraft. 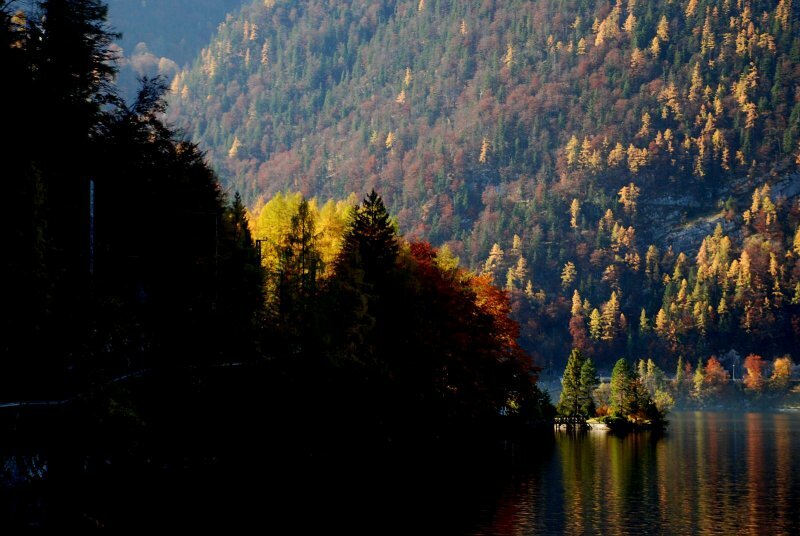 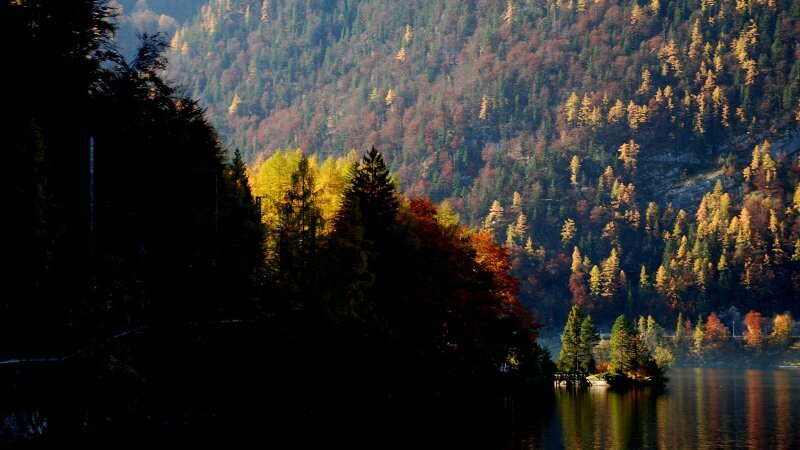 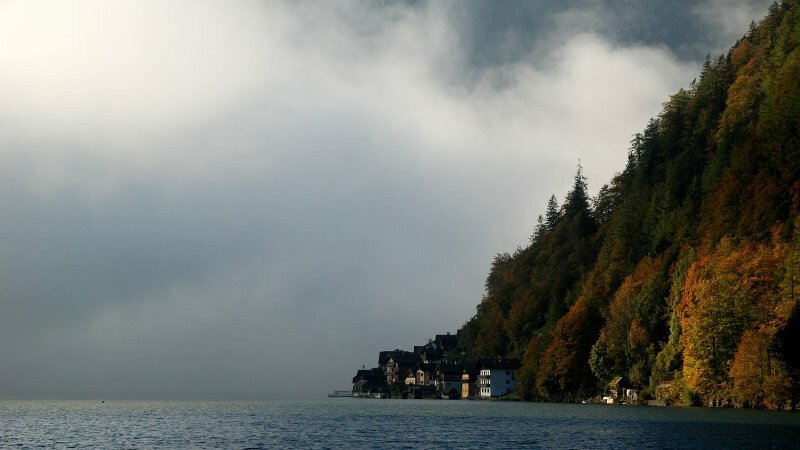 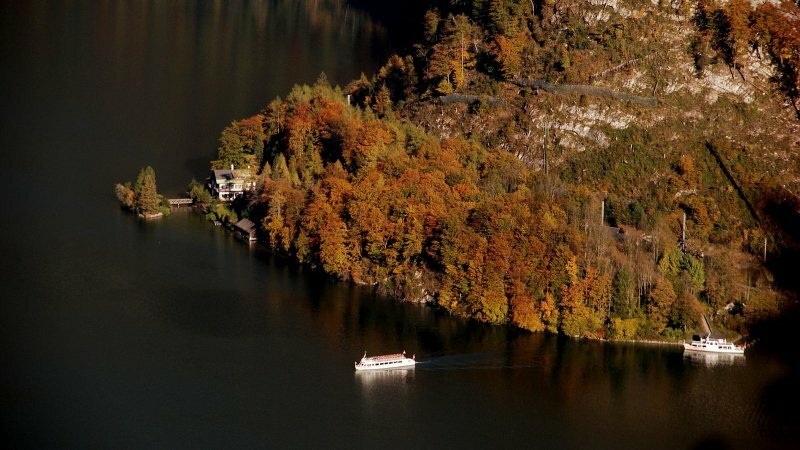 Indian Summer in the alps: Impressions from Lake Hallstatt - © Kraft. 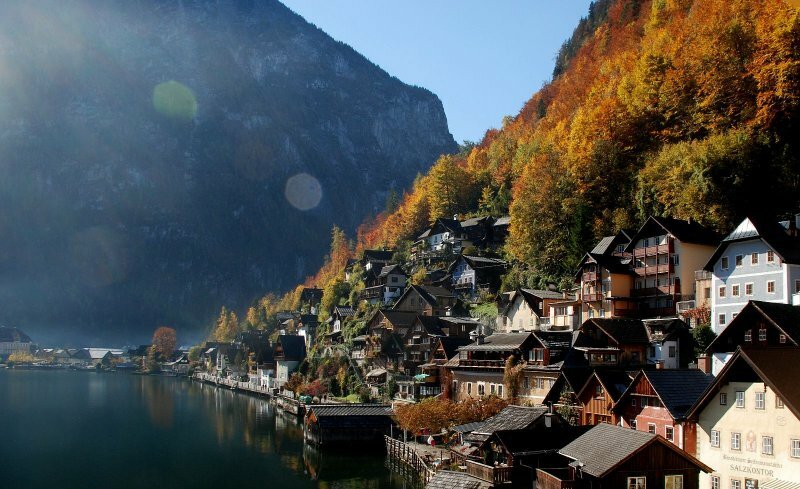 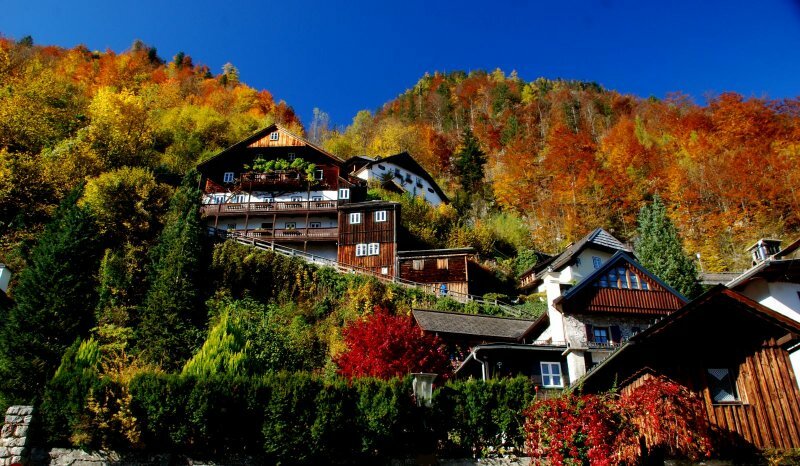 Fall in Austria : Indian Summer in Hallstatt - © Kraft. 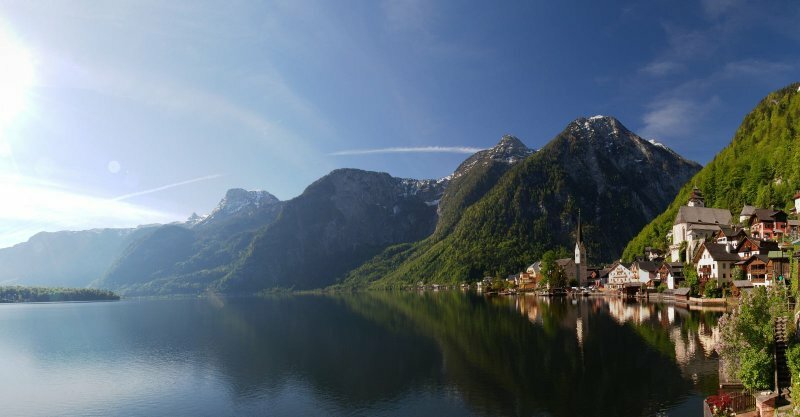 Impressions from Hallstatt in the springtime - © Kraft. 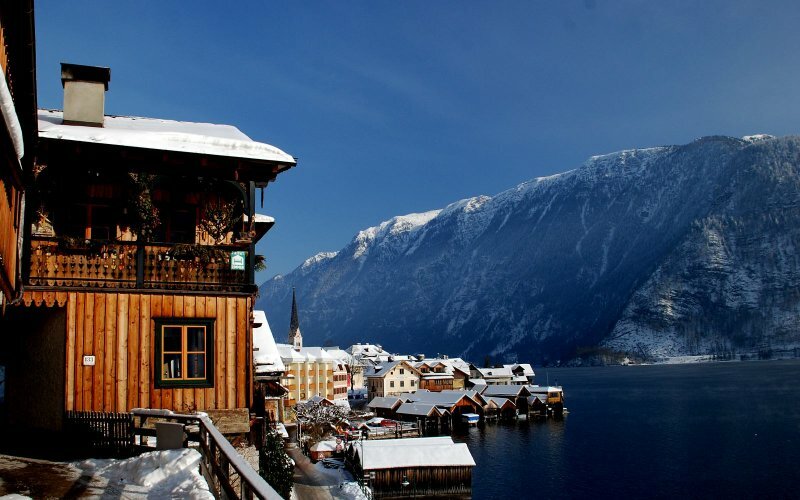 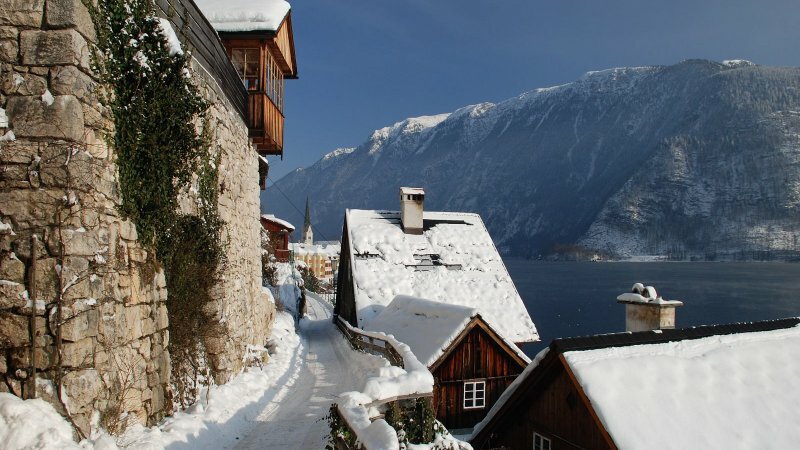 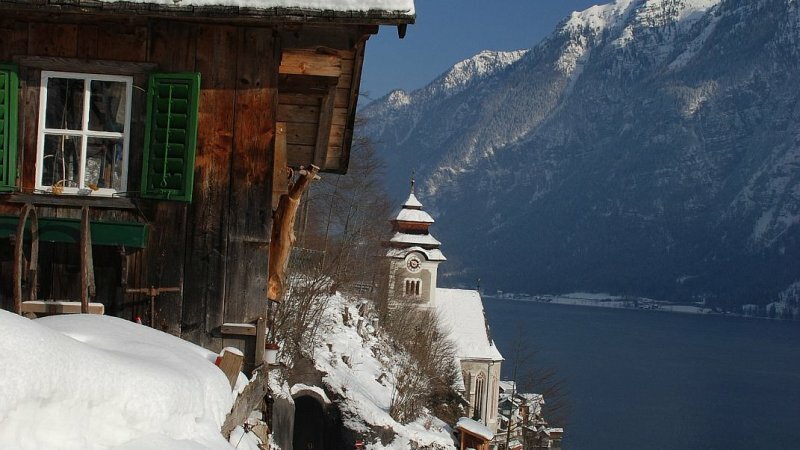 Hallstatt: Your winter holiday place in Austria - © netwerkstatt (Foto: Krauß). 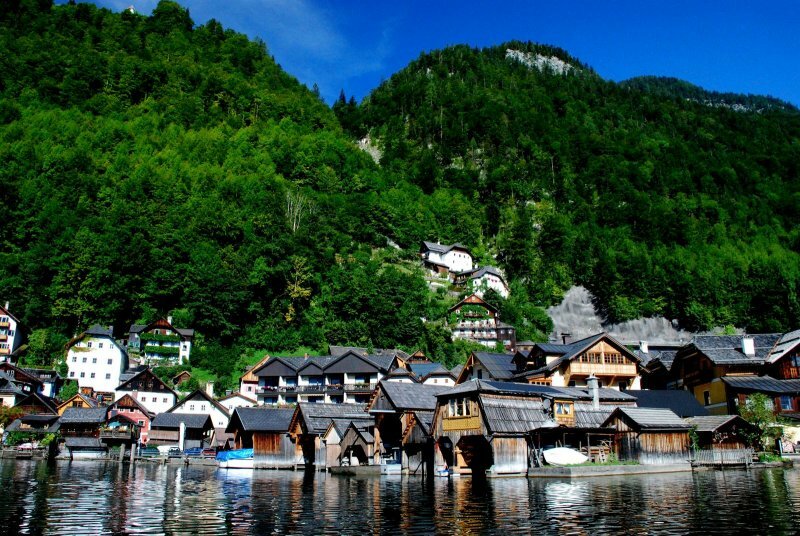 Summer in Austria: Impressions from Hallstatt in the Salzkammergut - © Kraft. 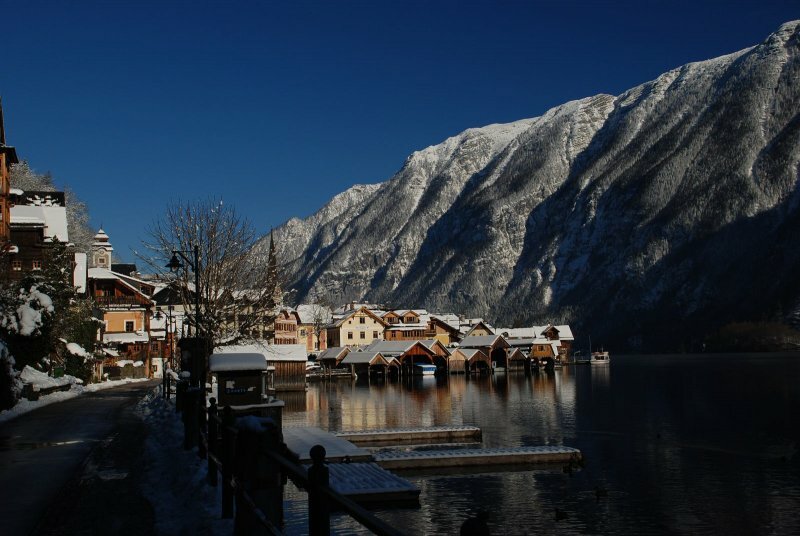 Wintertime in Austria: Impressions from Lake Hallstatt - © Kraft. 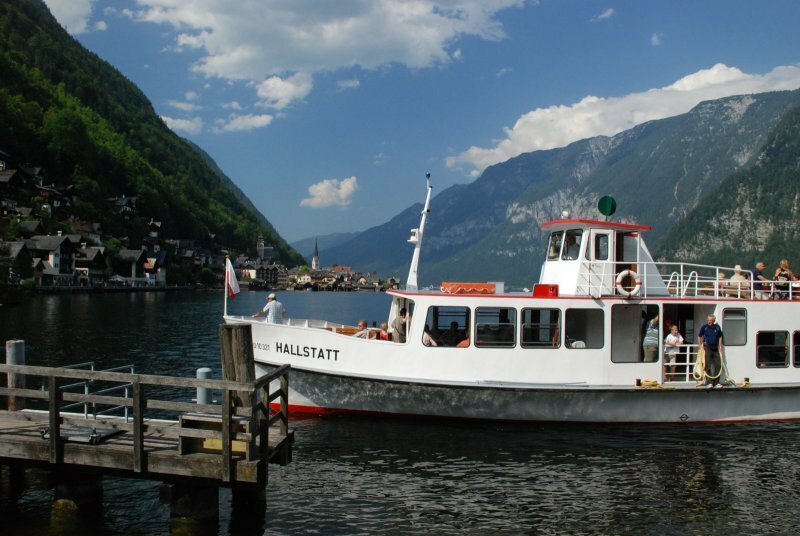 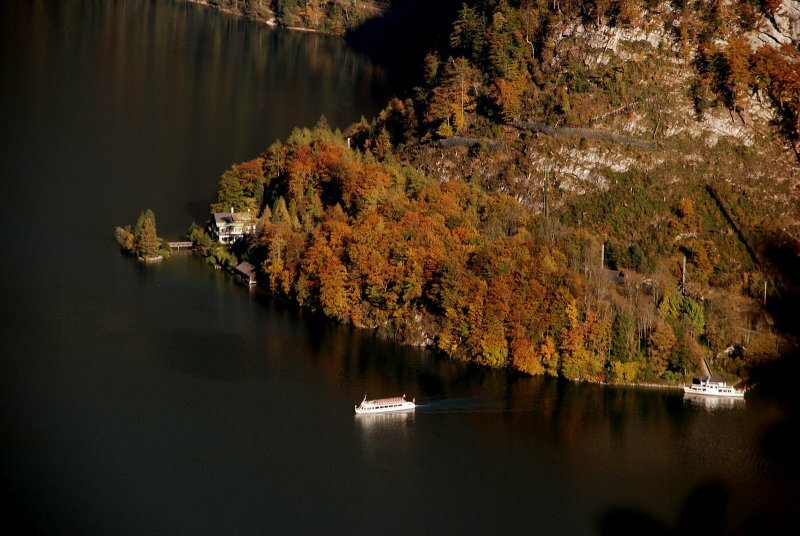 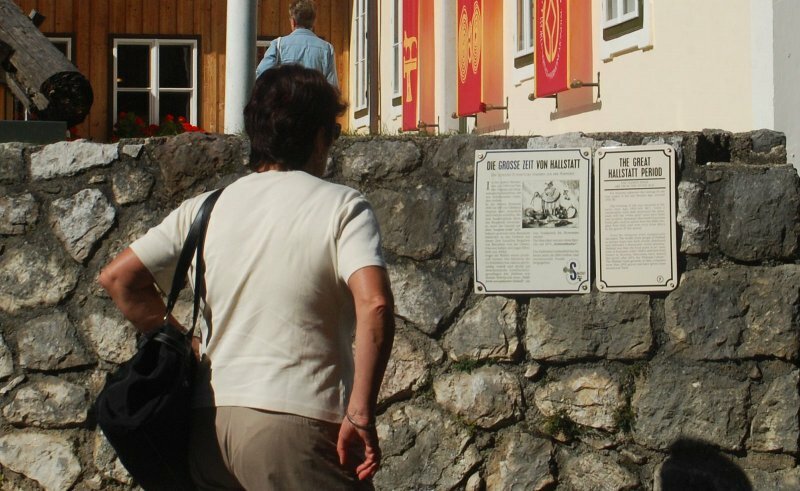 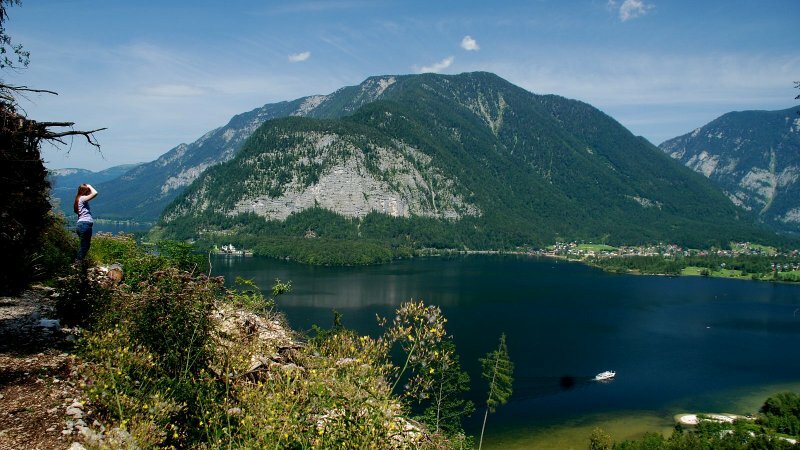 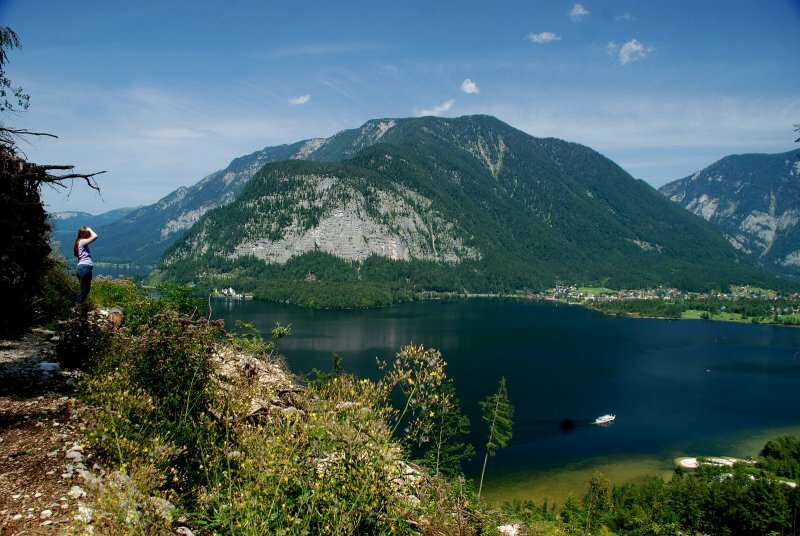 Impressions from the historical Brine Trail – From Hallstatt to Ebensee - © Kraft. 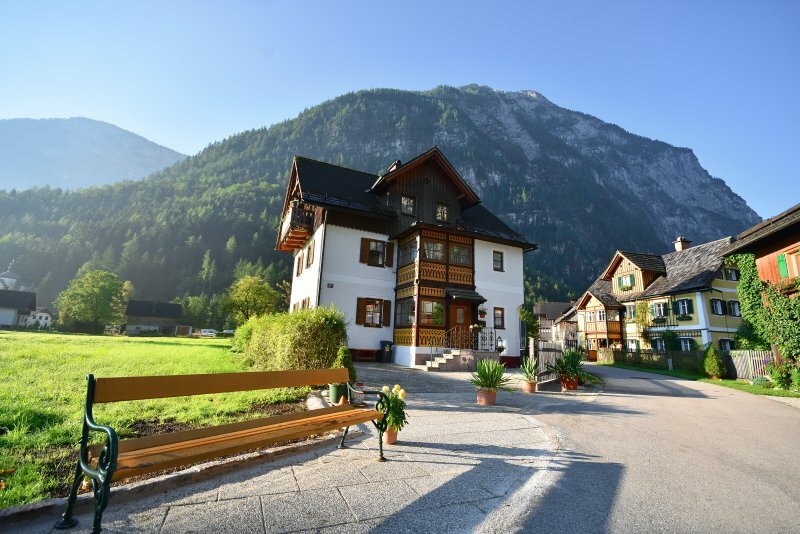 Holiday in Austria: Impressions from the Dachstein Salzkammergut region - © Kraft. 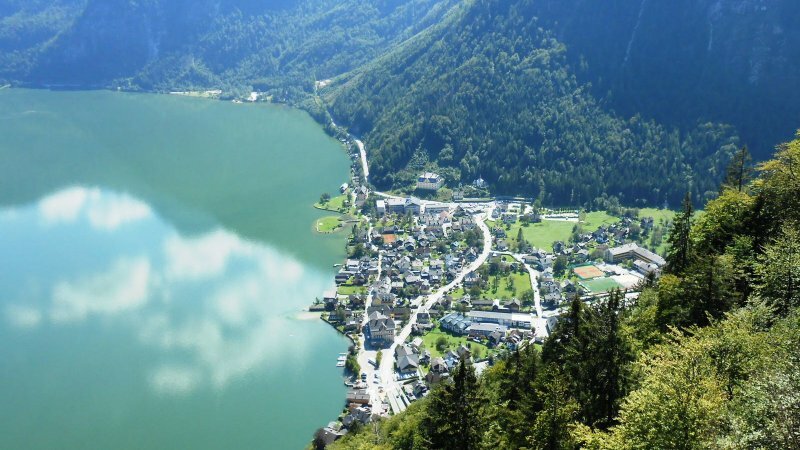 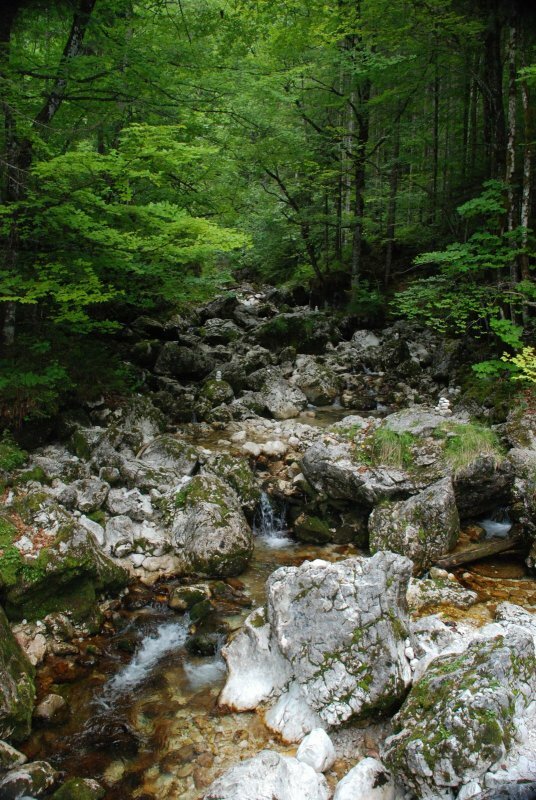 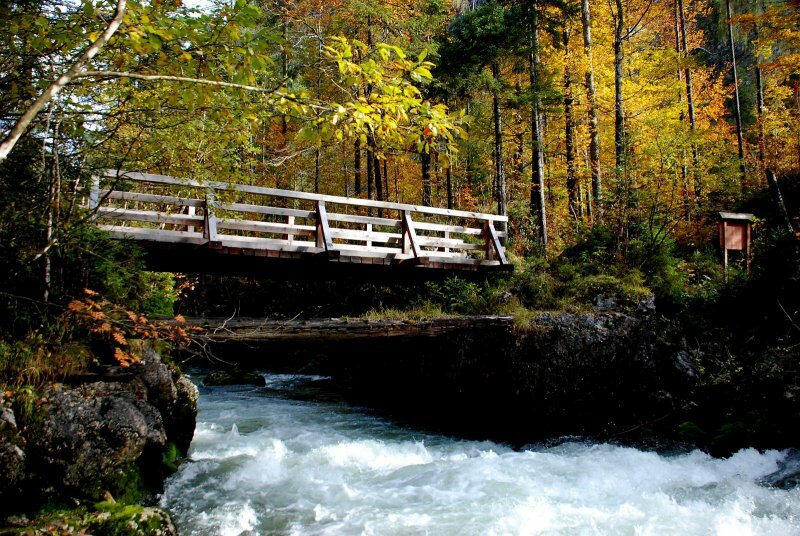 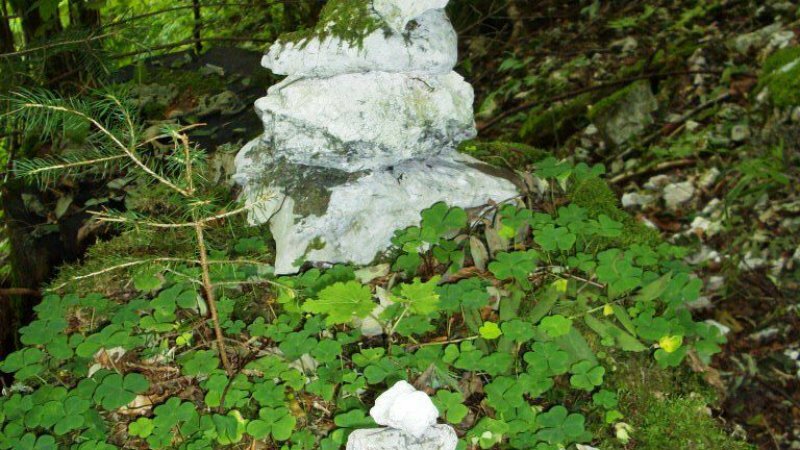 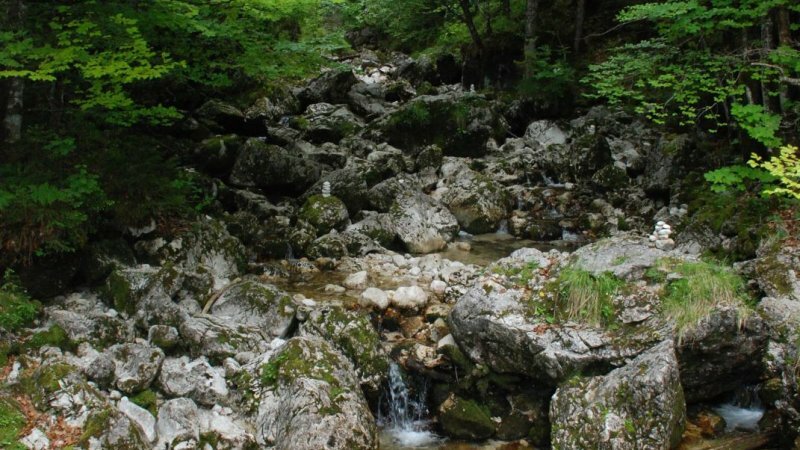 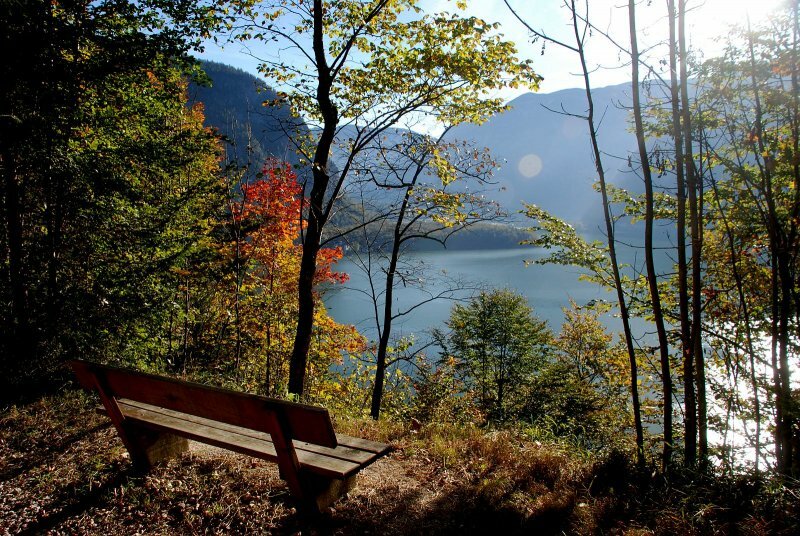 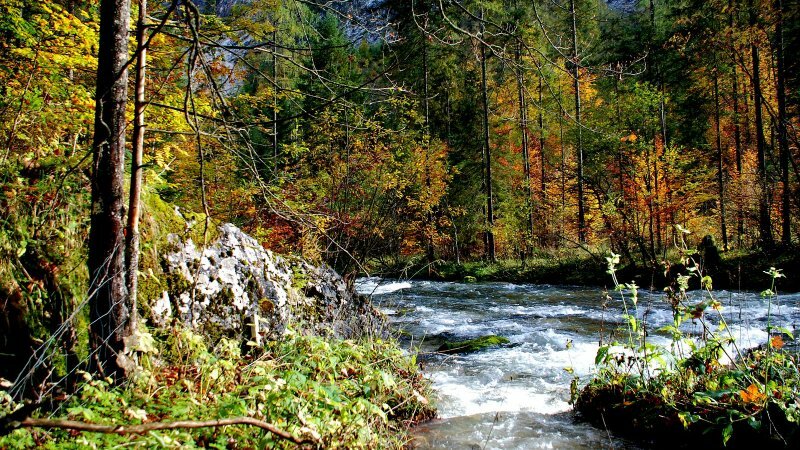 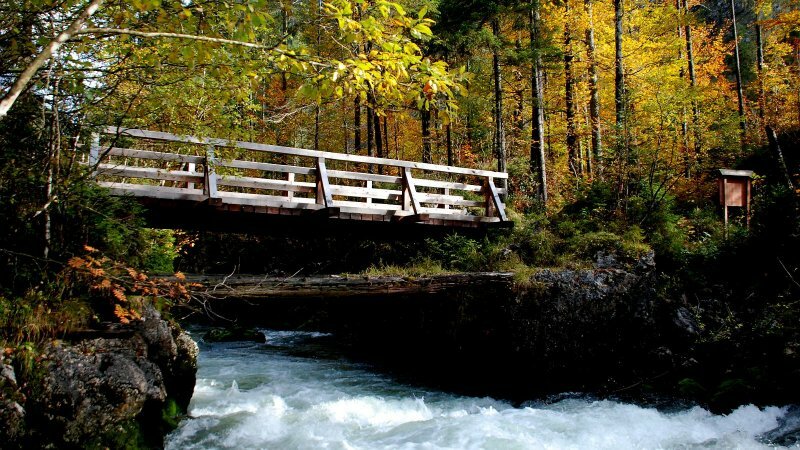 Hiking in Austria: The best way to experience the Sakzkammergut region. 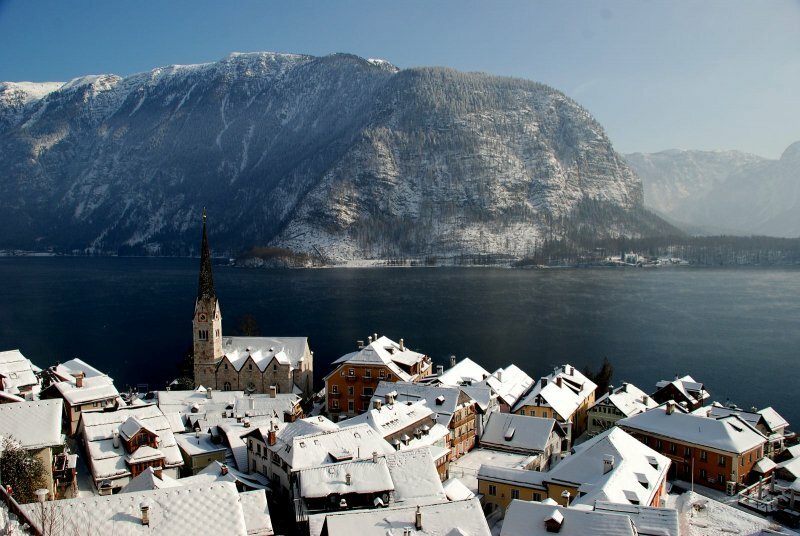 Discover the winter countryside of Hallstatt - © Kraft. 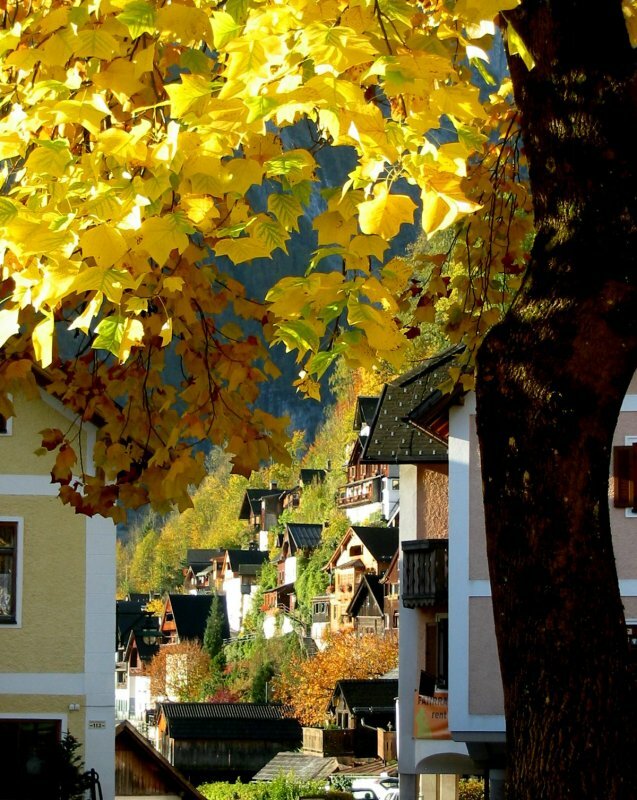 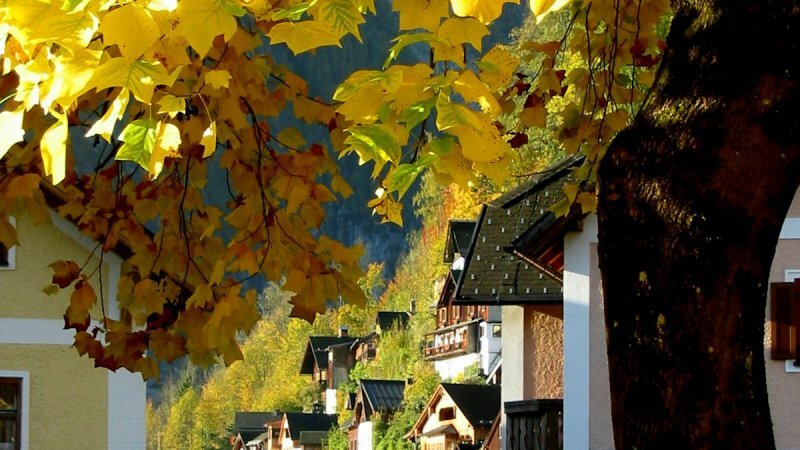 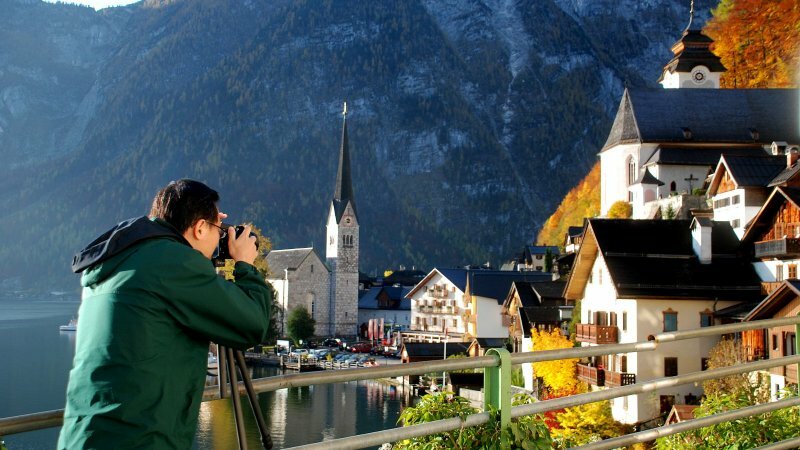 Autumn in Austria: Hallstatt - Your holiday place in Austria - © Kraft. 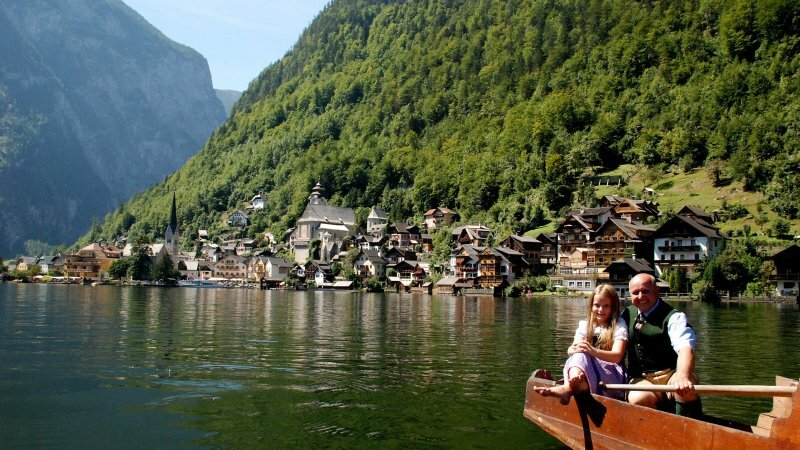 Hallstatt: Your holiday place in Austria - © Kraft. 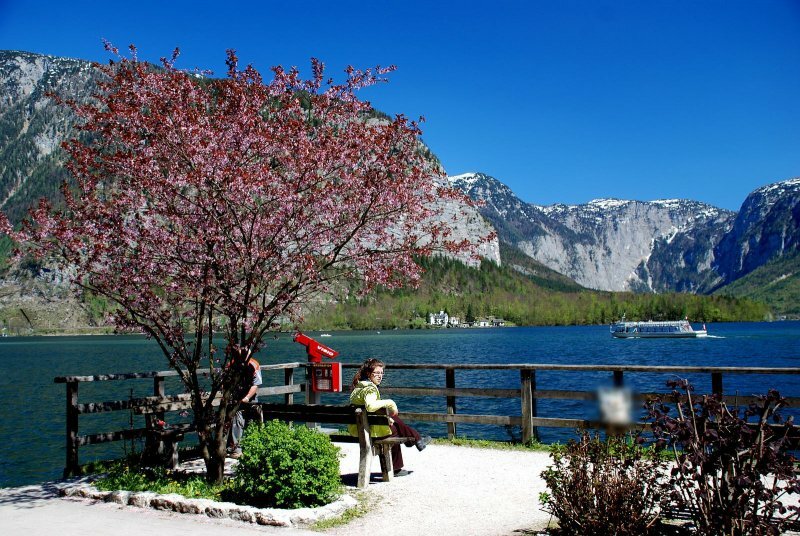 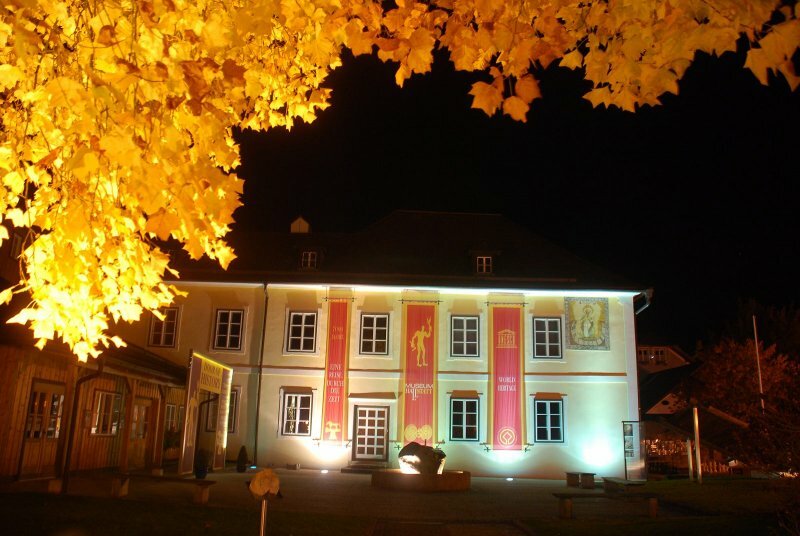 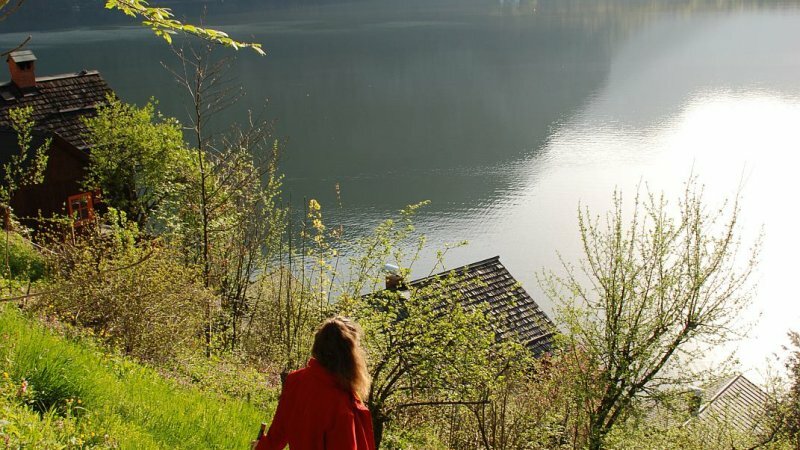 The best way to experience the Sakzkammergut region. 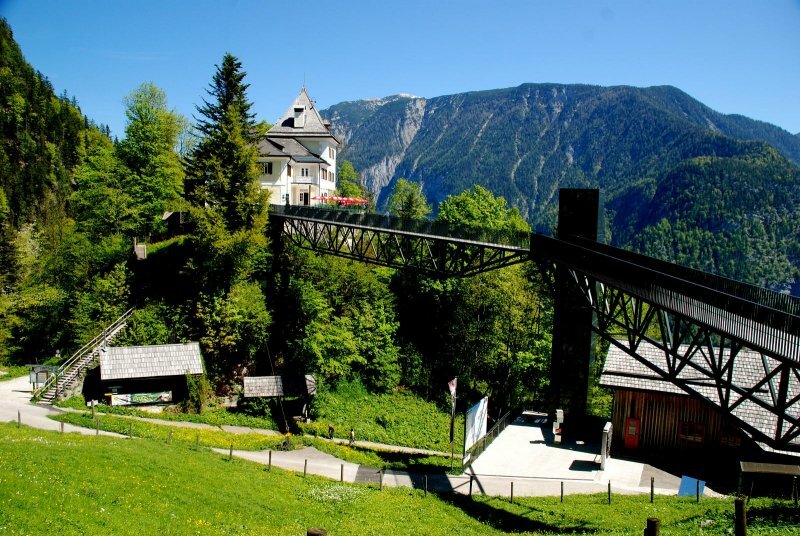 Discover the spectacular viewing platform on a visit to the Salzwelten salt mines: Impressions from the ‘World Heritage View’ on Hallstatt’s Salzberg in the Dachstein Salzkammergut holiday region. 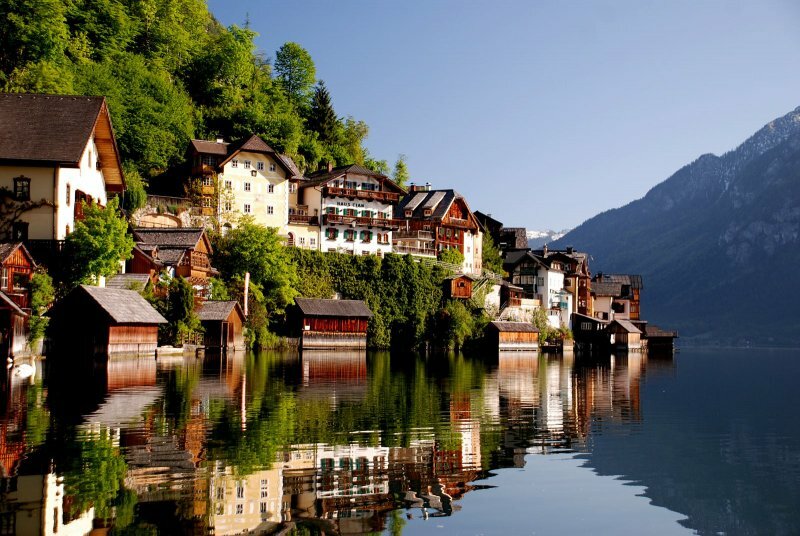 Vacationing in Austria: Impressions from Lake Hallstatt - © Kraft. 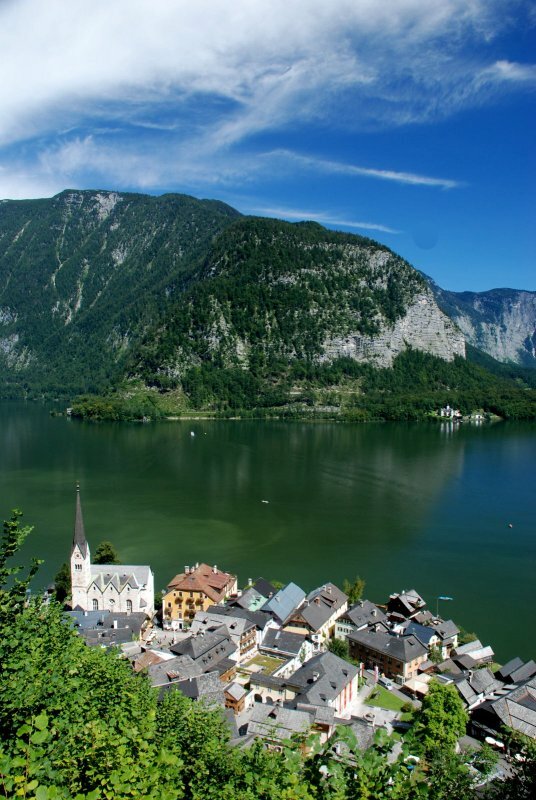 Vacationing in Hallstatt: Impressions from the landscape around Lake Hallstatt - © Kraft. 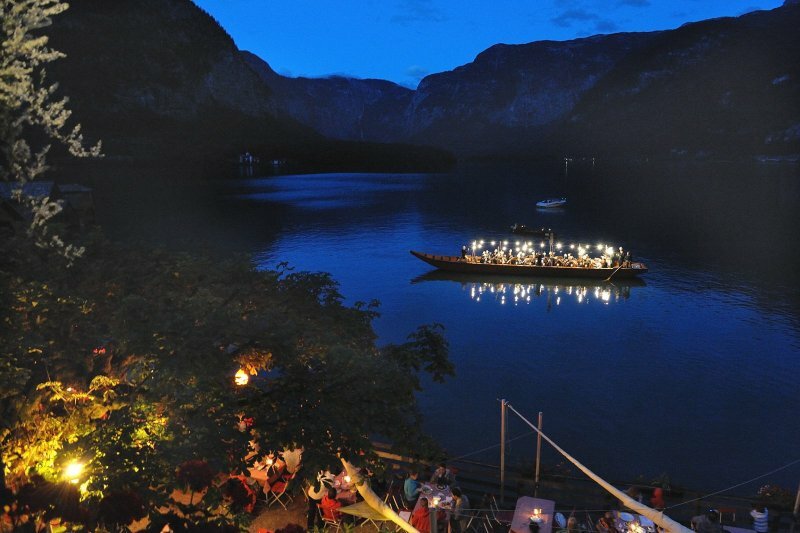 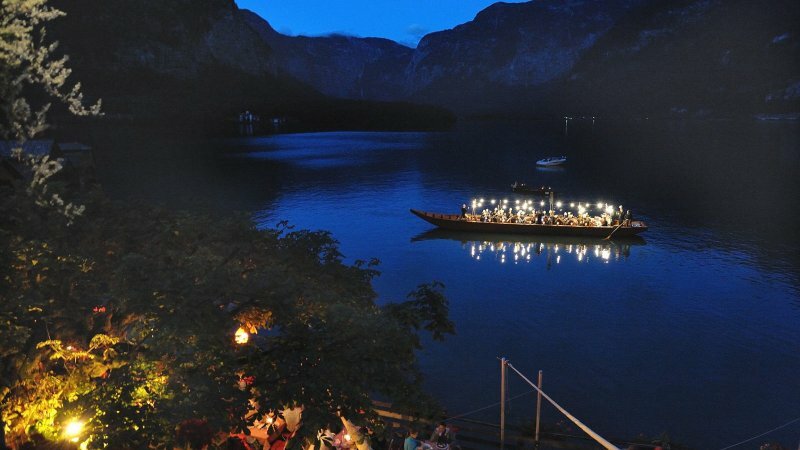 Holiday in Hallstatt: Impressions from the Dachstein Salzkammergut region - © Kraft. 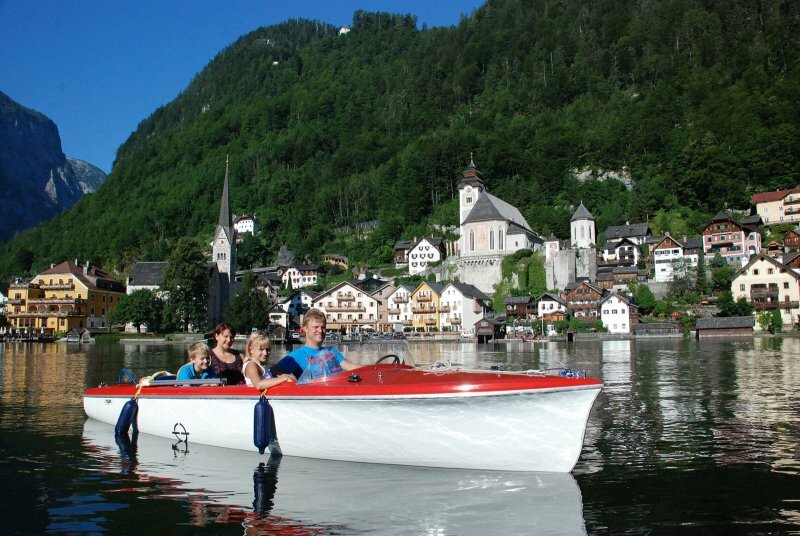 Holiday in Austria: Impressions from Lake Hallstatt - © Kraft. 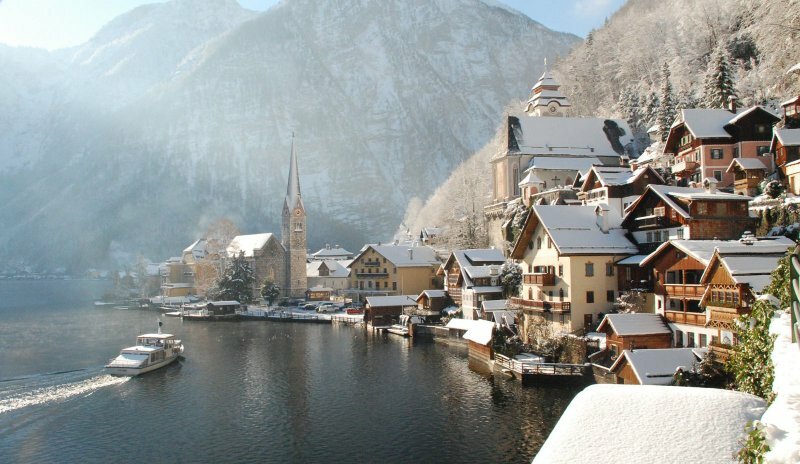 Impressions from Hallstatt in the wintertime - © netwerkstatt (Foto: Krauß). 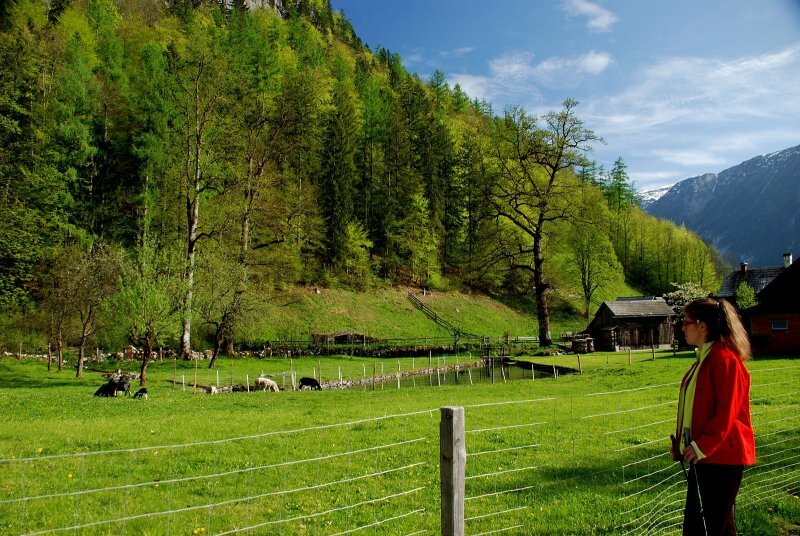 Impressions from the landscape in the Echern Valley - © Kraft. 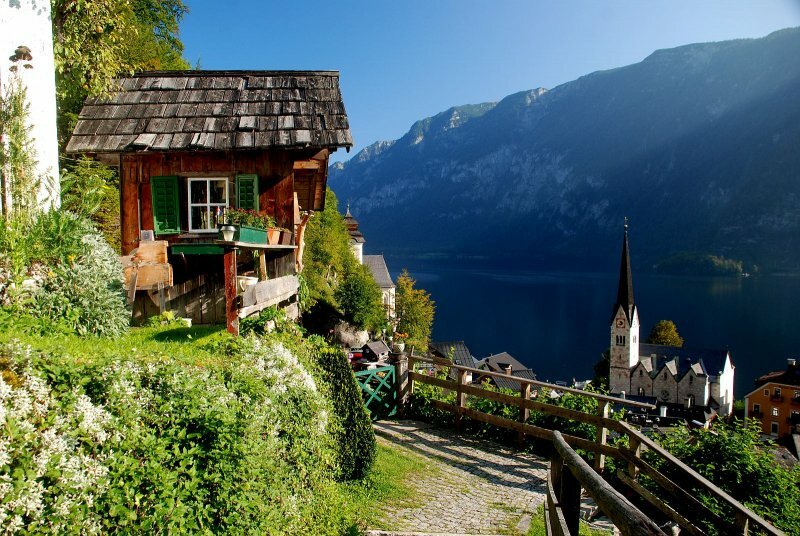 Springtime in Hallstatt - Holiday in Austria - © Kraft. 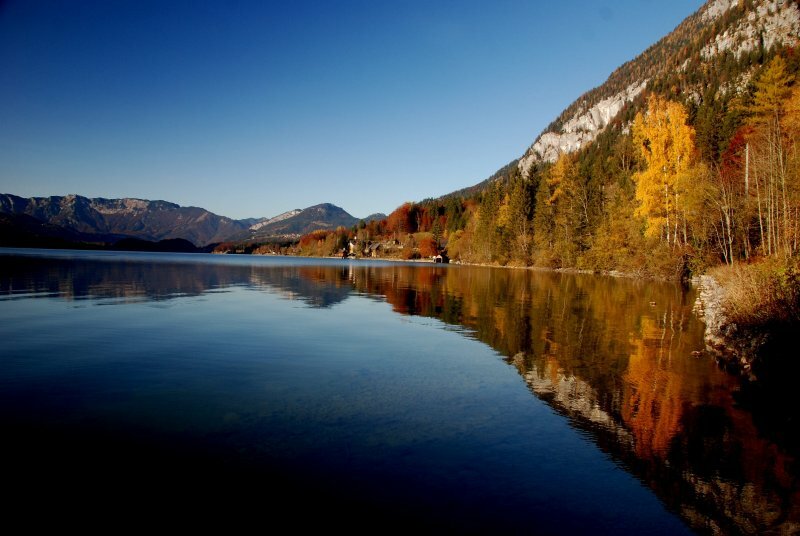 Discover Lake Hallsattt - © Viertbauer. 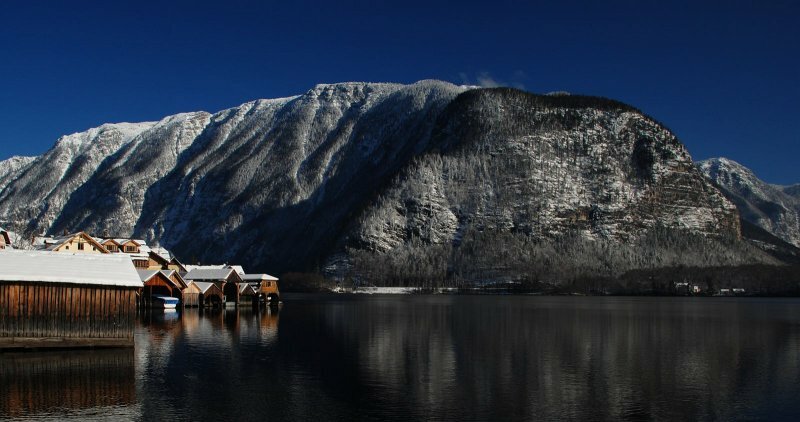 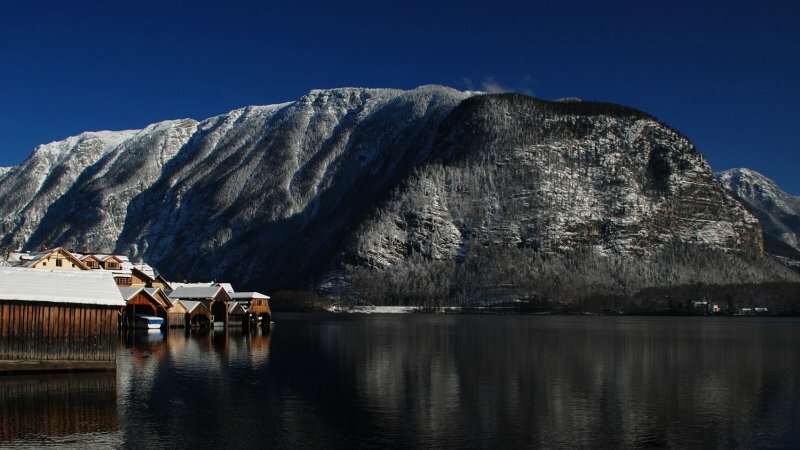 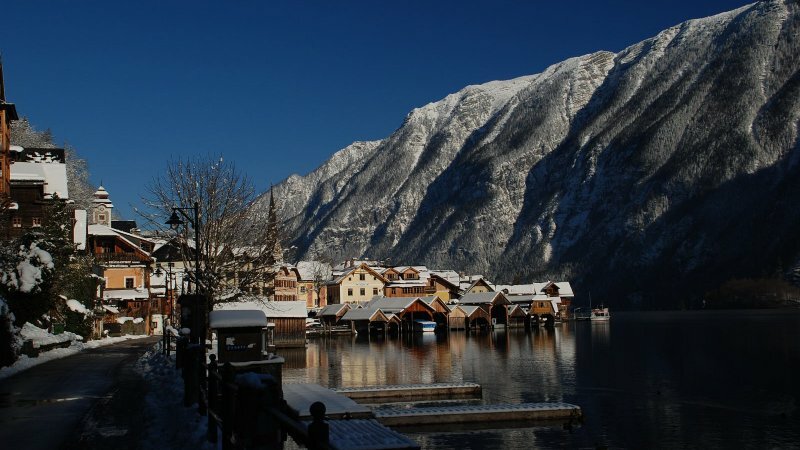 Wintertime in Austria: Impressions from Lake Hallstatt - © netwerkstatt (Foto: Krauß). 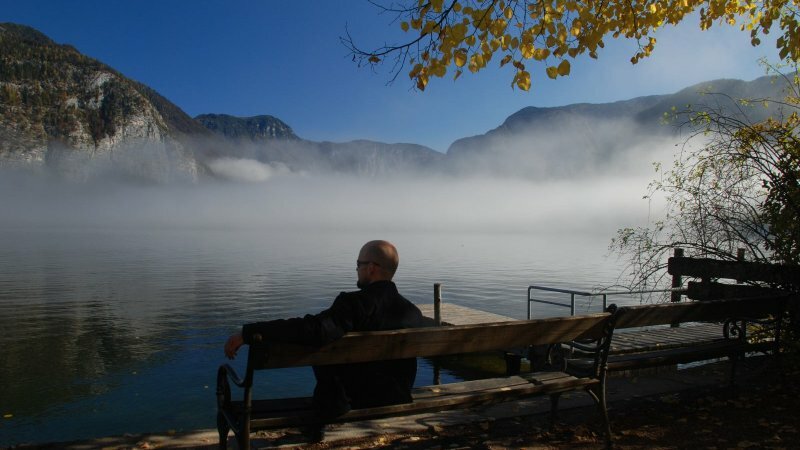 Impressions from Hallstatt - © netwerkstatt (Foto: Krauß). 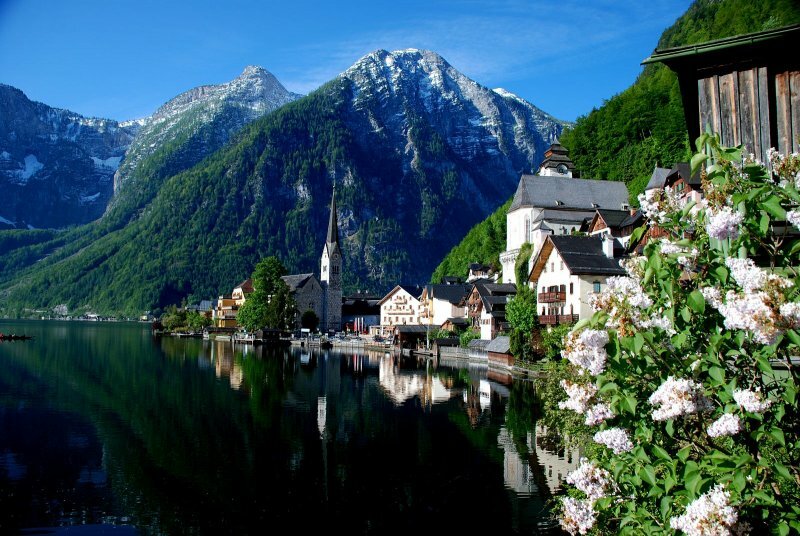 Spring time at Lake Hallstatt - © Kraft. 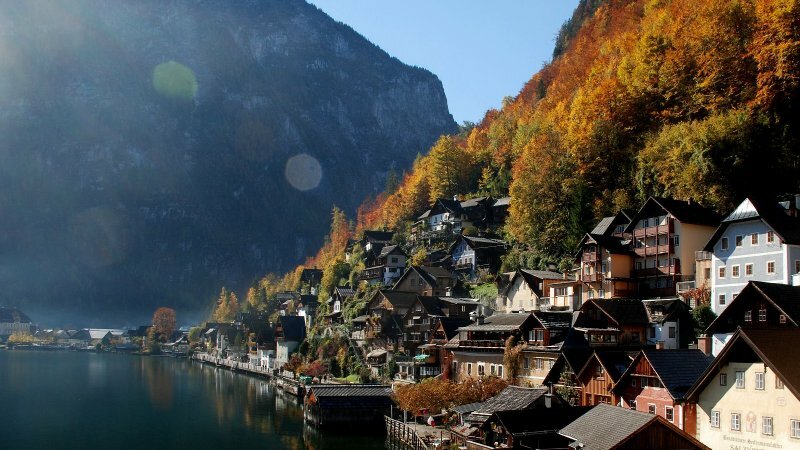 Autumn impressions from Hallstatt - © Kraft. 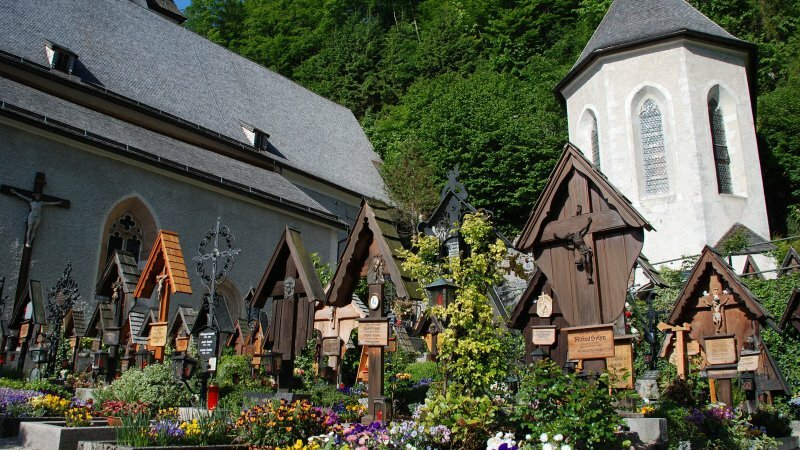 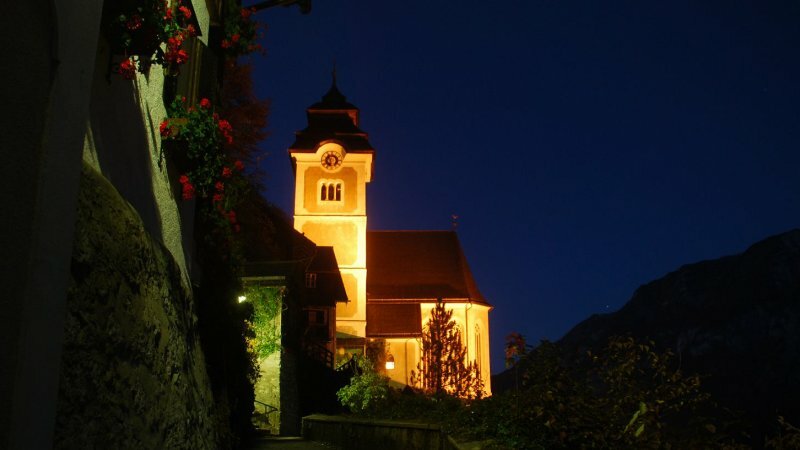 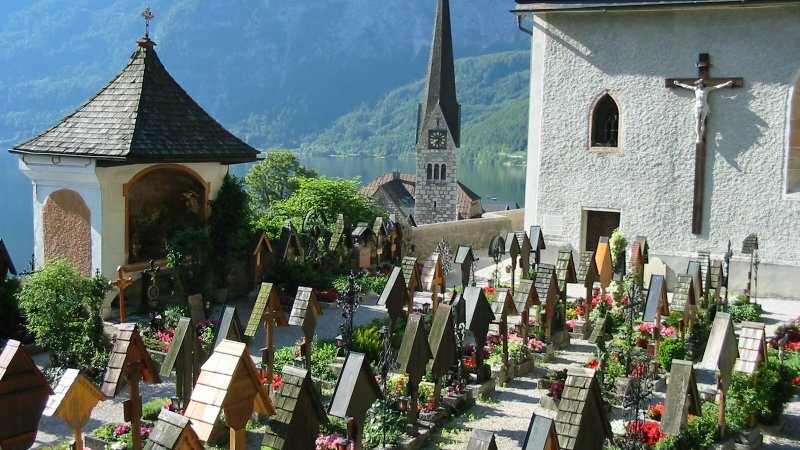 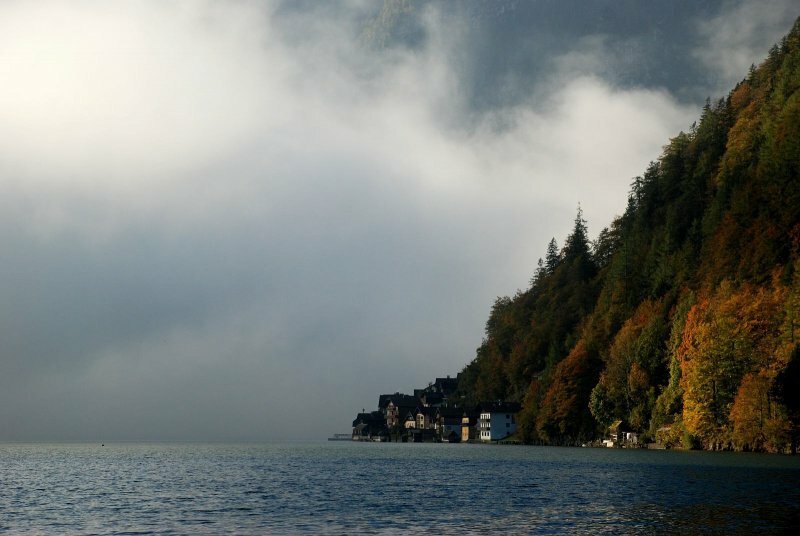 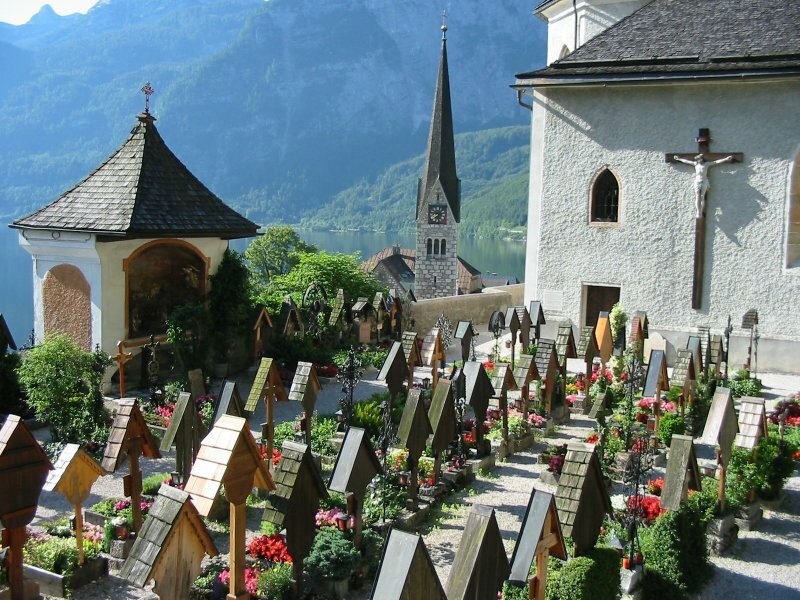 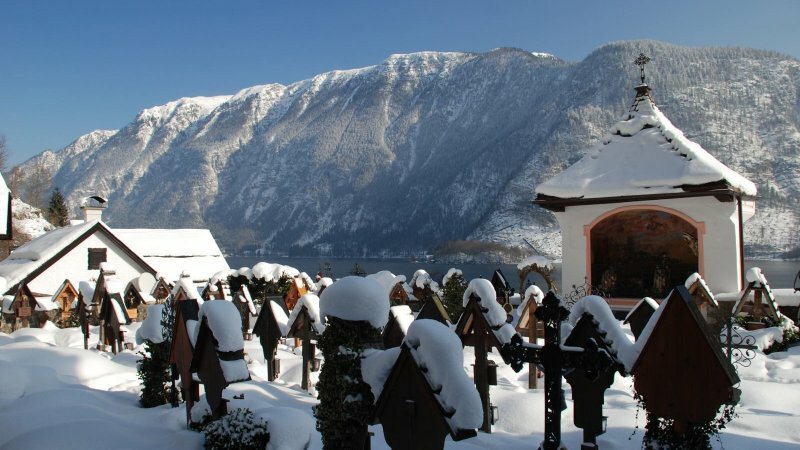 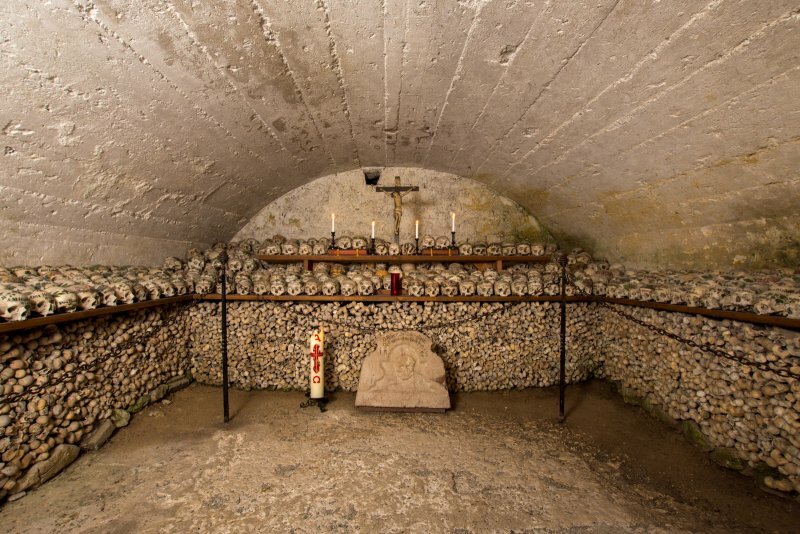 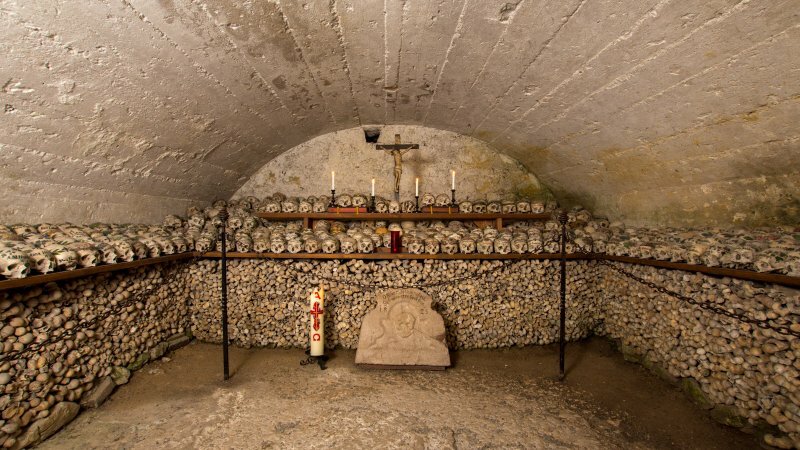 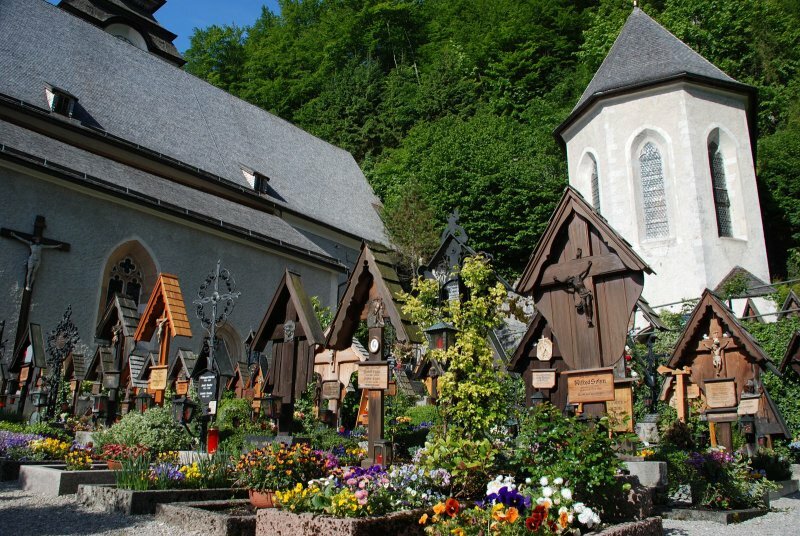 Discover Austria: The cemetery of Hallstatt - © netwerkstatt. 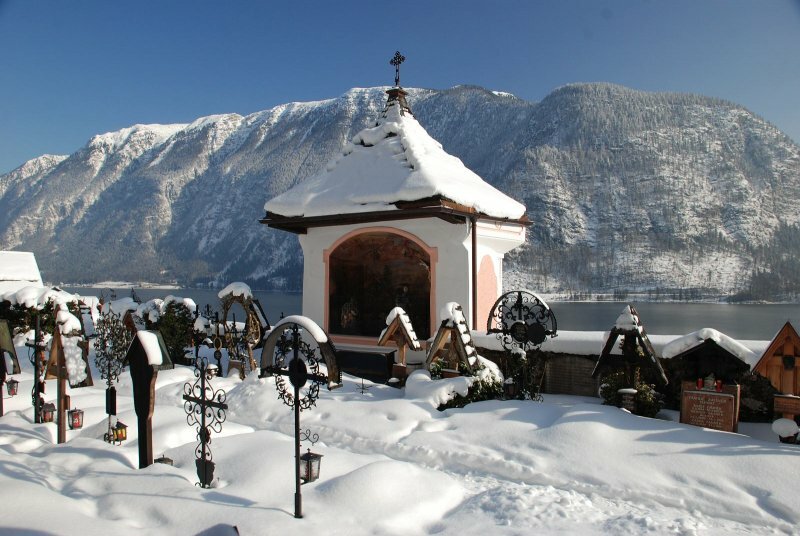 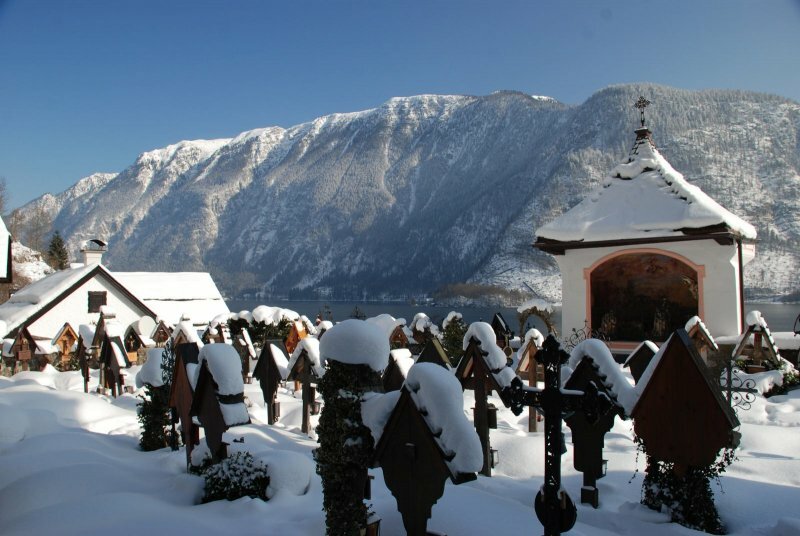 Wintertime in Austria: The cemetery of Hallstatt - © Kraft. 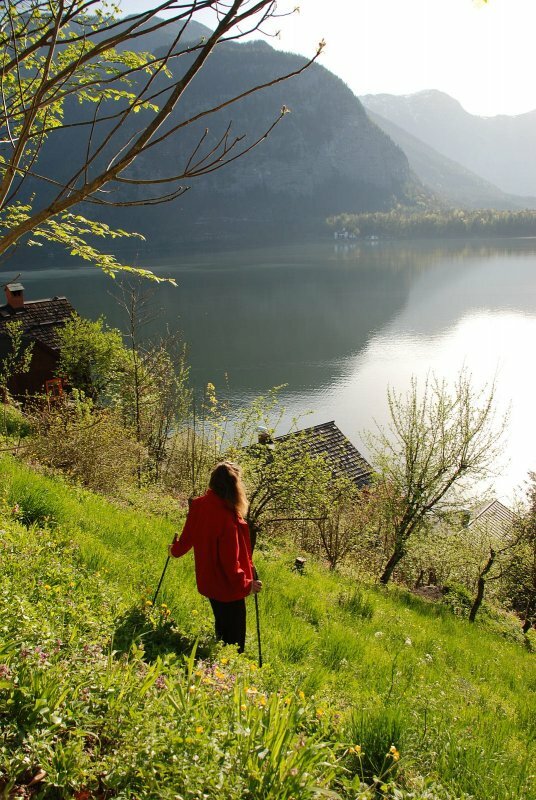 Vacationing in Hallstatt: There’s a lot to explore on a hiking vacation in Austria - © Kraft. 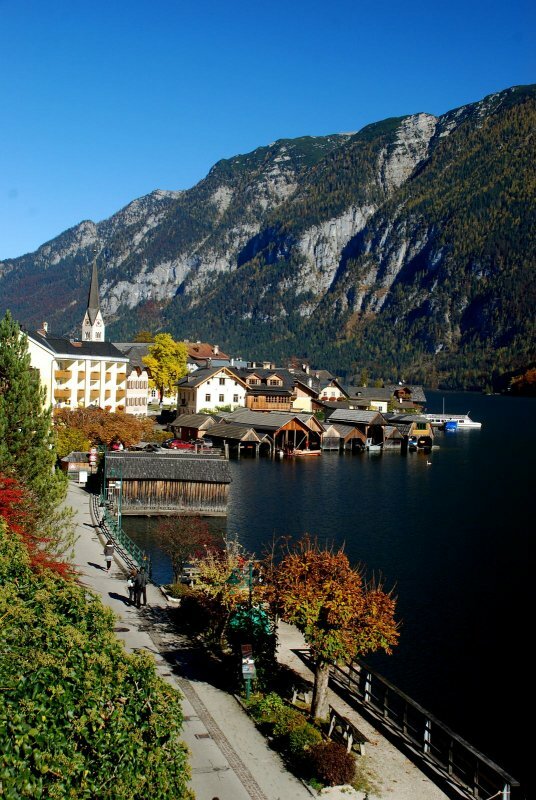 Vacationing in Austria: Impressions from Hallstatt - © Kraft. 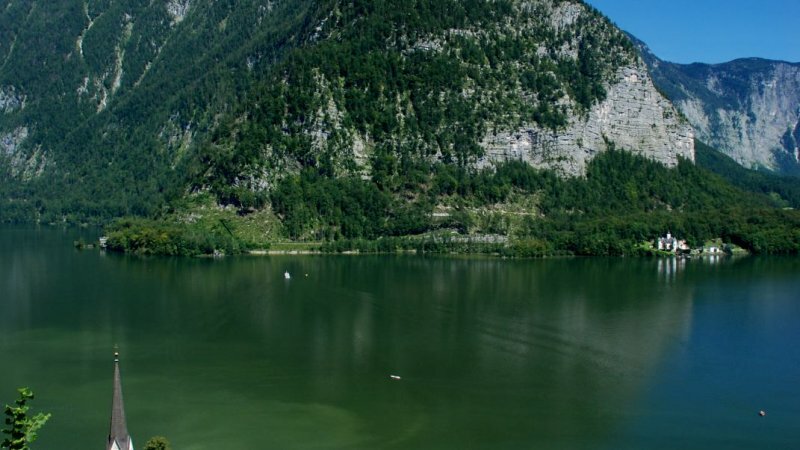 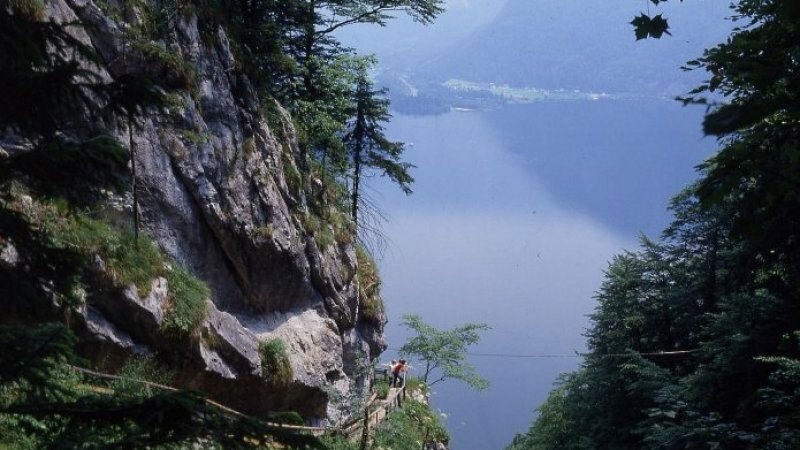 Discover Hallstatt: Impressions of the Brine Pipeline Trail in the Salzkammergut - © Kraft. 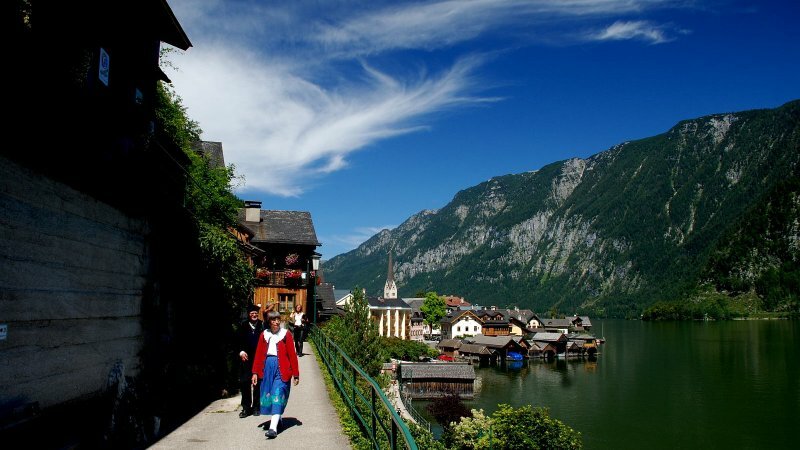 Hallstatt: Your holiday place in Austria Millionfold photographed – once copied – never reached - © Kraft. 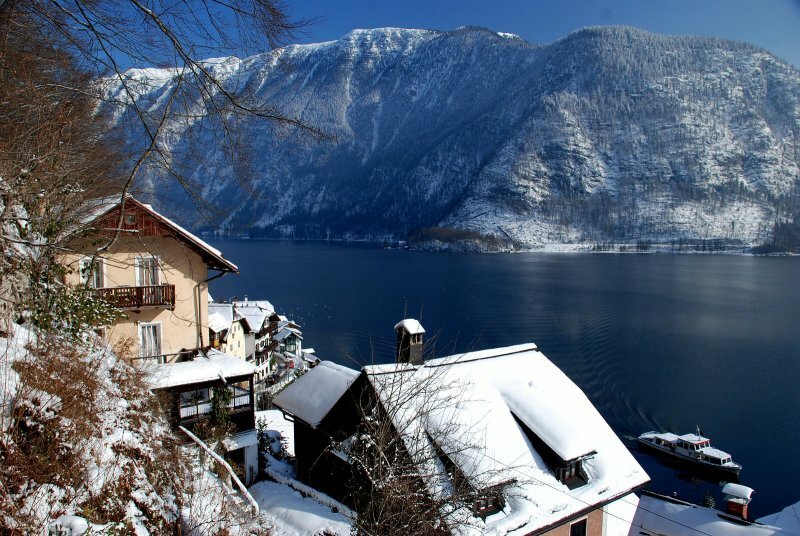 The picturesque village on the lake with the same name owes its existence to the rich salt deposit of salt in the mountain of Hallstatt. 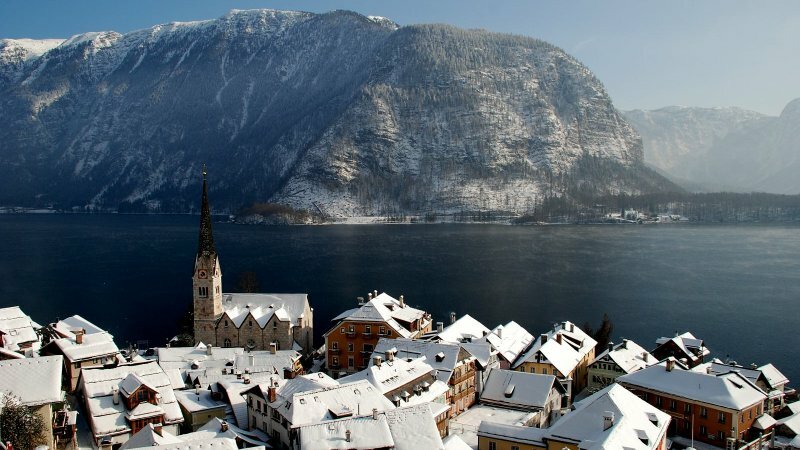 7000 years ago, as the prehistoric humans from Hallstatt began to take the salt from the salt mine who would of guessed, that this little village would give its name to a period in history – the Hallstatt period (800-400 BC). 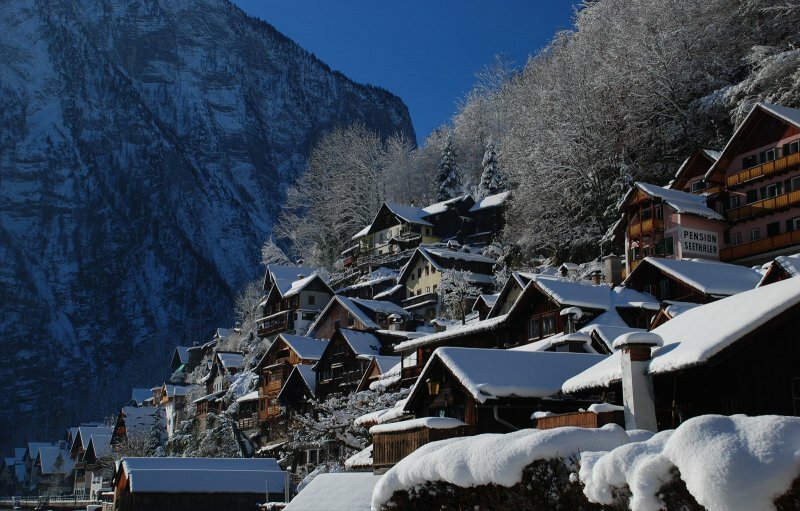 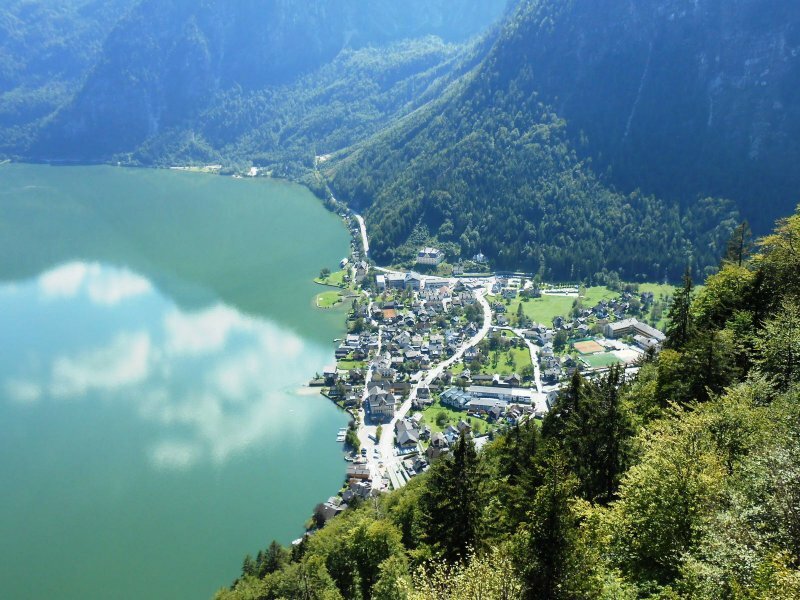 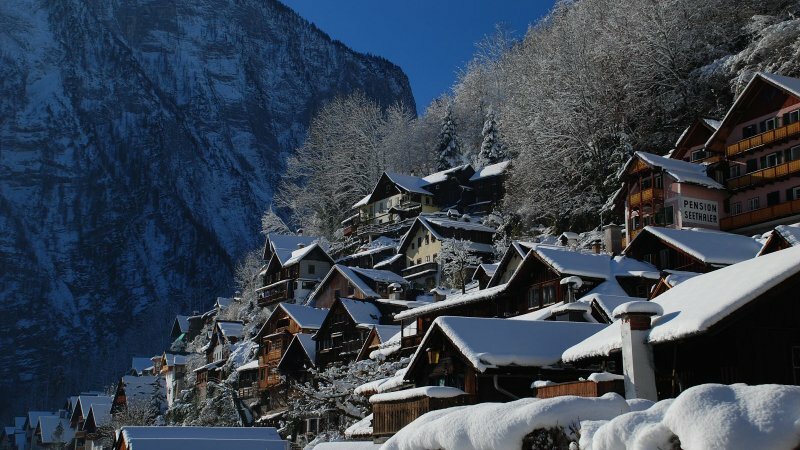 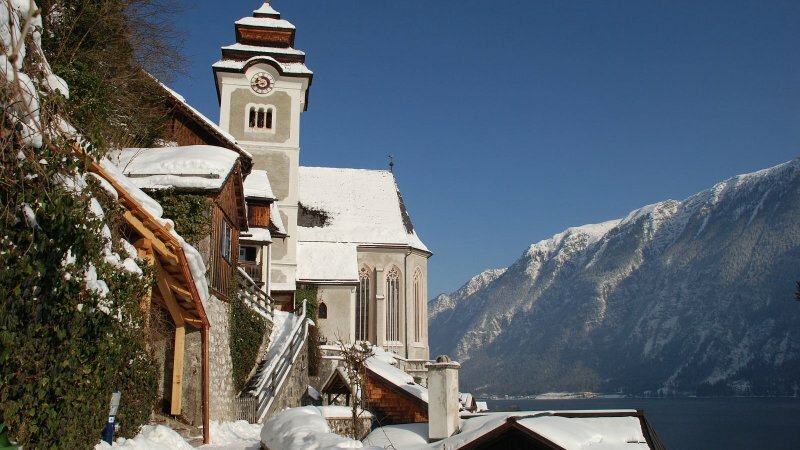 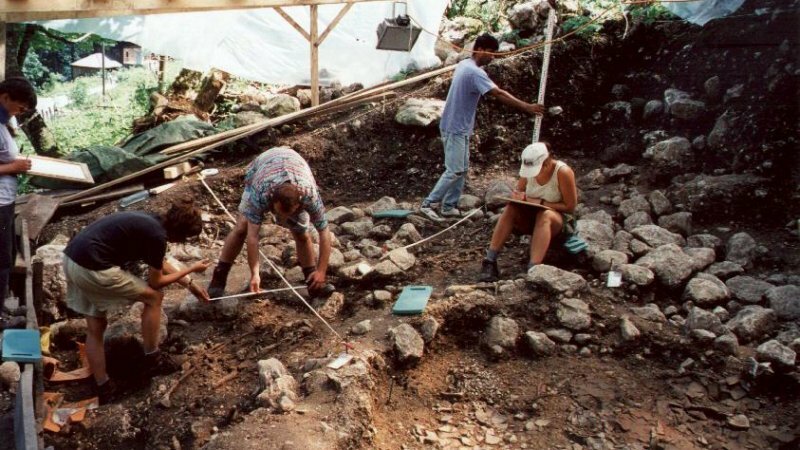 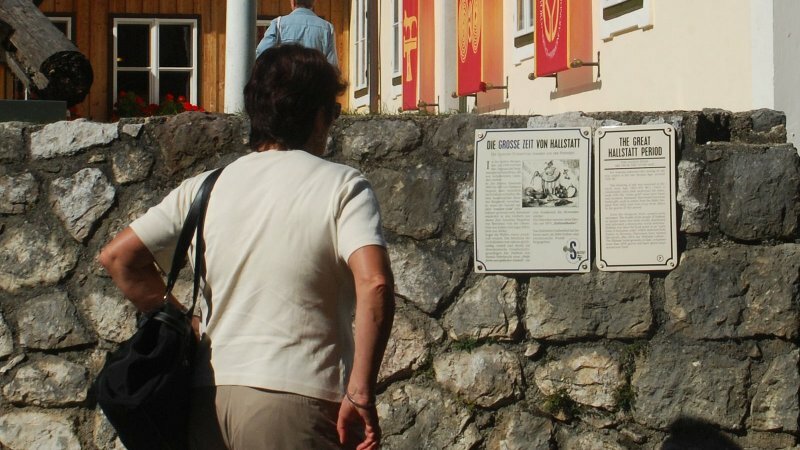 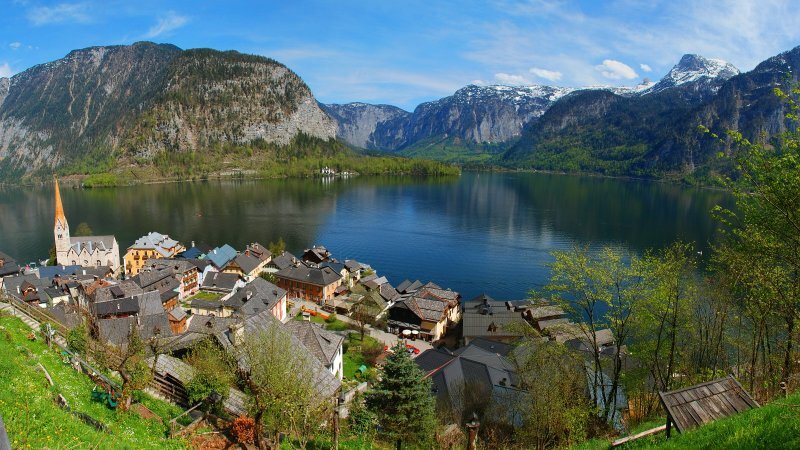 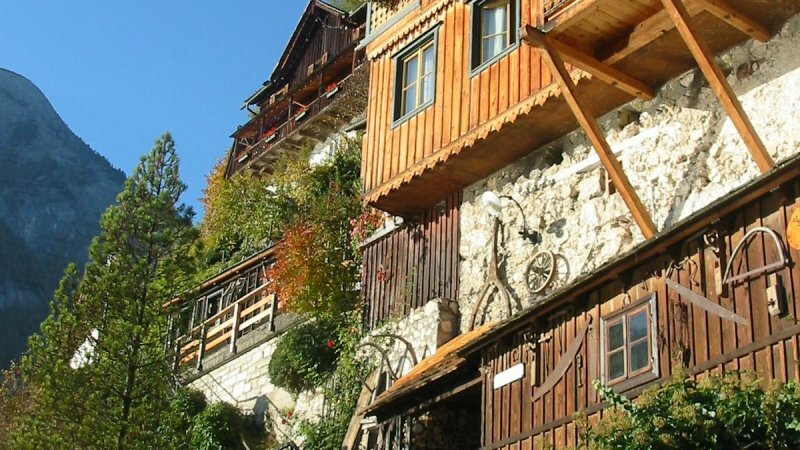 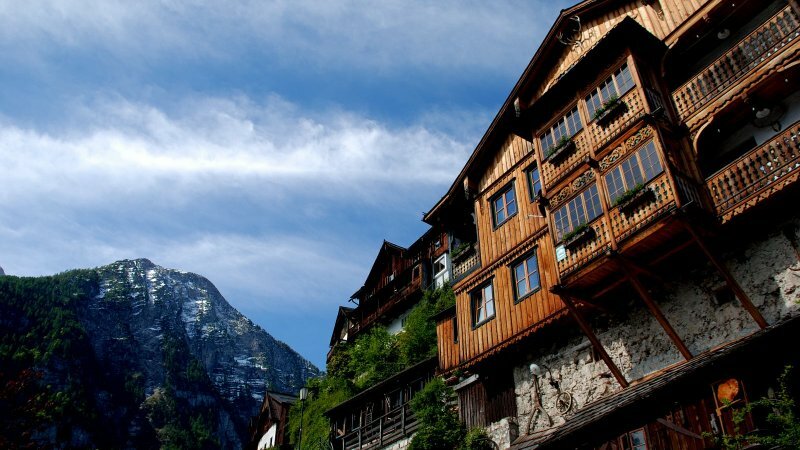 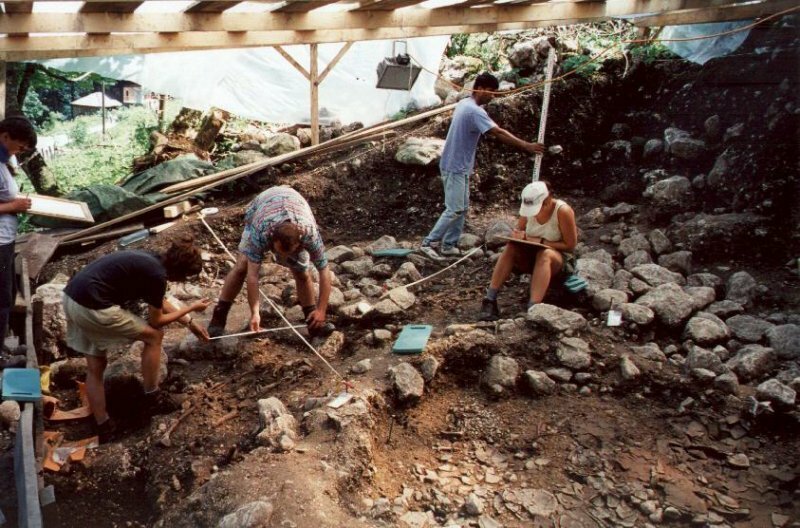 Rich findings in Hallstatt and the upper valley of Hallstatt gave this village international recognition; even today discoveries are still made in the salt mountain of Hallstatt. 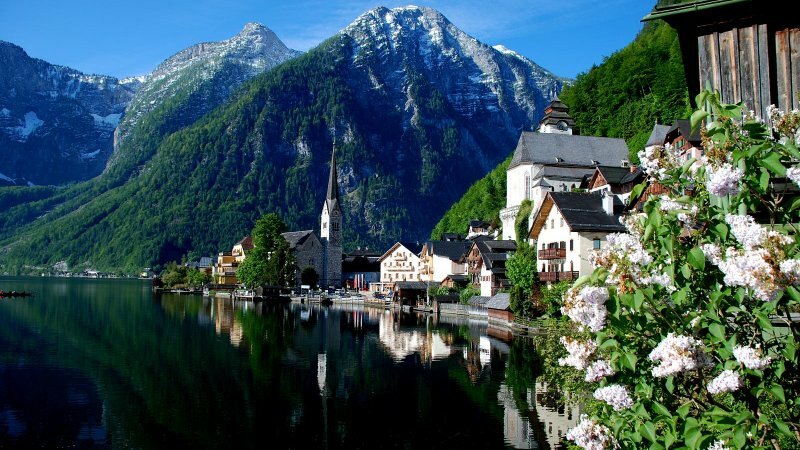 Among the most beautiful places of interest are the oldest salt mine in the world and the ossuary in Hallstatt, a romantic boat ride on Lake Hallstatt, a trip to the breathtaking cave world in Obertraun and a visit to the Lake Gosau with the mighty Dachstein glacier. 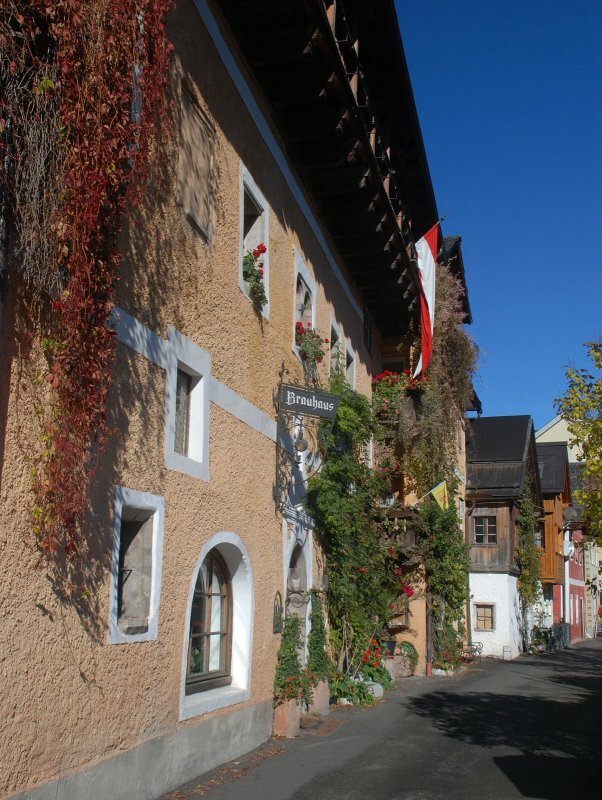 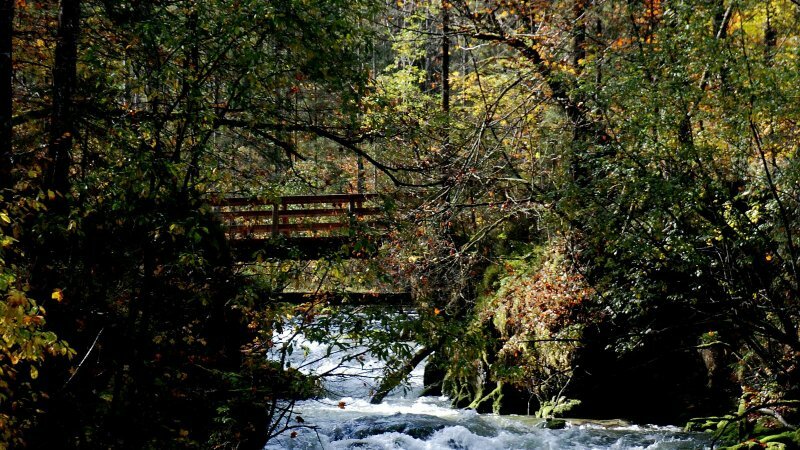 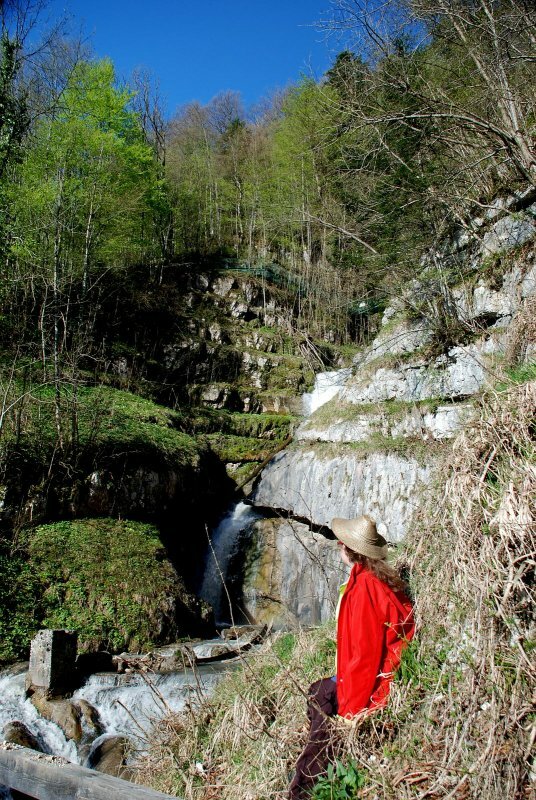 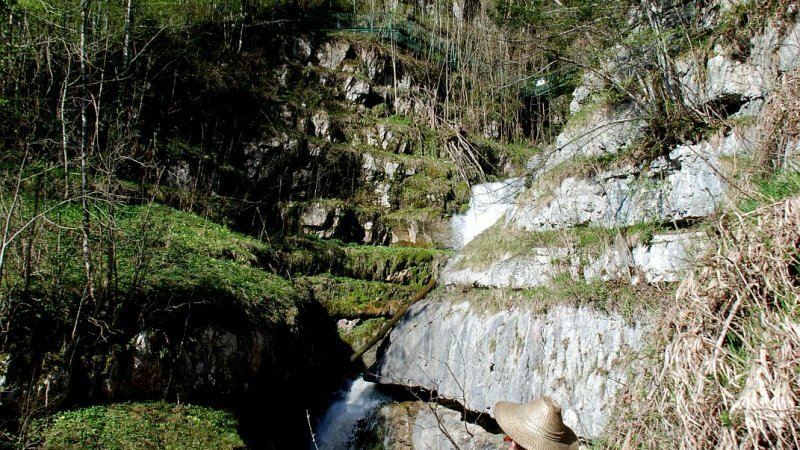 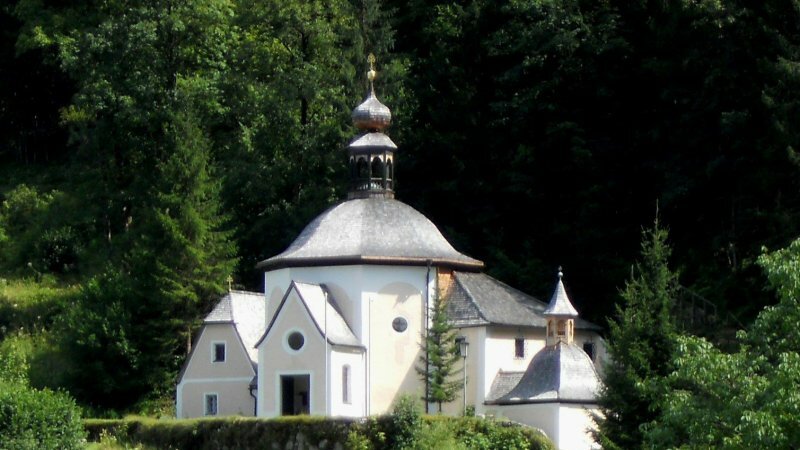 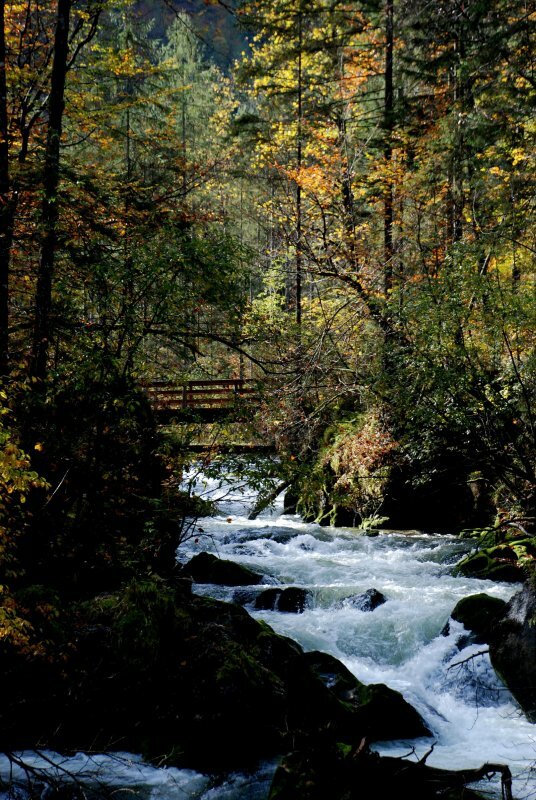 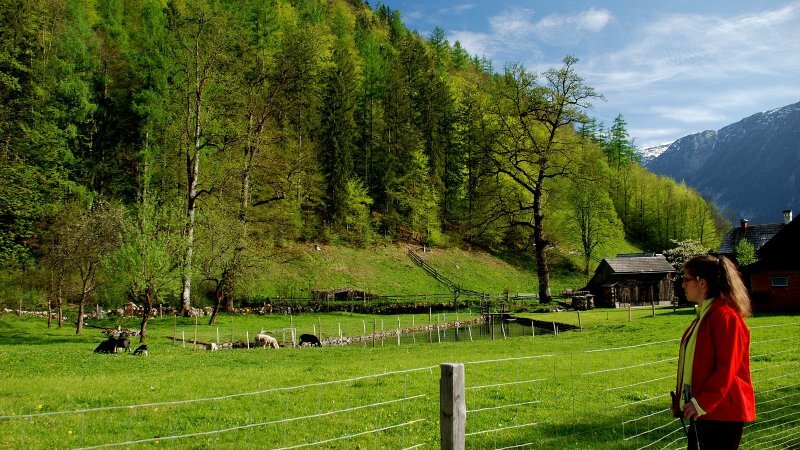 Additionally, Bad Goisern is popular in the summer with hikers and bikers. 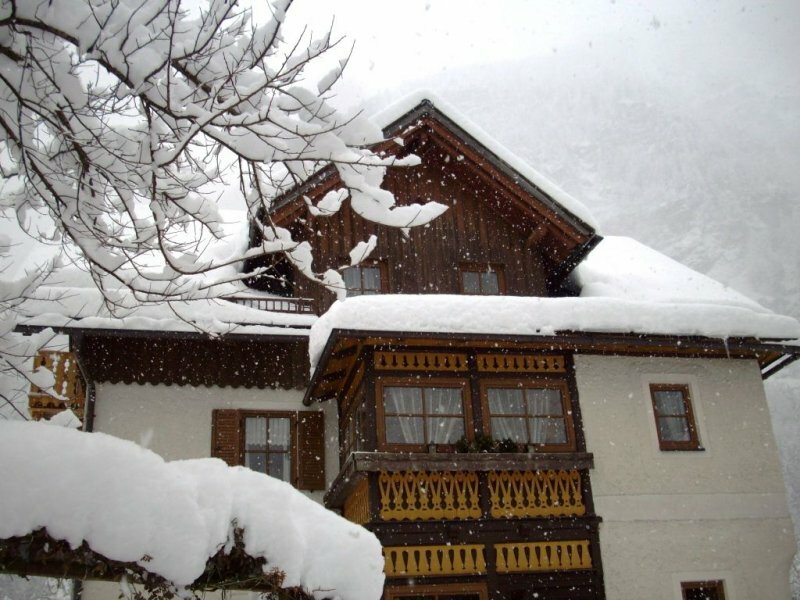 In winter guests are lured in by the ski areas of Dachstein West in Gosau and the Ski and Freeride Arena in neighboring Obertraun with perfect slope conditions. 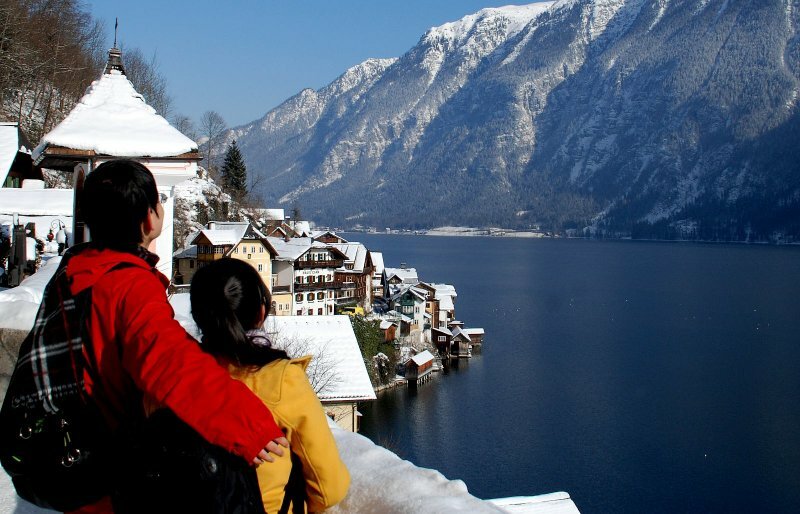 We wish you an unforgettable holiday in Hallstatt!